and the company has billions of dinars. 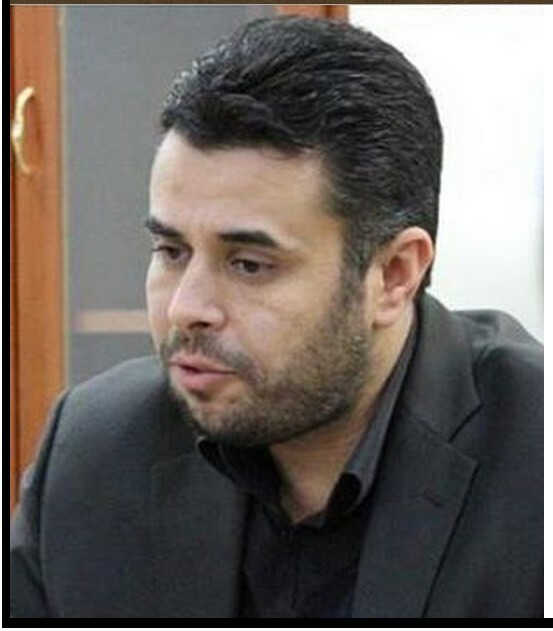 As is known to all ..
Hassan Bohadi head of the ‘Libyan Investment Authority’s sovereign fund Libyan Bay’, has 86 billion ranked 16 in the world among sovereign funds ..
Why do not they come out of the Libyan inform our people and speak to the owner of these two institutions as if they were Ataalian on our people at a time not to miss it for the foreign media, especially English-speaking ..
Where the Court of Audit reports about them and why this deliberate obfuscation ?? 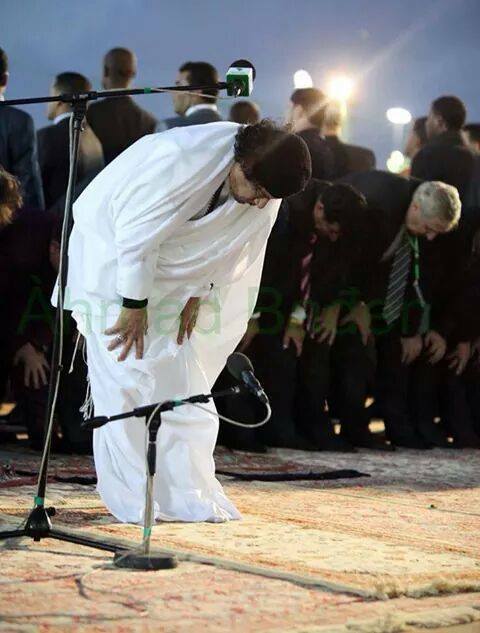 Bandlloa you, “Qllh forgive me my offense Khalphena Mandah let me walk on a present !! . 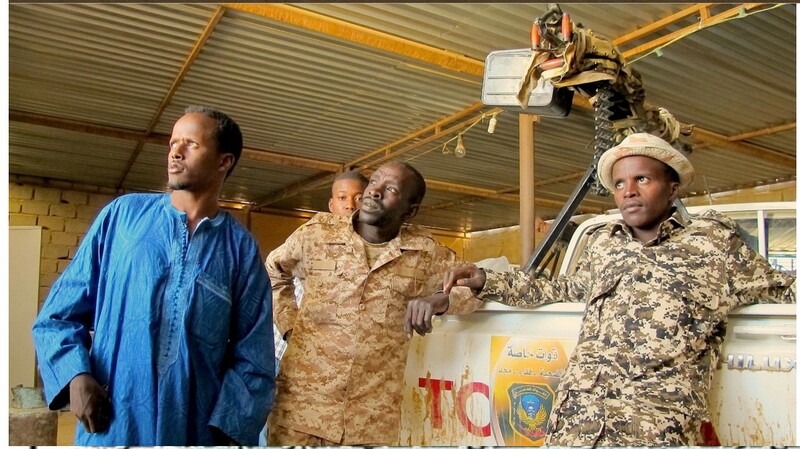 Daily scenes of ‘team Peace’ demining operations in routine, research and assembly of non-explosive bombs, and missiles blind explosive, and land-mines. 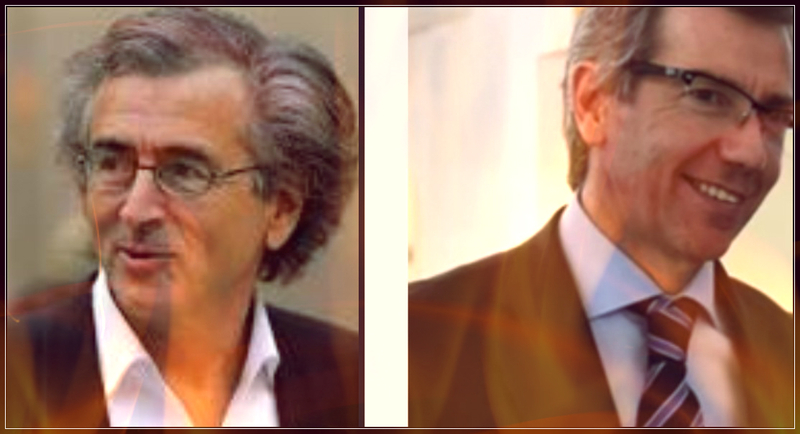 What is happening is a reflection of the differences between allied groups with the ‘Dawn Libya’; and the dispute on the issue of the new government, and Avcaalhm of the war to try to assemble them again! 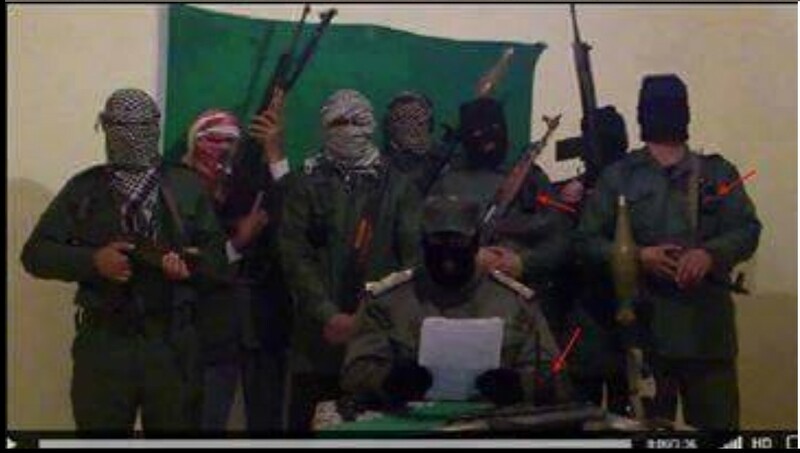 The first stage: at seven in the morning launched an Italian force toward the observatory, faced stiff resistance from the Mujahideen forces, which estimates prepared by about 500 fighters. And it has been its control over the site at one in the afternoon hours. Phase II: When receiving information of the Mujahideen for the withdrawal of Italians great strength of the observatory after locked. 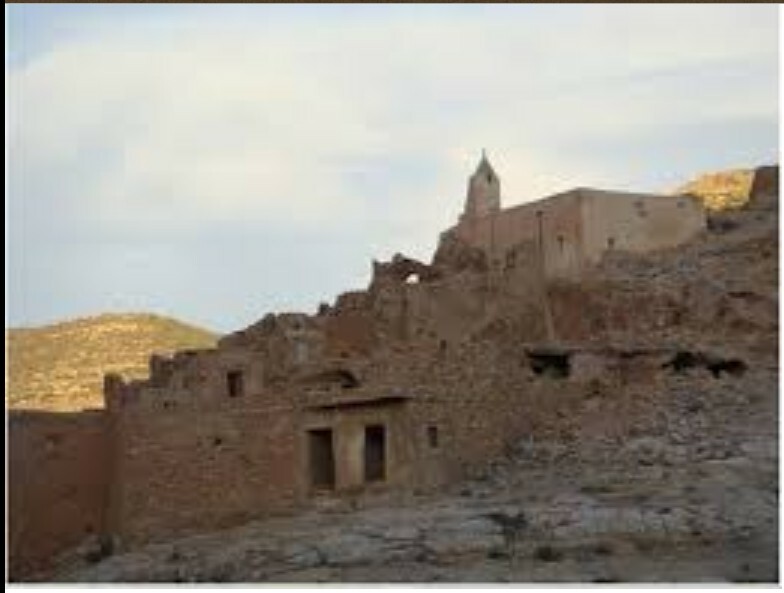 I crawled strength of the Mujahideen estimated at about 1,500 fighters to restore the site, the great Italian support came in a bid to defend the site, to no avail, forcing power to withdraw and leave the site in the hands of the mujahideen at six o’clock in the evening. 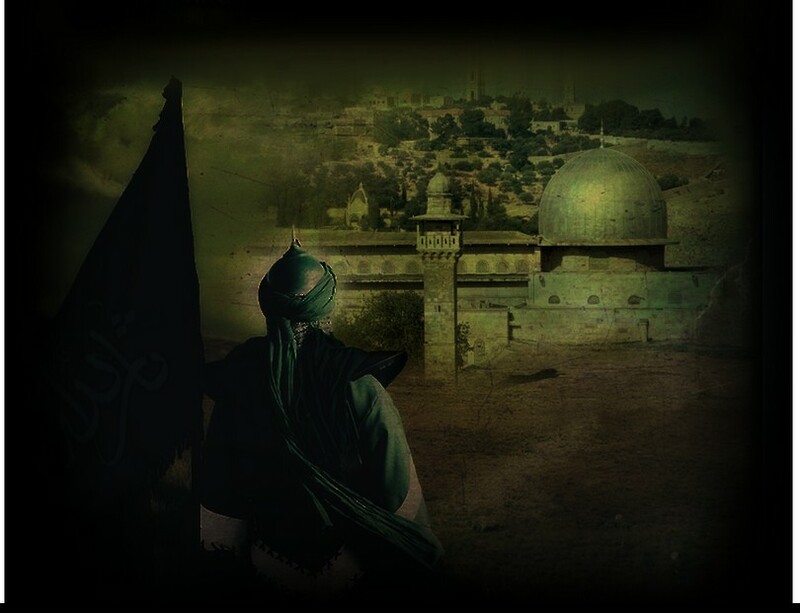 He cited some percent and Mujahid and wounding more than about two hundred, and states that one of the Mujahideen who spare no certificate, was ‘Abdul Salam Abou-Mnyar al-Qathafi’ (father of Our Mu’ammar al-Qathafi). 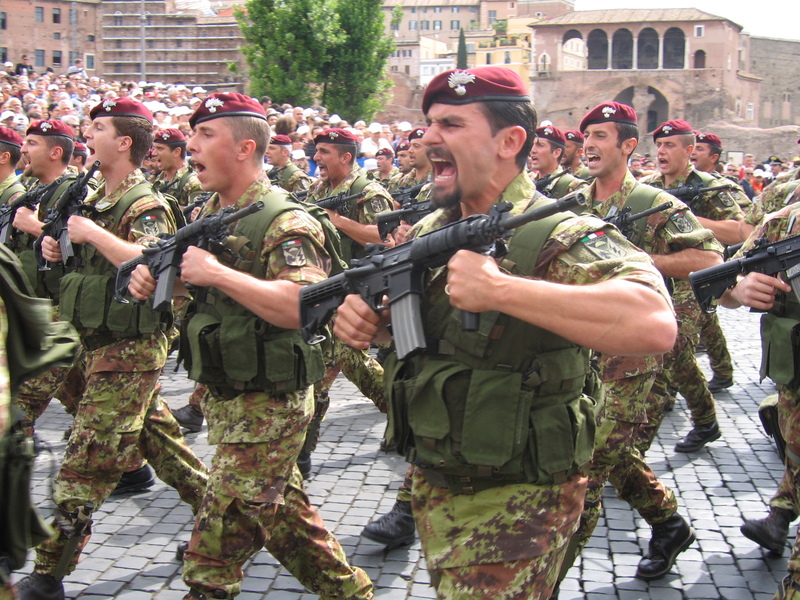 In contrast, Italians fascists forces suffered 17 killed an Italian officer. 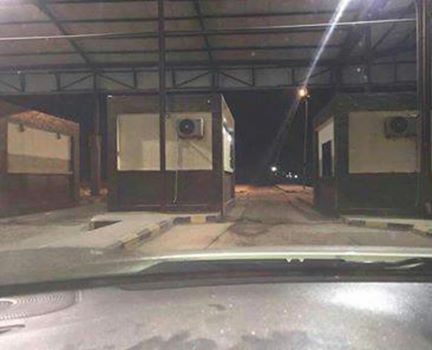 The security authorities evening adjusts the number three trucks and fuel (gasoline) were intended for smuggling from the corner to the refinery in the Tunisia state, is still far confiscation of trucks and smugglers under investigation by the competent security al-Jehat. 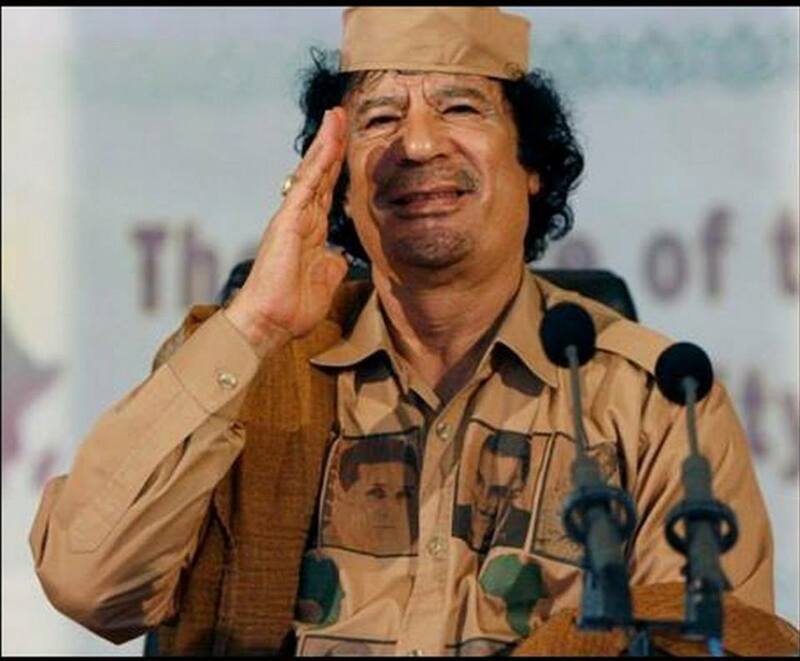 EU is considering sending a NATO / EU force “peacekeeping Continental” to Libya, to help secure their puppet ‘unity’ government, which was formed in the case and to disarm the ‘Libyan Army’ if needs be ! 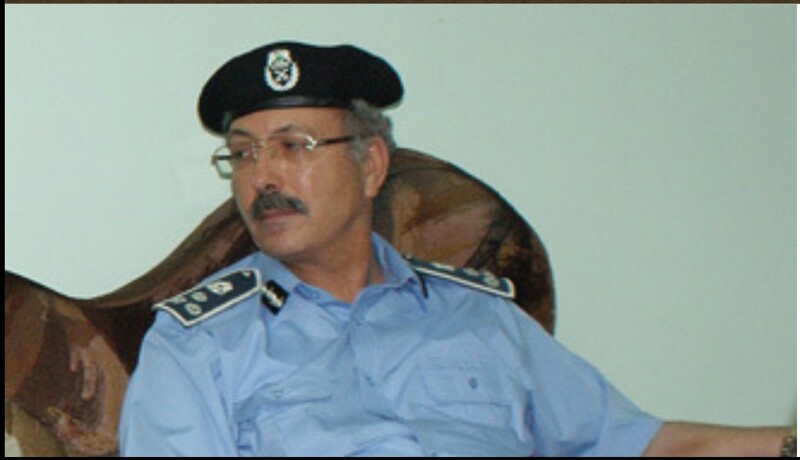 on charges of embezzling 15 million dinars from military accounts. 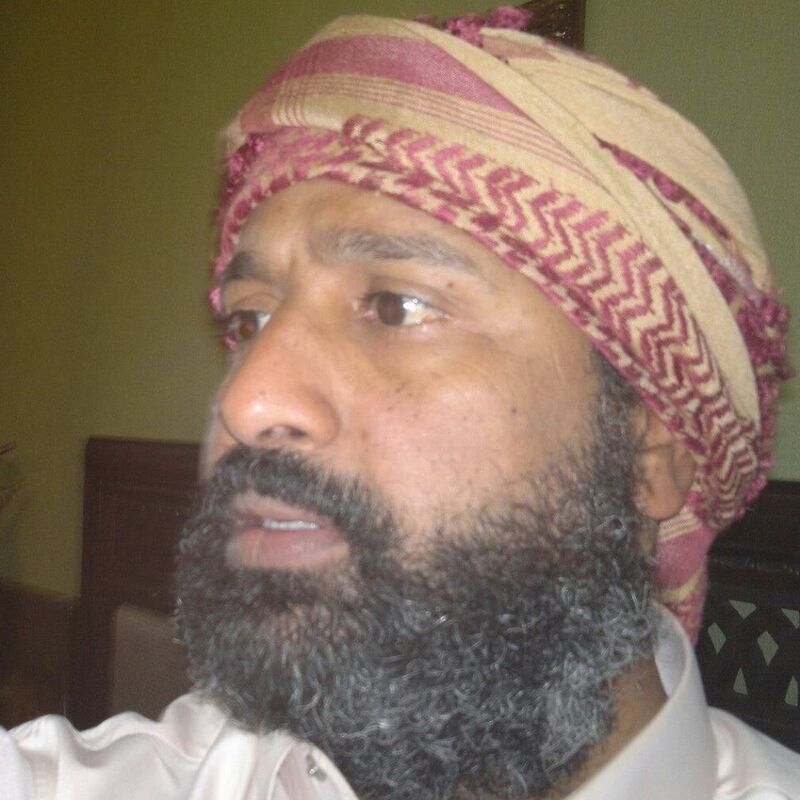 He is now under investigation ..
‘Khaled al-Hbhoba’ is currenly honored at the beginning of the rat ‘General Staff’ on the temperament. 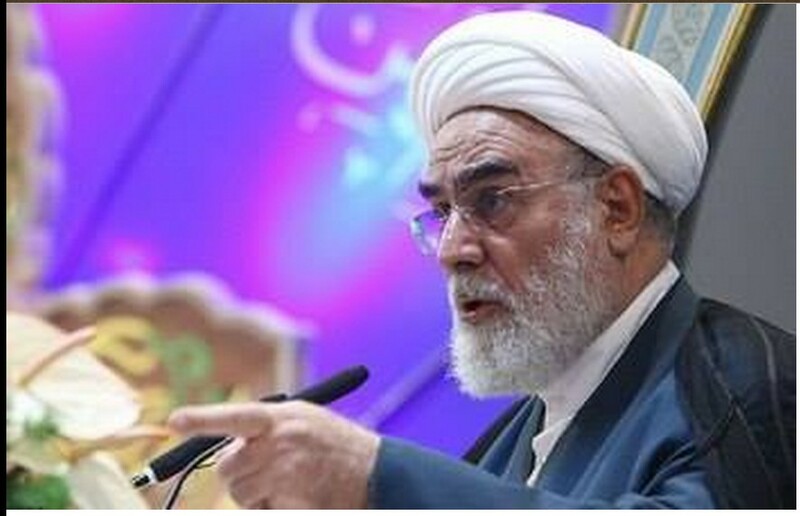 The computer of the ‘Office of the ‘rat chief of staff’, shows that he forged correspondence, and seals for the presidency of the rat ‘General Staff’, reveals that he embezzled the huge sums of money converting to accounts of ‘Aly Trkiya’ in Dubai, by traders of market currency (gold market) [them being: ‘Obozaar Zlitni’ and ‘Salim Hadi Bin Omran Zlitni’] the biggest currency traders on the gold market. 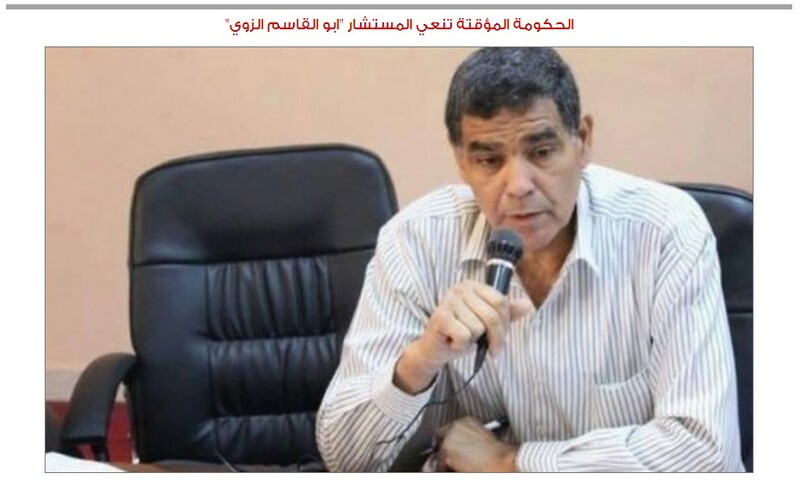 Instruments have been disbursed in unbelievable amounts by ‘Mohammed al-Ajnf’, the secretary to the named ‘Brigadier Chtioui’ (who is director of the rats’ military accounts). 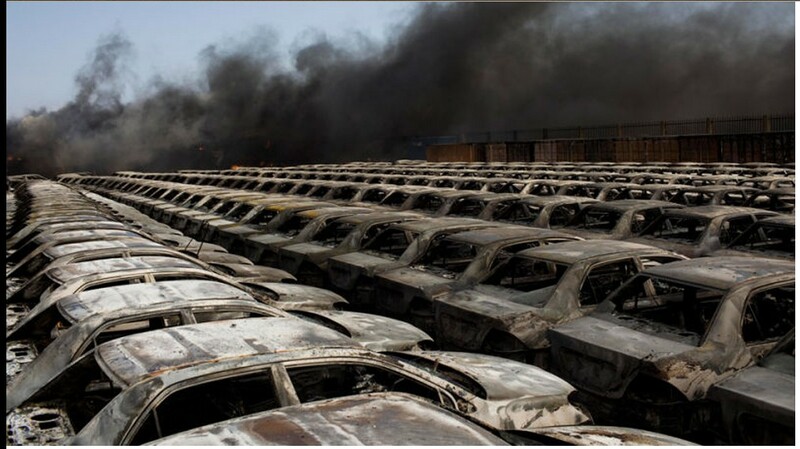 car bomb explosion at B.Zoyer Dahmani Angle. 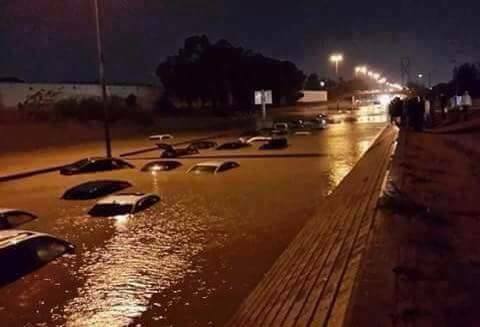 Heavy rain on the cities of Tripoli, Five and Rishvana. 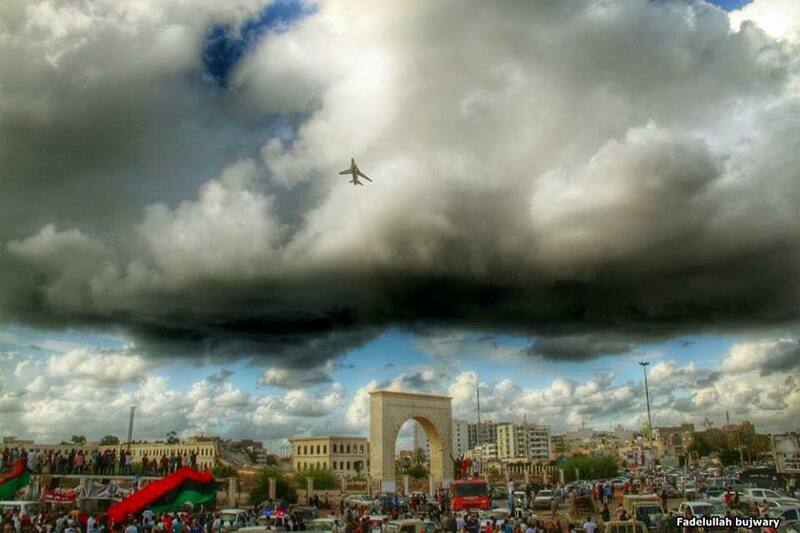 Heart vector to the city of Tripoli. 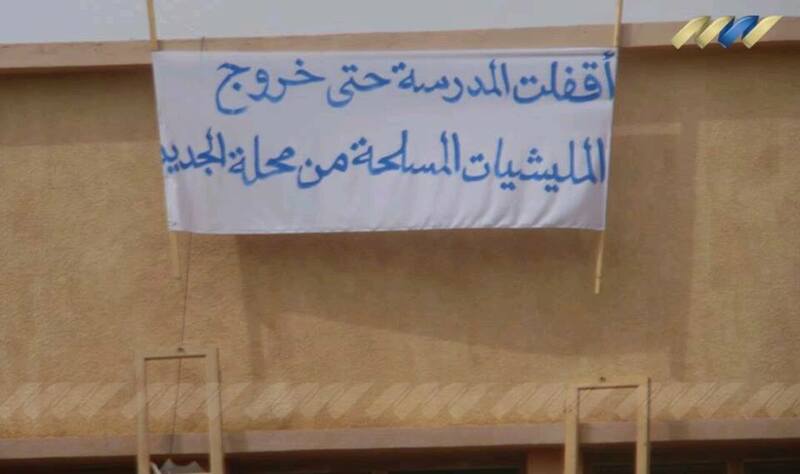 Clashes between rat militias and ‘al-Khadrawi al-Hanih’ in the CORNER since last night, and the militias killed ‘Imadturka al-Khadrawi’. 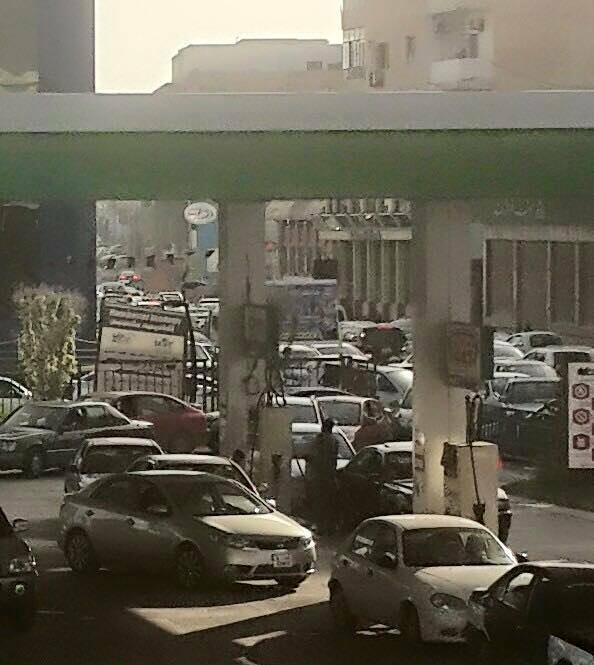 Voices Shooting dense area in Abu Salim now. 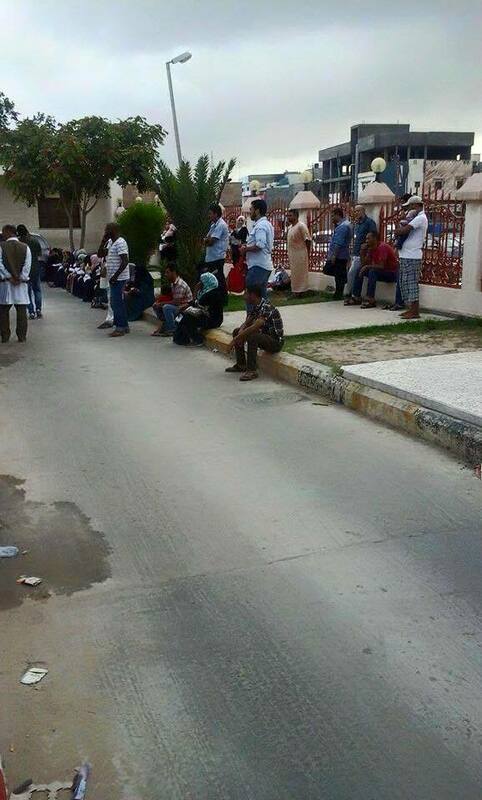 Gathering of Misurata militias beside Hotel RIXOS and militias Akkla Gianni Gneoh (el-Mahdi Haratine) next to the zoo; and the situation between the two parties engorged. 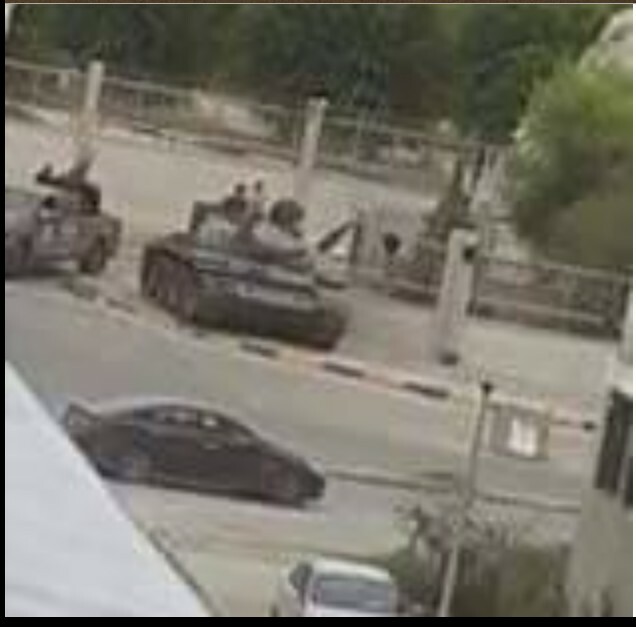 ‘Misurata militia’ tanks are in front of the zoo in Abu Salim area, after members, belonging to militias Misurata, were detained by militias (el-Mahdi Haratine) Alkkla Gianni Gneoh. 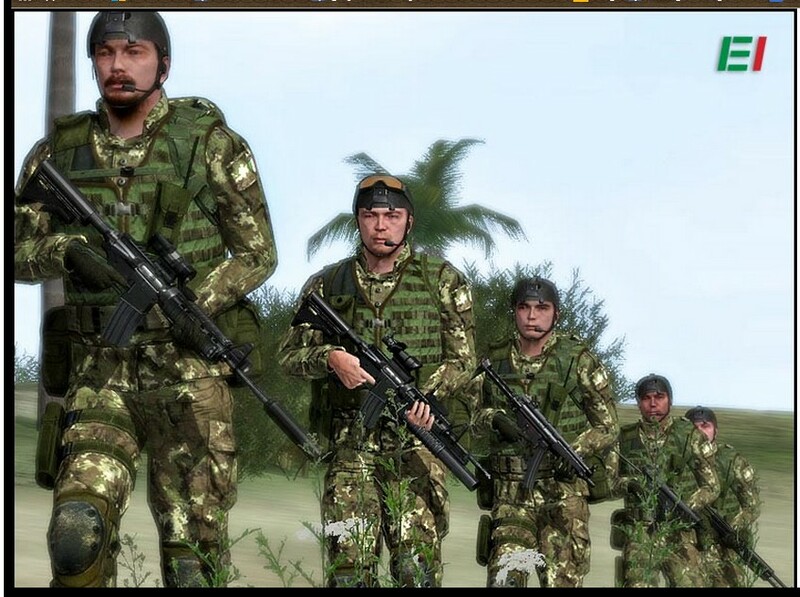 ‘Room Zintan operations’ a ajouté 6 nouvelles photos. 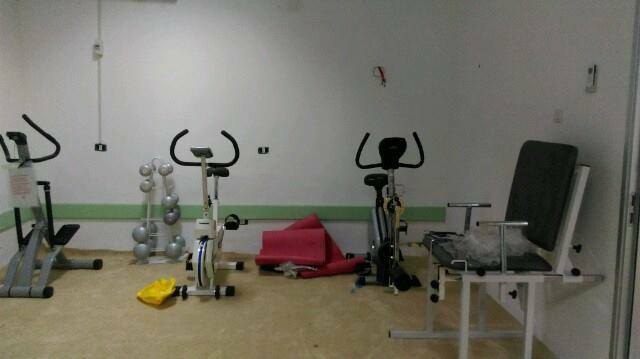 The final preparations for the opening, Department of Physical Therapy, the military hospital in B. al-Zintan. 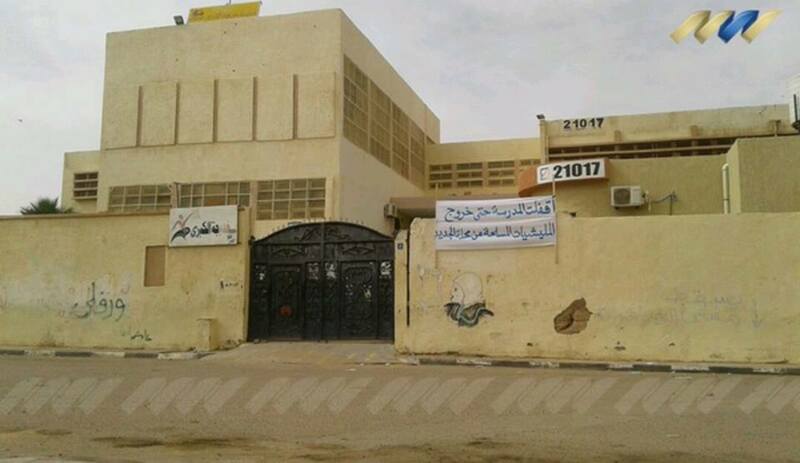 ZINTAN IS AGAIN BEING MALIGNED ! News is now on promoting the pages of lying and distorting facts. ﺳﻬﻮﺍ ﻭﺳﺮﻗﺔ ﺍﻟﻔﻴﻞ ﻭﺍﻟﻘﺪﻳﺪ ﻟﻢ ﻳﻜﻦ ﺯﻟﺔ ﻭﺗﺤﺮﻳﻒ ﺍﻟﻜﻠﻢ ﻋﻦ ﻣﻮﺍﺿﻌﻪ ﻟﻢ ﻳﻜﻦ ﺟﻬﻼ . ﻭﻟﺘﺴﺘﻌﺪ ﺍﻟﺰﻧﺘﺎﻥ ﻟﻤﻌﺮﻛﺔ ﺃﺧﻴﺮﺓ ﺗﺨﺮﺟﻬﻢ ﻣﻦ ﺩﻳﺎﺭﻫﻢ ﻛﻤﺎ ﺃﺧﺮﺟﻮﺍ ﻗﻬﺮﺍ ﻣﻦ ﻃﺮﺍﺑﻠﺲ ﺑﻌﺪ ﺃﻥ ﺭﺣﻞ ﺃﺑﺎﺑﻴﻠﻬﻢ ﻭﺗﺮﻛﻬﻢ ﺧﻮﺕ ﺍﻟﺠﺪ ﻭﻧﻔﻀﺘﻬﻢ ﺍﻟﻘﺒﺎﺋﻞ . ﻭﻣﺎ ﻇﻠﻤﻨﺎﻫﻢ ﻭﻟﻜﻦ ﻛﺎﻧﻮﺍ ﺃﻧﻔﺴﻬﻢ ﻳﻈﻠﻤﻮﻥ . These are heroes, not traitoirs ! 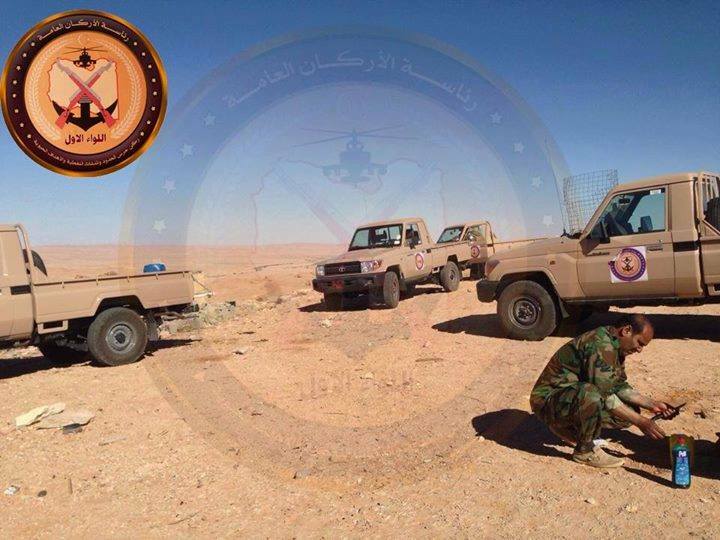 and Zintan trains our recruits for the new LIBYAN ARMY (above). 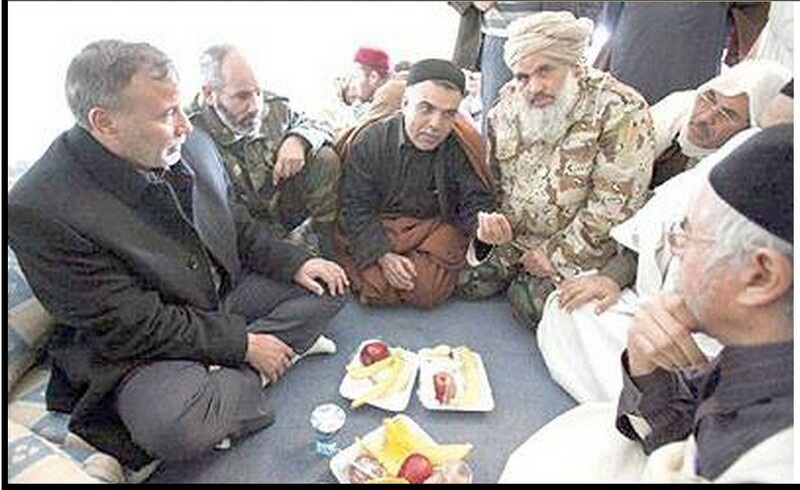 (above, in awared-treaty with Jadu elders, and below): ) Deserves all our thanks, ‘Colonel al-Ajami al-Teiri’. 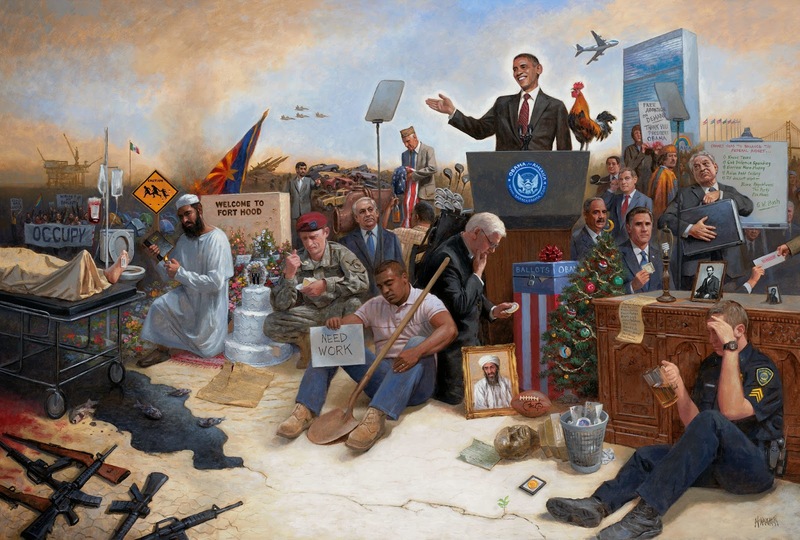 These are heroes; not traitors ! 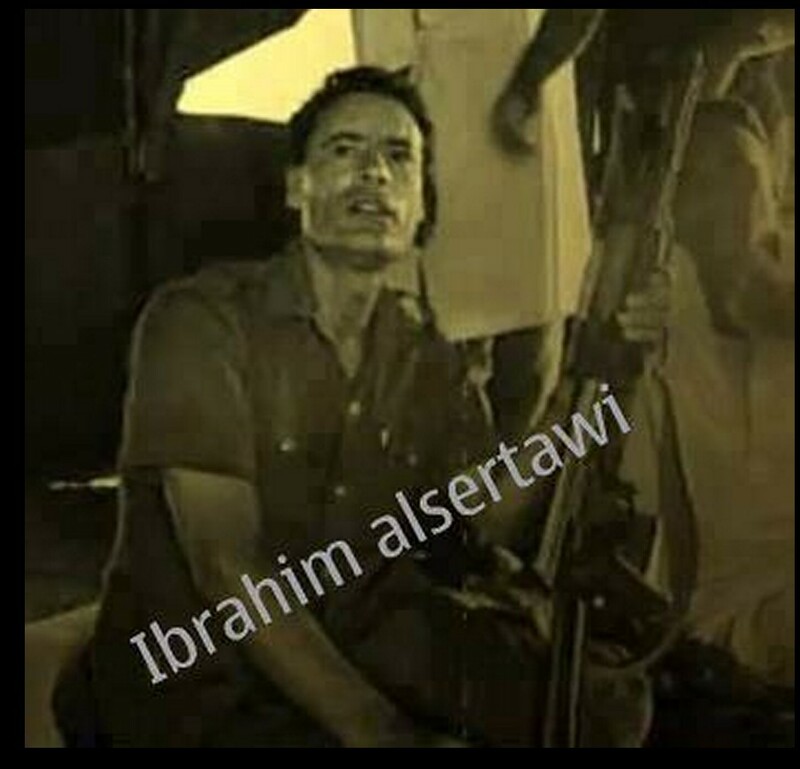 True to your tongue .. and Lord have mercy on all the martyrs of Zintan, and Ruba saves Zintan Petrasha. 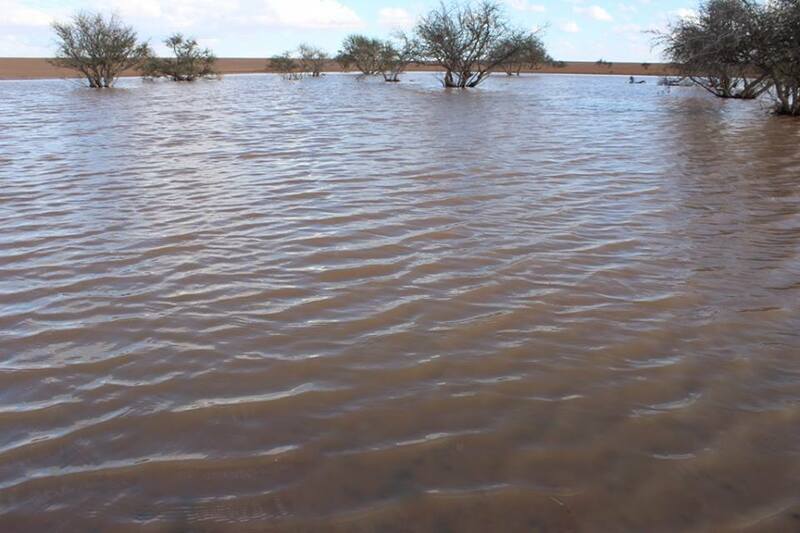 (above) Col. Andar Muctar Green Fernani. Dedicate us to strife-called news channel. 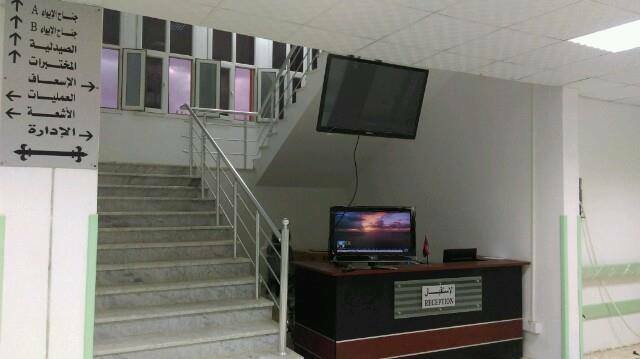 ‘Room Zintan operations’ a partagé la vidéo de ‘Zintan Asala’ and history. 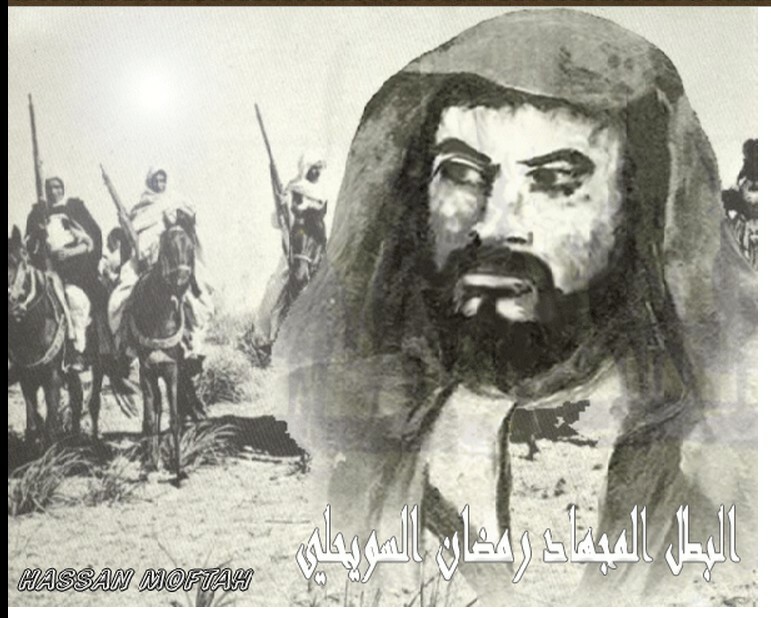 A young poet from Zintan described, addressing the forces of evil b at Kikla battles, with exclusive scenes … I advise you to listen and watch. 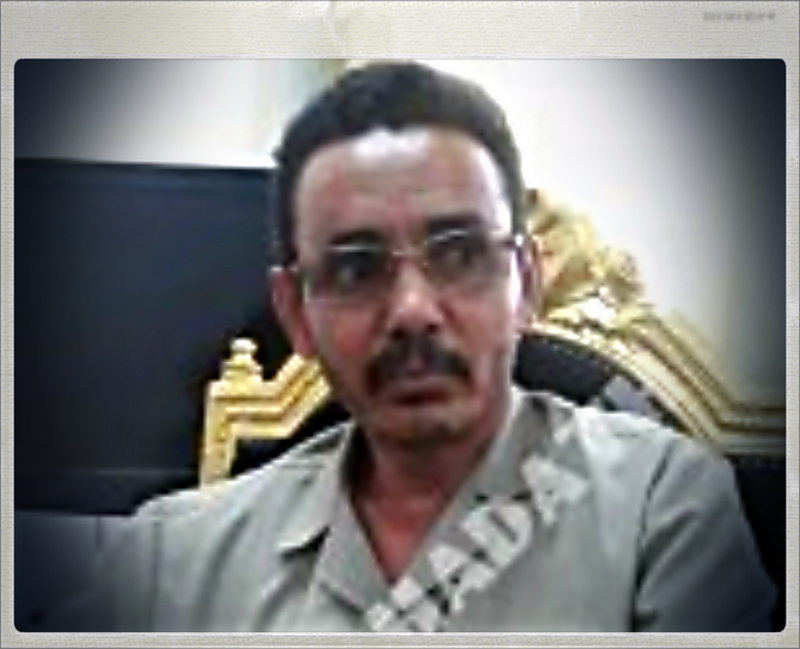 ‘Directorates support the security of the western region and the southern power’, to arrest one of the criminals who Bostaagaf placebo ‘b. 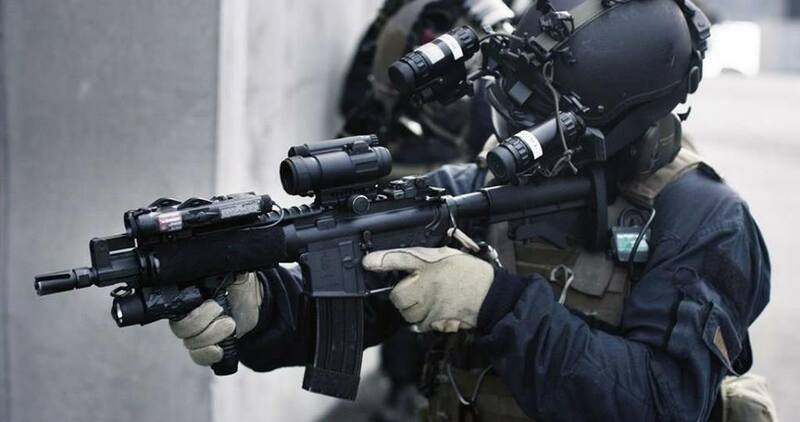 Hlgodh area’, and the armed robbery at a car type “Smsonj” from one of the citizens of the fortress city. 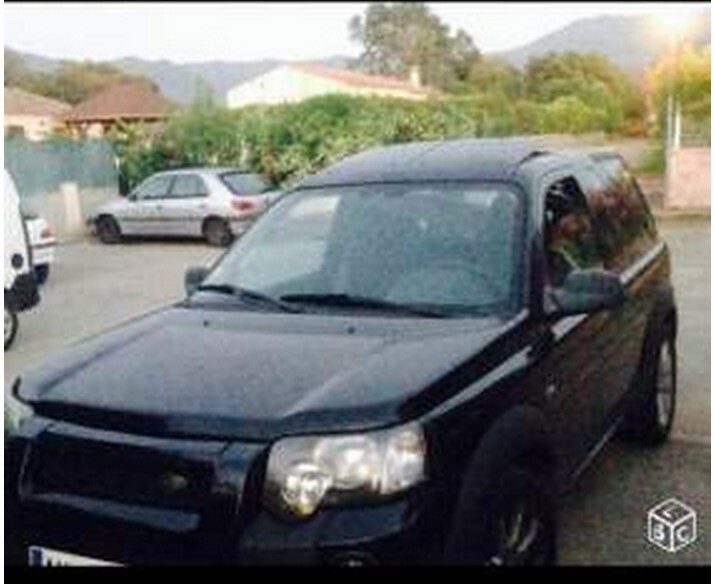 The Citizen on Sunday evening to receive his car and all that has been stolen from him. 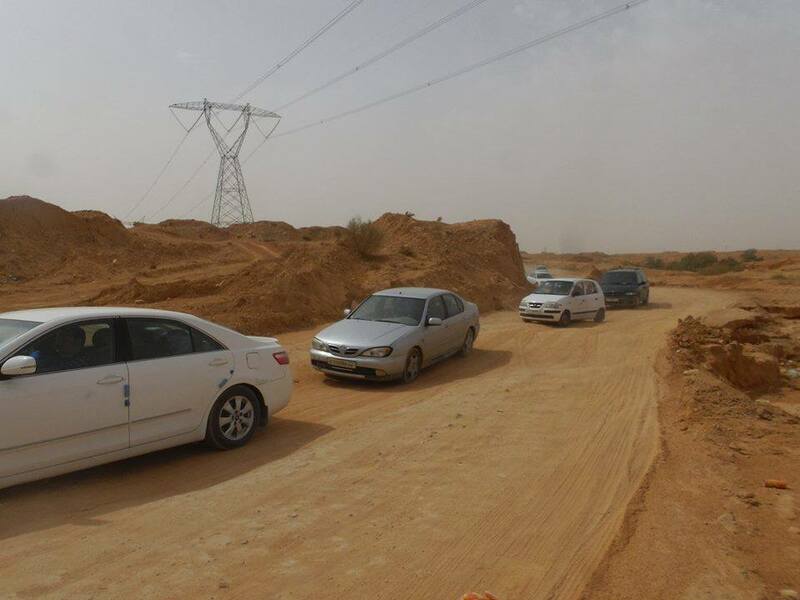 About the news circulating, on the request Zintan, to secure the coastal road. including the most important point, a 3 / develop a security plan, integrated to protect the coastal road; so, as not to be individuals or entities in the cities of Rishvana and the corner, or any other power or proposed-authority of ‘such’ power ! 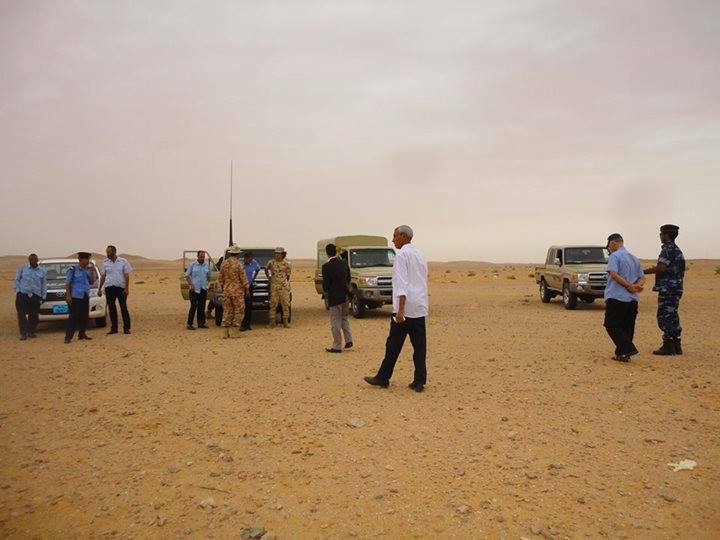 He directed a number of sheikhs, dignitaries and tribal elders of ZINTAN, al-Rajaban, Asbia’a, Rishvana, CORNER and even some MISRATI to meet in ZINTAN. 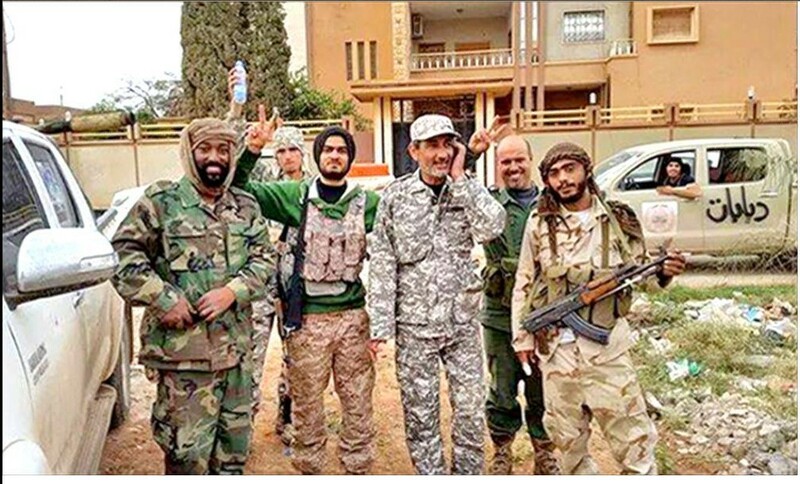 Where the elders, and Rishvana Aguetrho did not reject the proposal, which was commissioned by the ‘Abu Bakr Siddiq Battalion of the room Western-led operations’ to secure the road under Col. Ajami al-Tieri (of the Libyan Army, who is a native of ZINTAN). Praise be to Allah, and peace and blessings be upon our master Muhammad Sadiq promise Secretary, got us out of the darkness of ignorance and illusion to the lights of knowledge and science, and desires about the Jannat acts of worship. 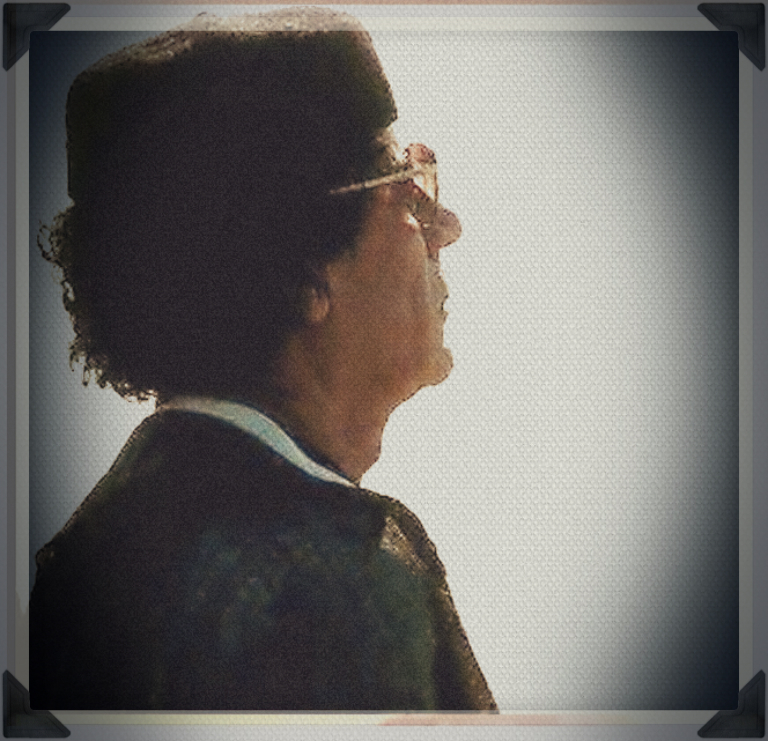 And to preserve the strength of social ties and in order to give priority to the language of reason and wisdom and in order to entrench the principles of good neighborliness between the people and Rishvanh the corner, we support and we support the demands of the Libyan people in the calm and restraint and to maintain the interests of the country, and respect for the law. Especially about Rishvanh and pasting them of false charges. 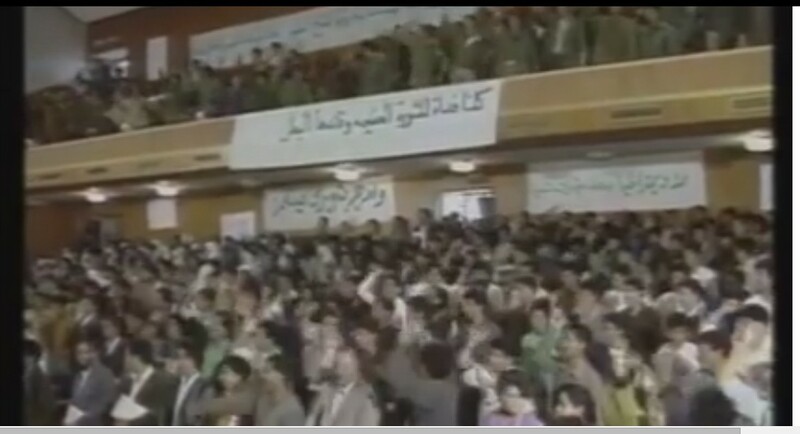 The real goal of all this is the relentless pursuit of the full area of ​​dumping and Rishvanh in the conflict and blood and laying more hostility and hatred to deprive the nation of its value and excluded from participation in building the country for free only field for students of power and influence to drag the country further into chaos and instability. Secondly, we appeal to the security of Azizia Directorate corner Security Directorate to the need to receive the reins and coordination among themselves and to accelerate the formation of a joint committee of inquiry to find out the reasons for the fall of the helicopter off the coast of Maya on 27 Oct: 2015 and help of those who deem appropriate local expertise and international contribution in uncover the reasons the fact that caused the crash and speed up before the blur landmarks located, either by nature or by an actor it has an interest in not to reveal the secret of this, and advertising on a regular basis on the results of the investigation to reassure public opinion should also be parties to the conflict undertake not to interfere in its work, and to create the necessary conditions and possibilities for the exercise of the functions of the Commission. Conclusion: We speak to the conscience of the people of the corner old and young, and offer the appeal ensure that we injected the blood of our brothers in religion and the homeland, and we call on all parties to the need to be careful of who banging the drums of war and full attention to what is being plotted conspiracies to ignite the fire of sedition and mixing the political cards Balaskarah of New results because that would be disastrous for the whole of the capital Tripoli and the western region, and they are the only ones who will be responsible for the Tak a fateful decisions lead to more pain and suffering and the expansion of social gap between the people of one nation. 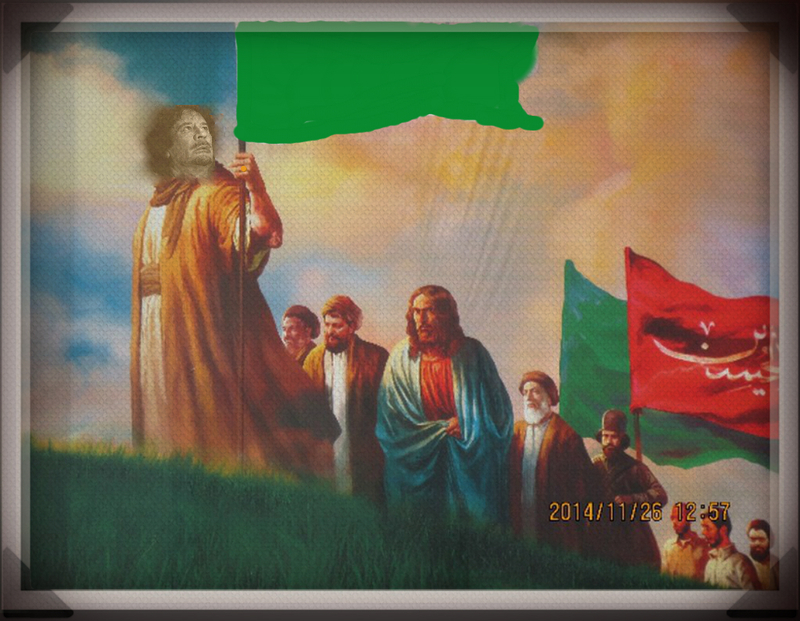 Libya according to God all that is good, and the fittest and the parish pastors. 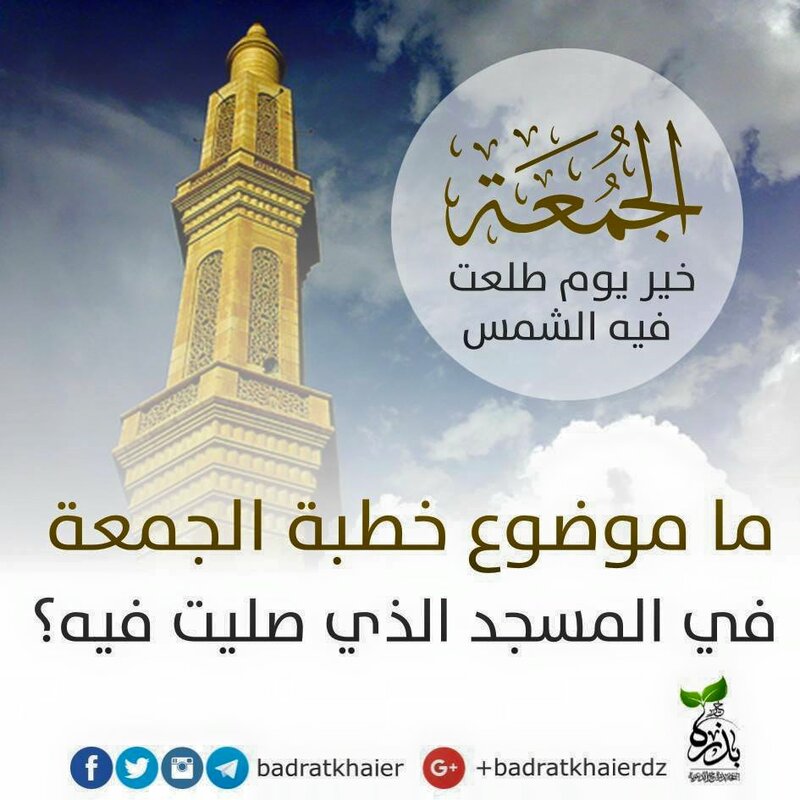 الحمد لله رب العالمين، والصلاة والسلام على سيدنا محمد الصادق الوعد الأمين، أخرجنا من ظلمات الجهل والوهم إلى أنوار المعرفة والعلم، ومن وحول الشهوات إلى جنات القربات . 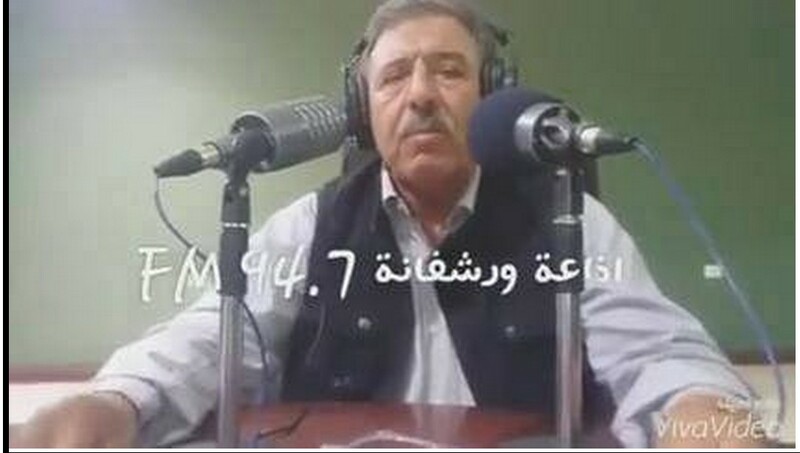 وحفاظا على قوة الروابط الأجتماعية وحرصا علي تغليب لغة العقل والحكمة وترسيخا لمبادئ حسن الجوار بين أهالي ورشفانة والزاوية ، ندعم ونؤيد مطالب أبناء الشعب الليبي في التهدئه وضبط النفس وتغليب مصلحة الوطن ، واحترام القانون . 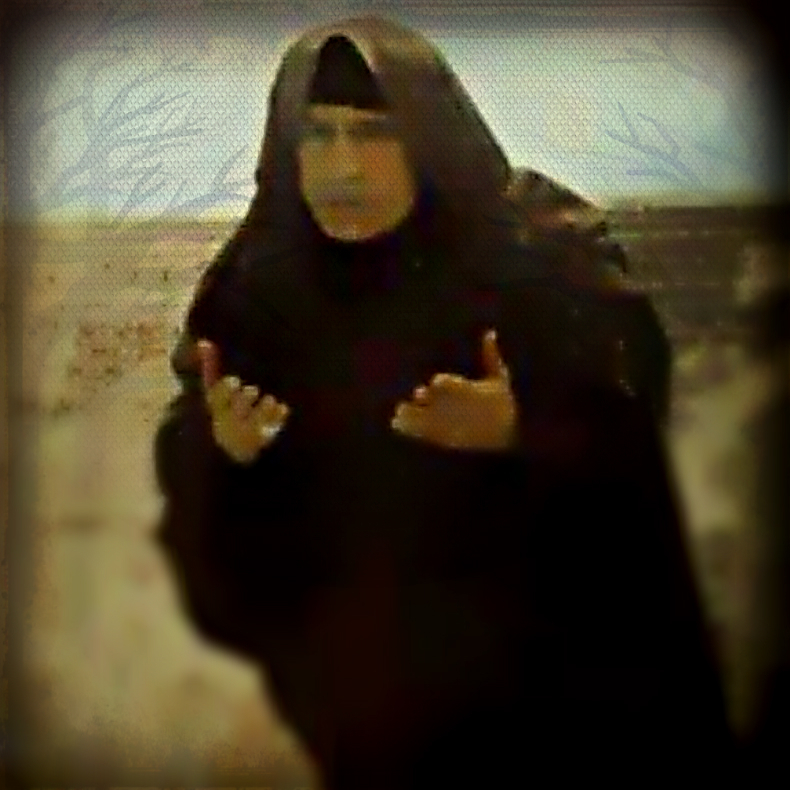 خاصة حول ورشفانة وما يلصق بها من تهم باطلة. 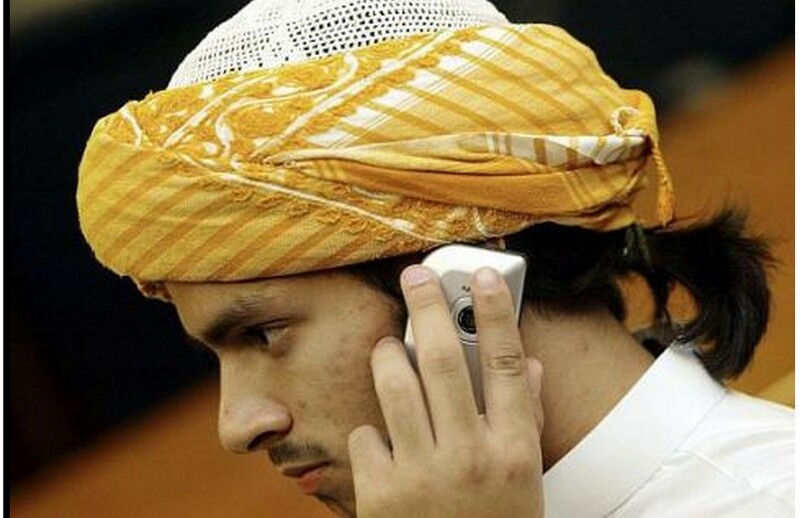 إن الهدف الحقيقي لكل ذلك هو السعي الحثيث نحو إغراق كامل منطقة ورشفانة في الصراع و الدماء وزرع المزيد من العداوات والبغضاء ليحرم الوطن من قيمتها وإستبعادها من المشاركة في بناء البلد ليخلو المجال فقط لطلاب السلطة والنفوذ لجر البلاد إلي مزيد من الفوضى وعدم الإستقرار . 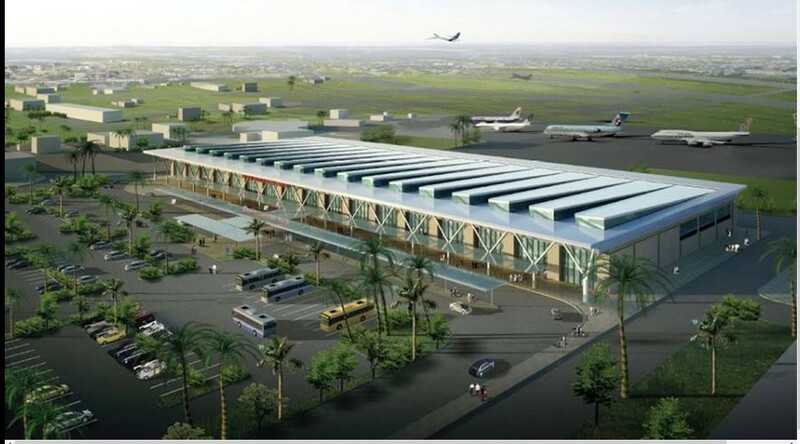 ثانيا : نناشد مديرية أمن العزيزية و مديرية أمن الزاوية إلي ضرورة إستلام زمام الأمور والتنسيق فيما بينهم والإسراع في تشكيل لجنة تحقيق مشتركة لمعرفة أسباب سقوط الطائرة العمودية قبالة سواحل الماية بتاريخ 27 : أكتوبر : 2015 و الإستعانة بمن تراه مناسبا من الخبرات المحلية و الدولية للمساهمة في كشف الأسباب الحقيقة التي تسببت في سقوطها والإسراع في ذلك قبل أن تطمس معالم الواقعة سواء بفعل الطبيعة أم بفعل فاعل له مصلحة في عدم كشف سر ذلك ، و الإعلان بشكل دوري عن نتائج التحقيق لطمأنة الرأي العام كما ينبغي أن تتعهد أطراف النزاع بعدم التدخل في عملها ،وتهيئة الظروف الملائمة والإمكانيات اللازمة لممارسة اللجنة لمهامها. 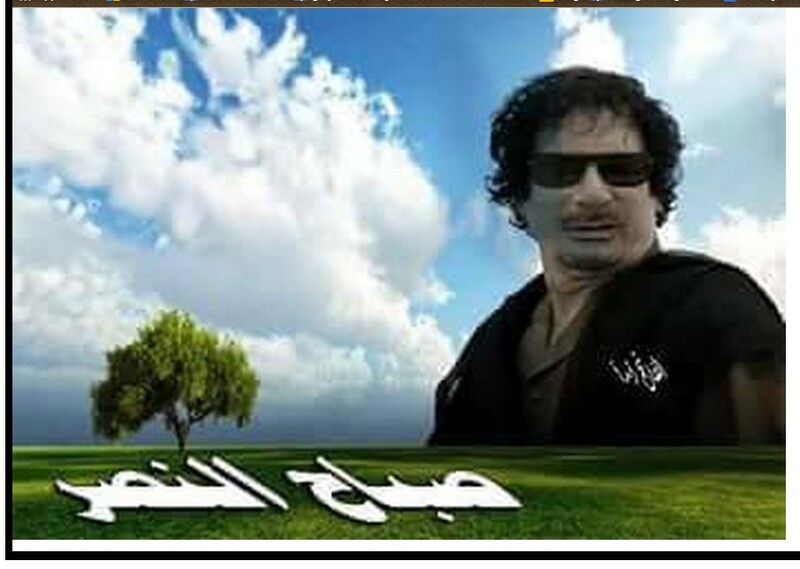 ختاما: إننا نخاطب وجدان أهالي الزاوية شيبا وشبابا ، و نقدم هذه المناشدة حرصا منا على حقن دماء الإخوة في الدين والوطن و ندعوا جميع الأطراف إلي ضرورة توخي الحذر من اللذين يدقون طبول الحرب والإنتباه التام لما يحاك من مؤامرات لإشعال نار الفتنة وخلط الأوراق السياسية بالعسكرية من جديد لأن نتائج ذلك ستكون وخيمة على العاصمة طرابلس و المنطقة الغربية بأكملها ، وأنهم وحدهم من سيكون المسئول عن إتخاد قرارات مصيرية تؤدي إلي مزيد من الآلام والمأسي وتوسع من الهوة الإجتماعية بين أبناء الوطن الواحد. 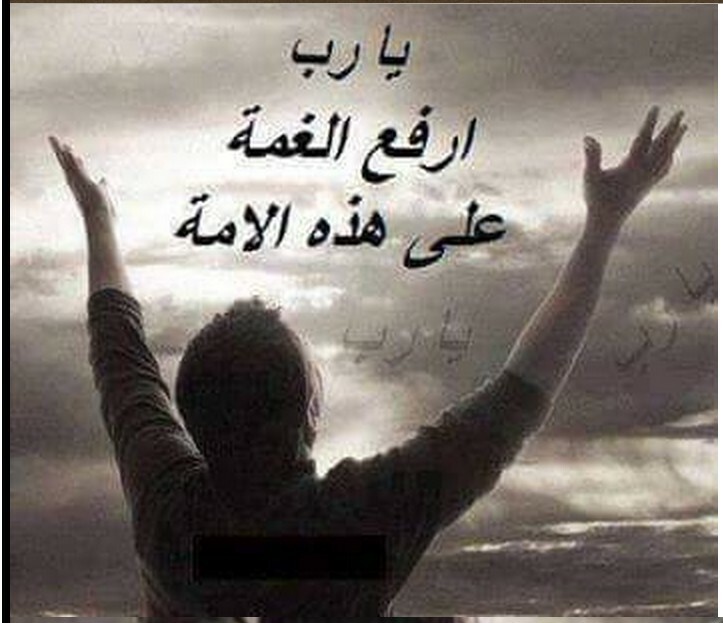 وفق الله ليبيا لكل خير، وأصلح الرعاة والرعية. “Identification, Alterat and prudence is the weapon of men who love the country and its people either drummers and mindful of strife and fighting the construction of the row and the destruction of the nation are seeking now to neighbors and lineages and in-laws and brothers war (corner and Rishvana) F. kindness between the corner and Rishvana. 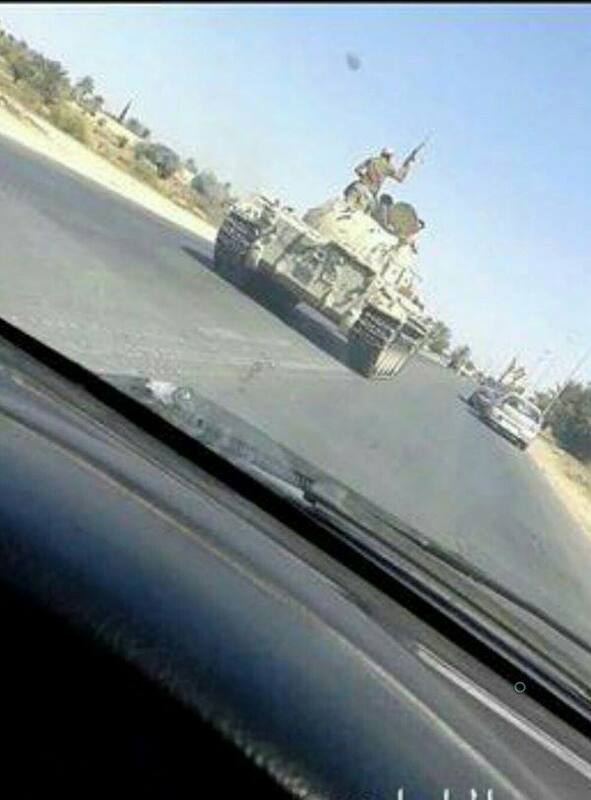 Must Zintan and al-Rajaban to intervene to prevent the fighting and sedition among enlarge and Rishvana and corner for Allah ! 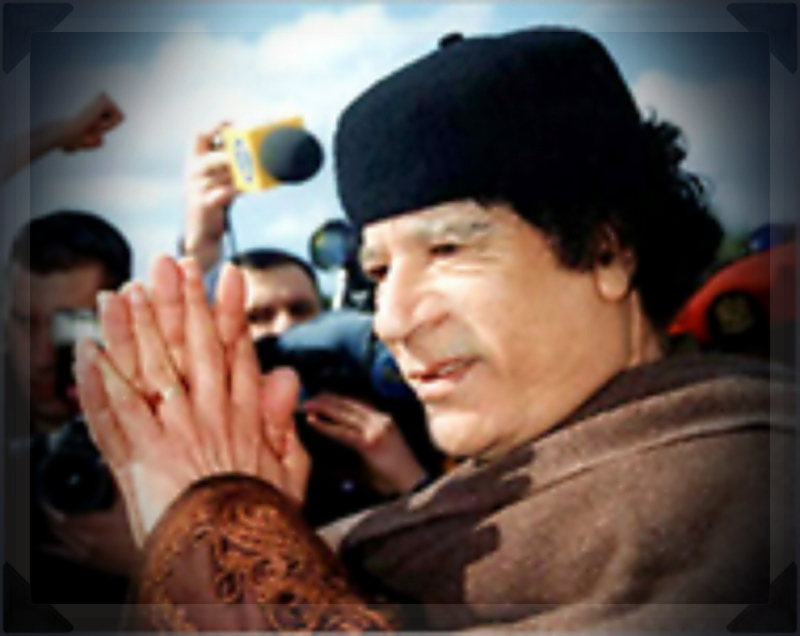 Among the leaders are friendly Colonel Hassan ordered the western region operations room of the Roma Melcaat Libya and Salem Saqr defense of the region is also of Roma and the son of Mohammed Sahib al-Kilani and spears ordered militia witnessed Libya and unconfirmed news for all deaths. 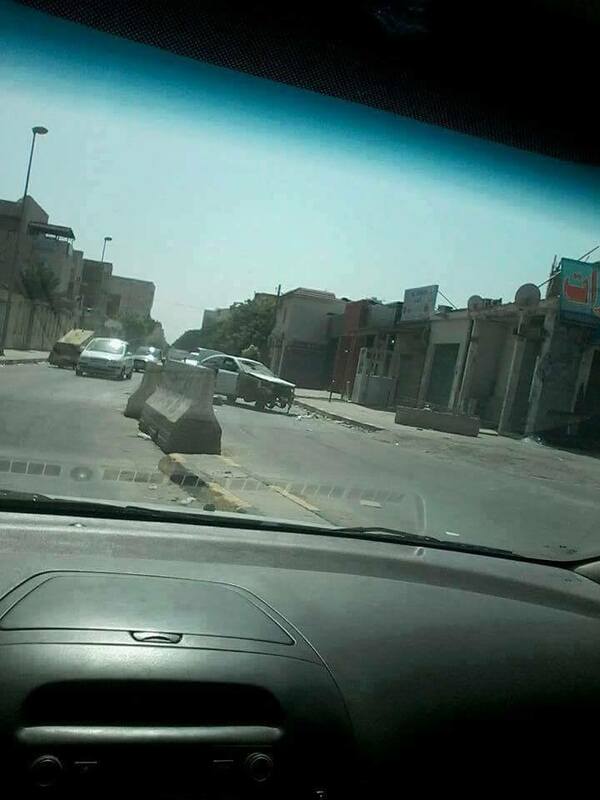 And the local council holds corner Misurata militias responsible for the crash after it came under heavy shooting of mil area. And the region is not exposed to attacks? 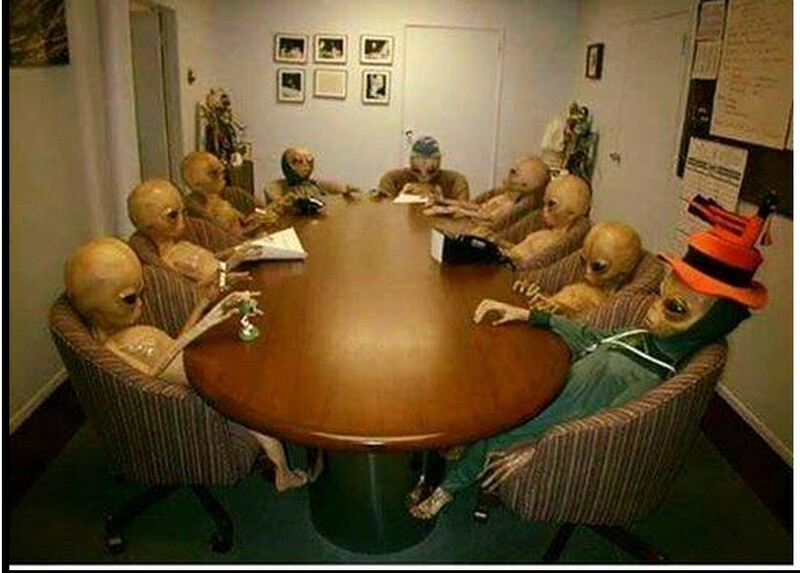 And if they are not Jeroshi tribes, it is the liquidation of the leaders? The Supreme Council for the tribes and Rishvana denounces the downed helicopter and make deepest condolences to the victims’ families. 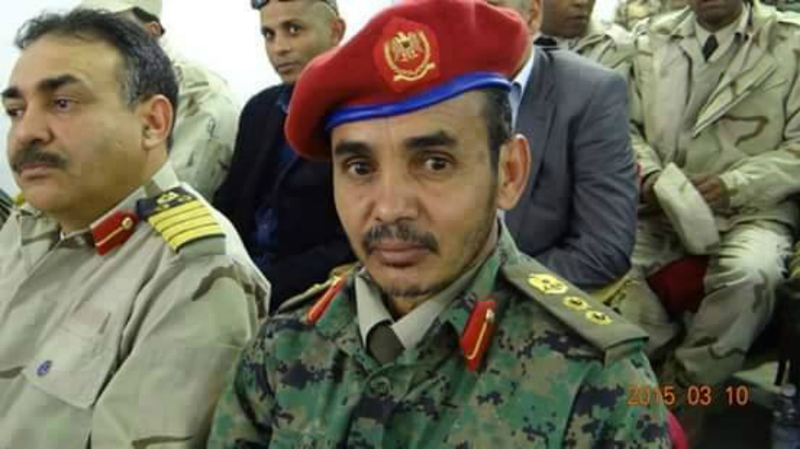 For information purposes only our neighbor … Major Salah al-Obeidi Ashtar of Zintan the transfer of financial aid only a crew of plane that crashed today. He has ..itam or three kids now. 1-shoot to Aasagt plane shot down, even if it will not fall in the same place and shoot some of the passengers survive. 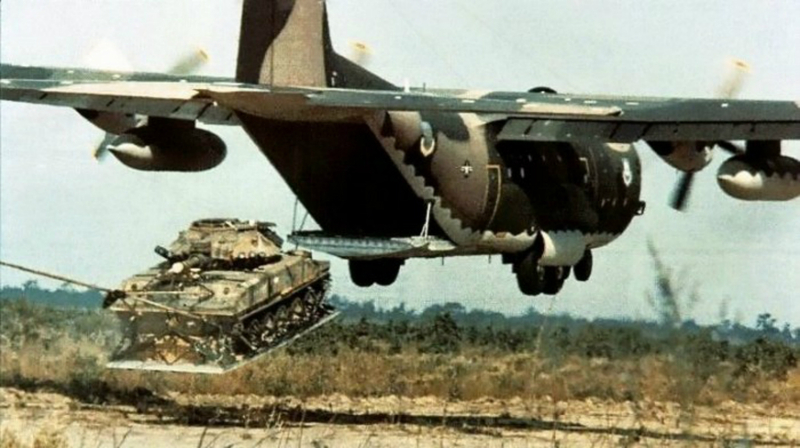 2-if it fired on the aircraft distress call from the captain. 3-warming in the case of launch shall burn the bodies completely burned and luck in our wars and ask. 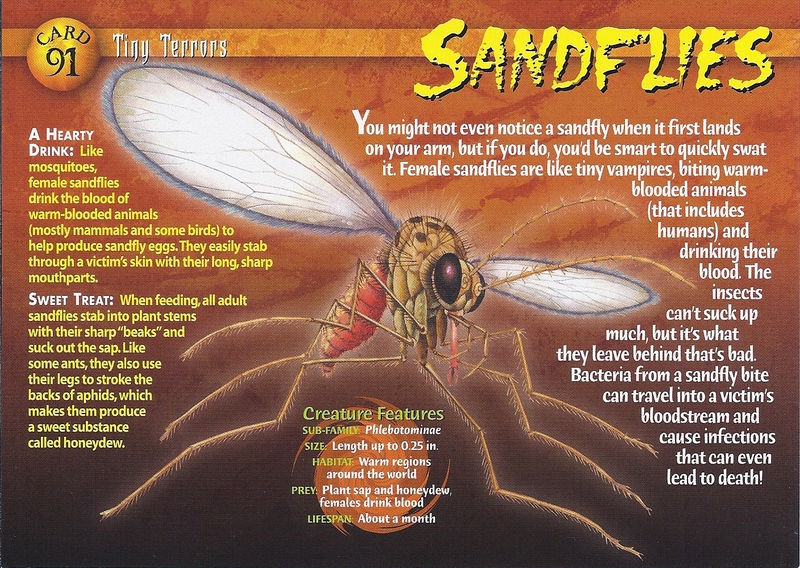 4. explosive heads and bellies nor traces of burning fire and clear all the dead bodies as a result of a sudden pressure variation. 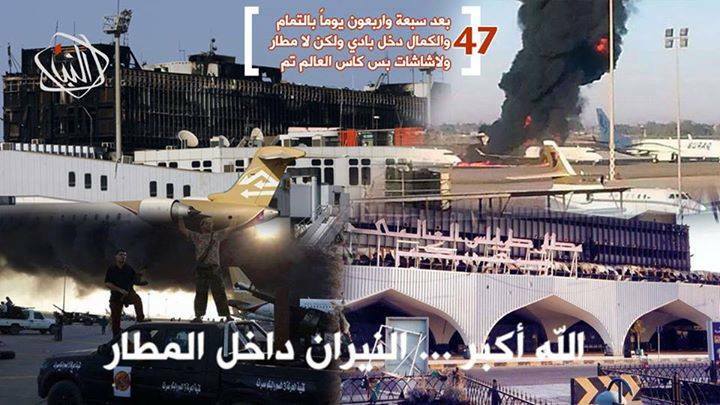 5 and 6 with each of Moroccan nationality is the person who boarded the plane with them were not recovered until his nails. 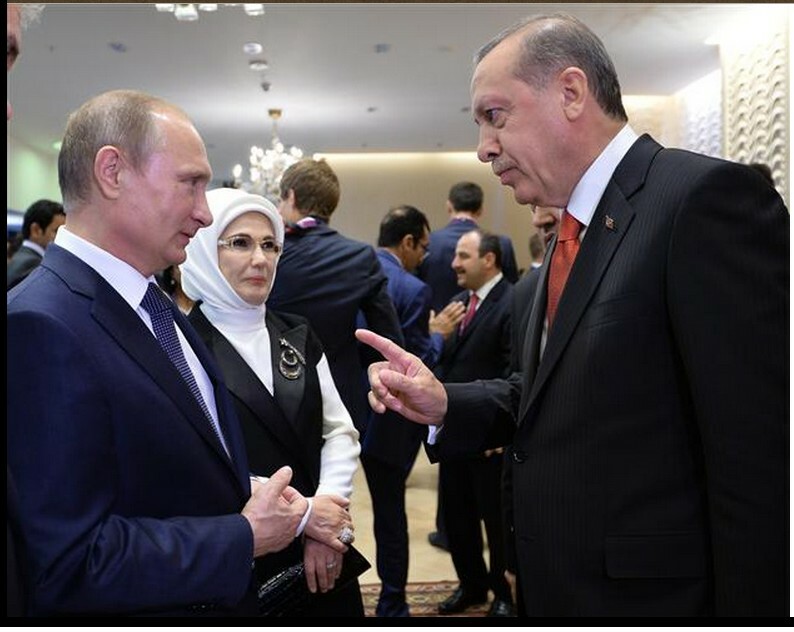 Muheisen to teach and trumpets paid soldier either fighter, brothers or dawn or MISURATI “One does not bite of a room twice” and you and Akhaddan witnesses in Twagen and betrayal and sales! 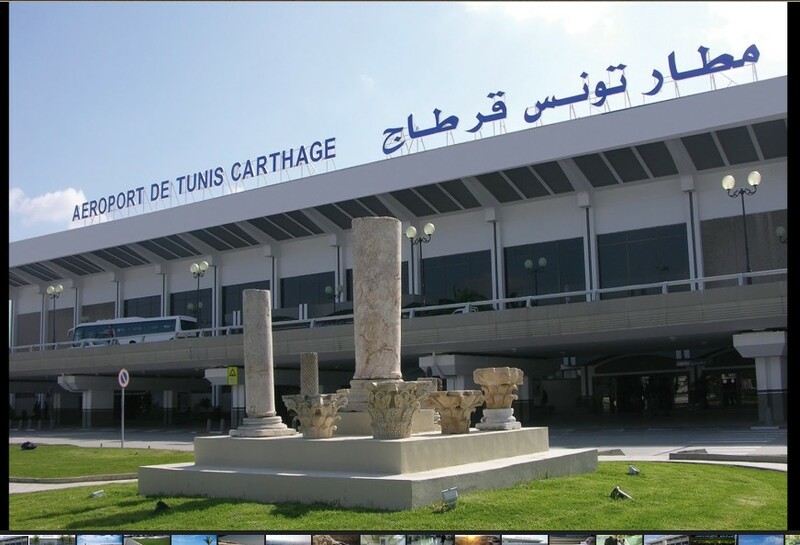 Rishvana and fought on its soil and presentation of impure Roma who Dnsoha and stole everything and everybody and Hrko the pretext of correcting the path of most of the cities who with ‘Dawn Libya’ ‘s participation was against the revolution, or did not participate in the revolution already! …. 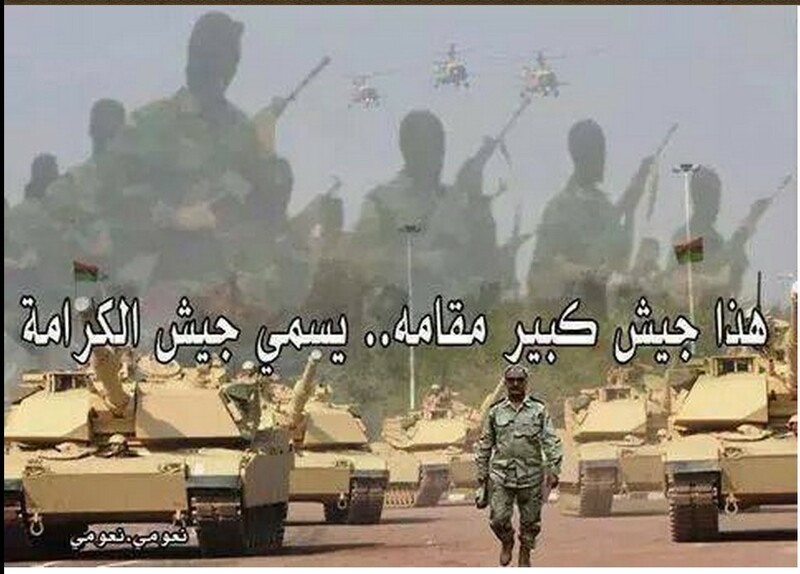 After the car provided in our wars against wage …..
Thankfully then recover the land and Rishvana furiously and the pond in the arms of her children and do not deny preferred Zintan forces and al-Rajaban Kano Good companion in our path even prayed Astrddna region other than ground and Rishvana .. 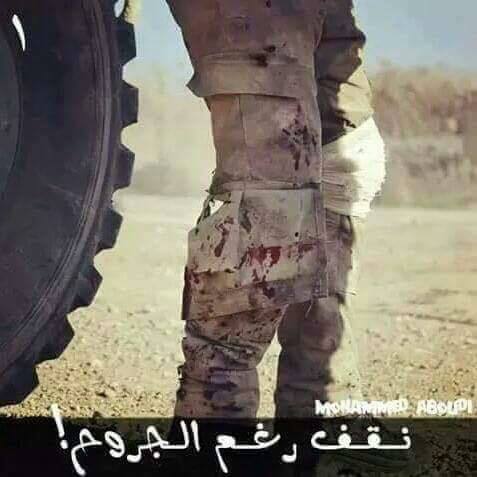 It is not beautiful Misurata and other climbers religion Atoa havoc blooded and cowardice who is bubbling words Heca Hedda Maaarafh Shi p curtain and knee and text crawl !! And Rishvanah Hurriyet for the cause and the goal of a homeland. 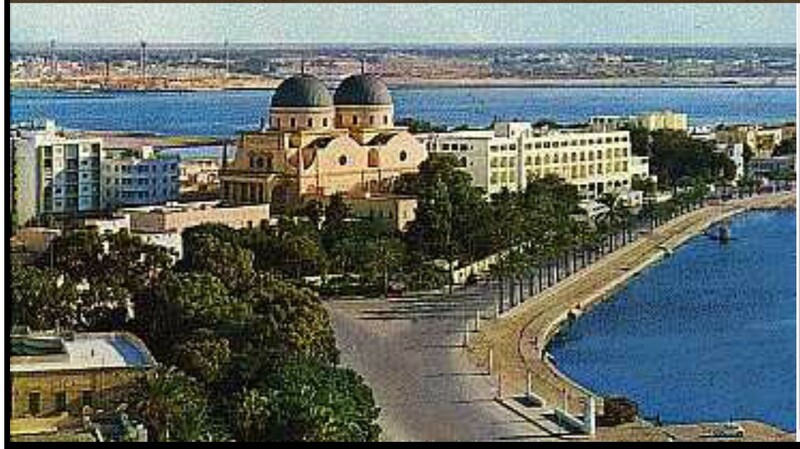 Not like the people of Kano Harbin in Tunisia and in the cities of Harbin inside Libya and Rishvana time Nadthm Attoha and Harpo and currently Ev_ko nor in before them and after them, and they dream above Bergawa beautiful time to amuse them Ahelmoa Aabab! 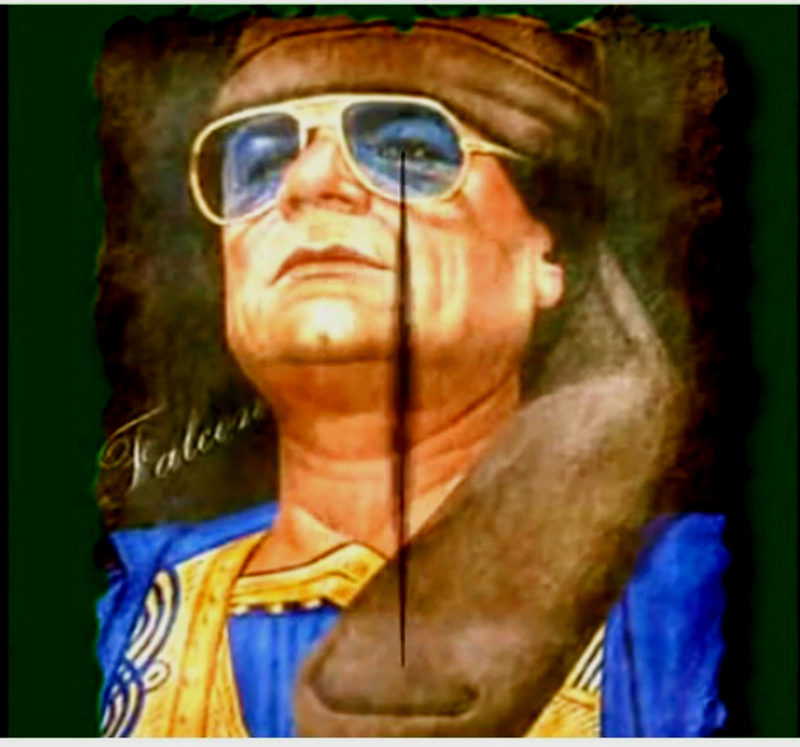 Advice from your son was injured in one of the screens fronts victory ..
And bled when Rishvana not find these trumpets or Elvis Bucky noble tribes Mil or Halifaa today Misrati not seen her when she abandoned her family and burned Arzgaha by Hrairha religion did not Ajdo them good Kdlk not Tantdharo goodness of these never !! Ahdroa of Toajpn MISURATI that you do not bake in the Tafrto stood with you in the far afternoon, did not skimp on us and our family has received in good time we did not find in other cities and downright Alorchwena devout who lived period Haya Ali knew of Ngo! Allah willing, my Lord enlighten your way Aatric seven drums of the Municipality to complement the Raakm Tafrto dampers requires the blood of who responded to Rishvana’s prestige ..
Request and not pray for me and for all the wounded to heal and Allah bless ordered. 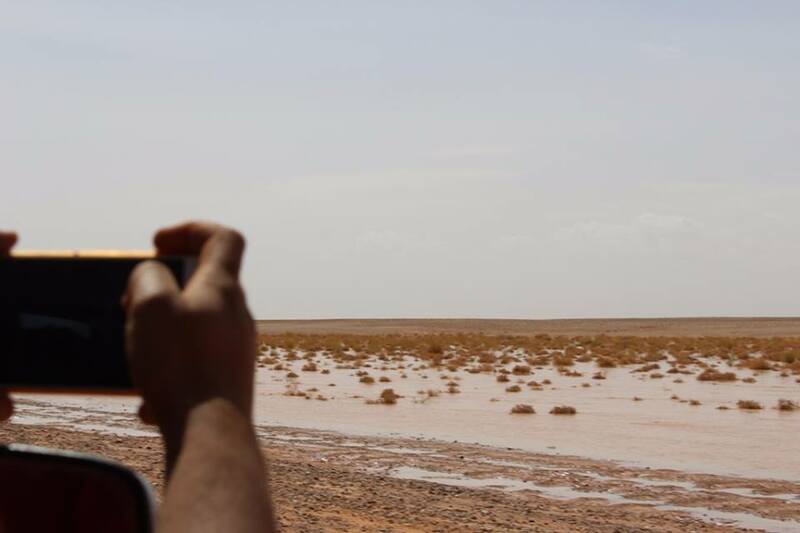 Today: young people from Zintan and Gharyan and other areas of Libya, are on their way to Algeria, to Raleigh Lens creator of Zintani Musbah. 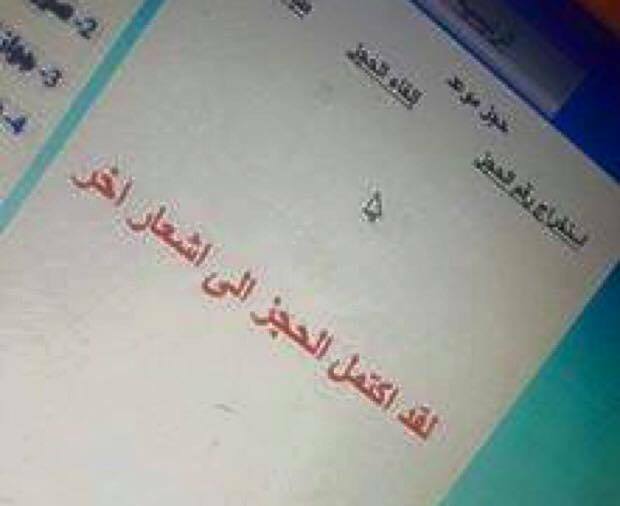 Found dead behind ‘Ague al-Zawah al-Jdidh’ Hedda today … The child was identified and belonging to a person from the city of Gemayel. The child was kidnapped since the duration. 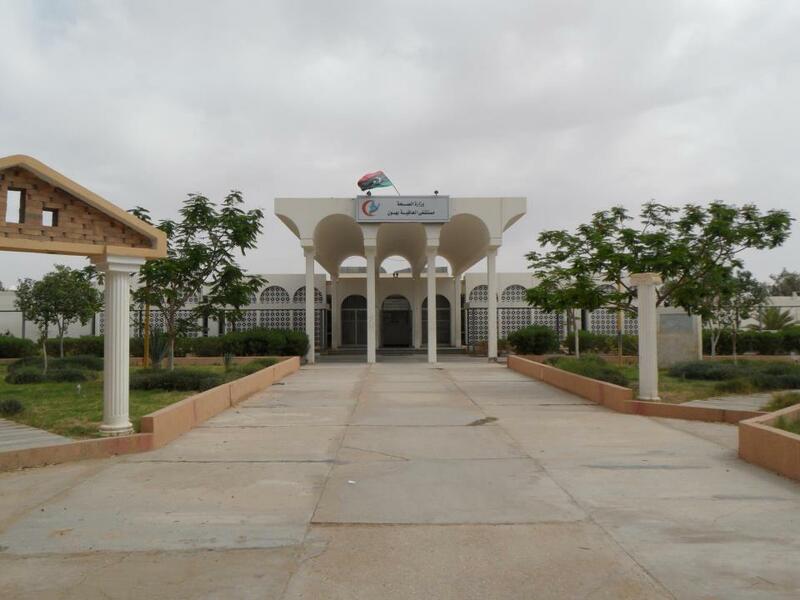 Was a meeting Zintani negotiators, and the rat Malcaat ‘Roma Libya’ militias, in the city of Sabratha, to handover ‘Chtioui Mohammed’, who is known as ‘the dome’, and ‘Valjamil’. 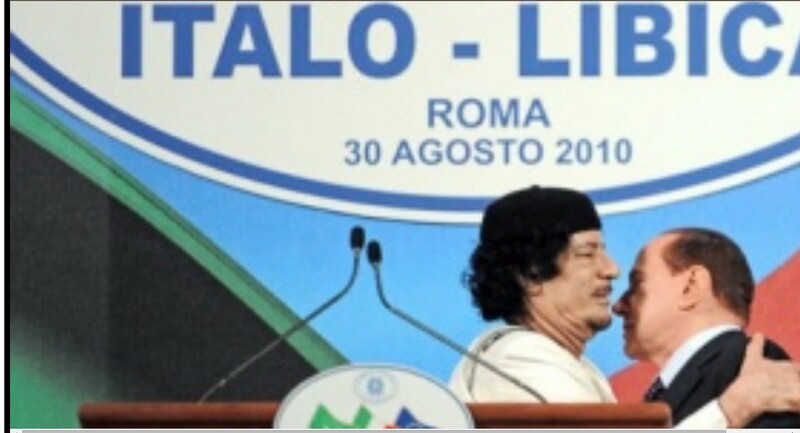 Alliance terrorist organization ‘Daash’, is working with ‘Melcaat Roma Libya’, in Beautiful City. 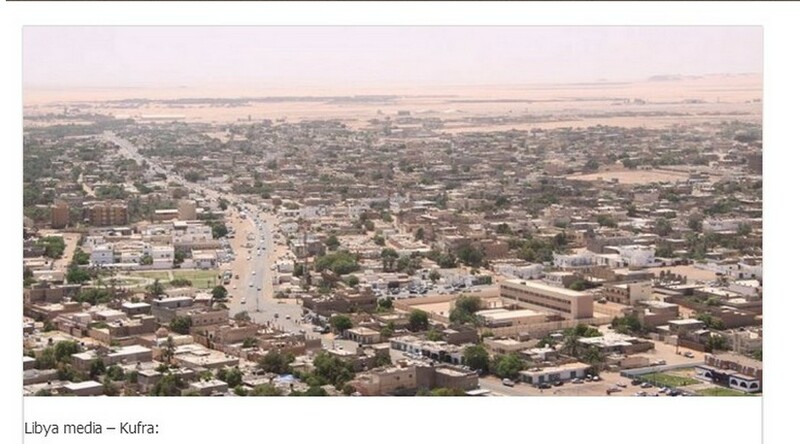 ‘Roma Libya’ militias are now at al-Akrbah intersection of Beautiful City, and are forcing their intervention upon Beautiful City; all the ways up to al-Akrbah triangle on its way to the base Wattaya. 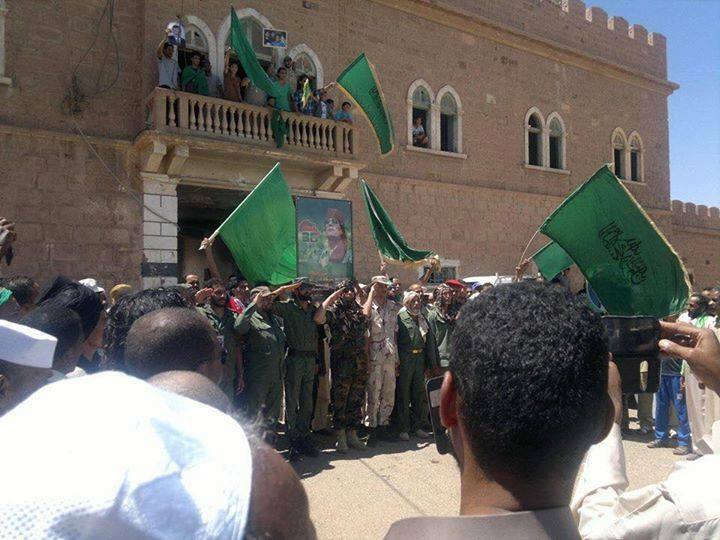 B. al-Akrbah battles between militias ‘Roma Libya’ and the green banner of our Arabism fighters. and the establishment of several inspection gates battalion…. 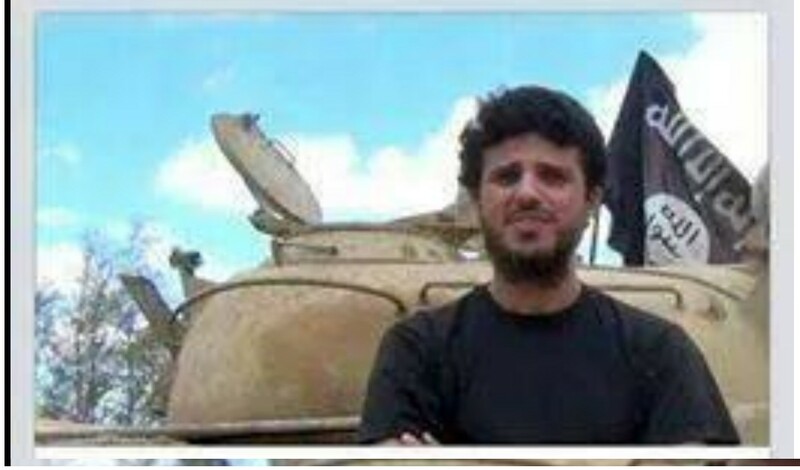 The martyrdom of the hero ‘Ahmed al-Khanjara’ in addressing the region battles at ‘Ras Yousef’. 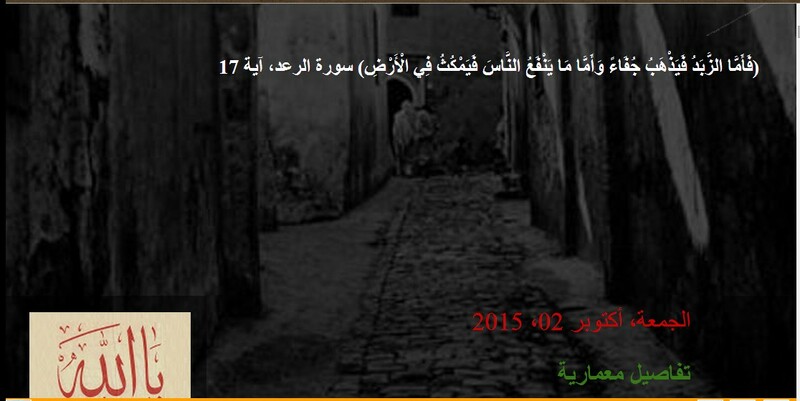 ’17 February’ is making a guerrilla-campaign of arrests in Ajeelat. 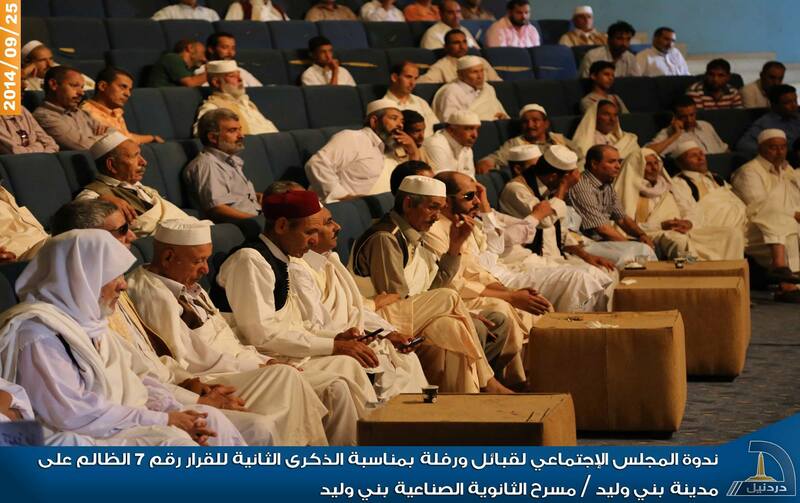 Roma Libya militias grab the Senate older audience, long for a meeting a few days ago. 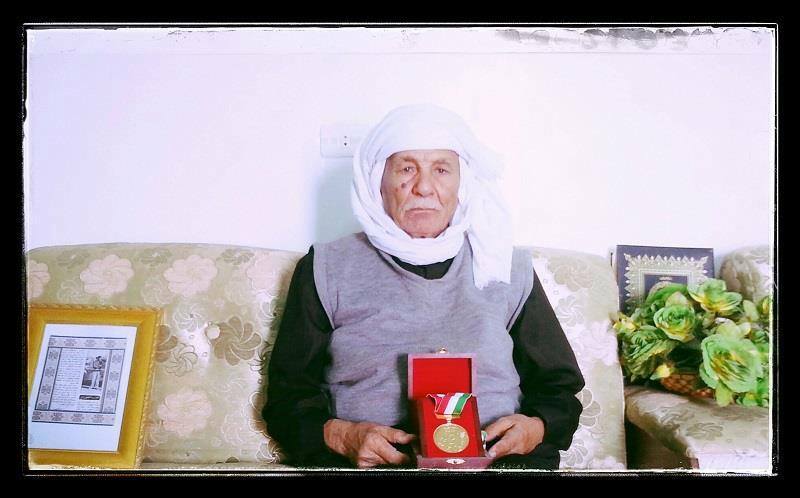 One of the elders who were Agayd attic of the South Vi Ao Taliq. 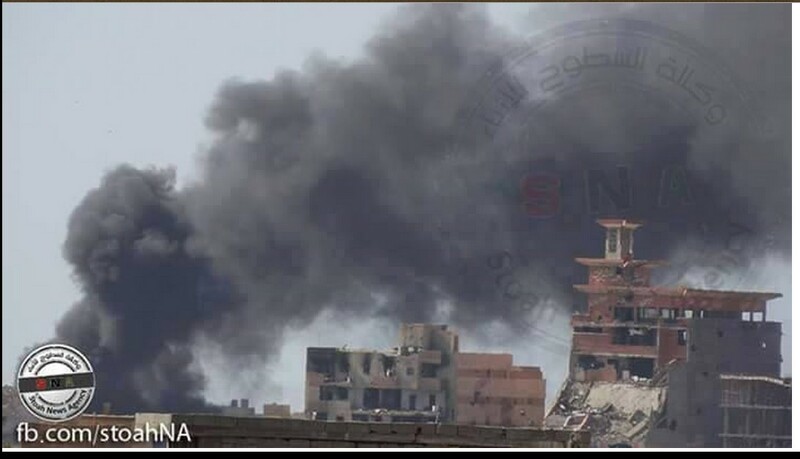 ‘Roma Libya’ militias are burning houses in the area ‘long’ (Lord Each right by you, O lackeys of colonialism). 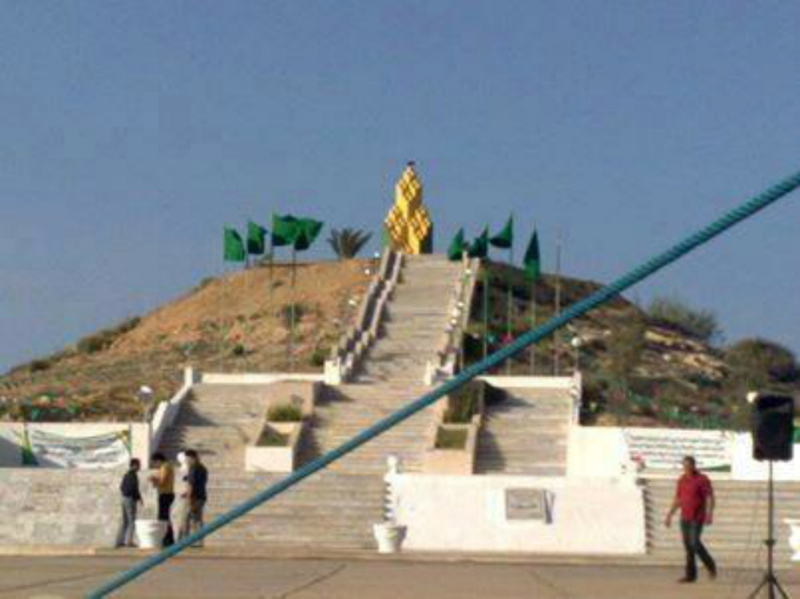 to the al-Kabbaib gate at al-Taweelah B. Sabratha. All officers and soldiers and volunteers on all sites (which follow ‘the Room the Western Region’, headed by ‘General Idriss material’). You must immediately withdraw from your positions in coordination with the ‘Brigade Operations Room’, and ‘Rishvana Operations’. 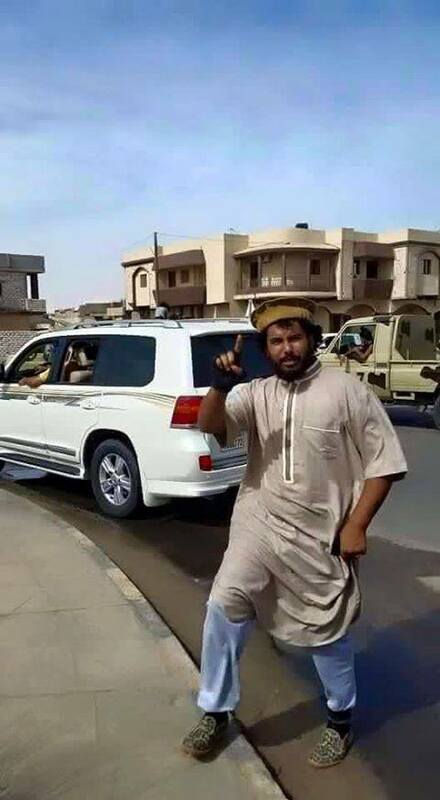 on Wednesday, who was in the dank prisons of Misurata. 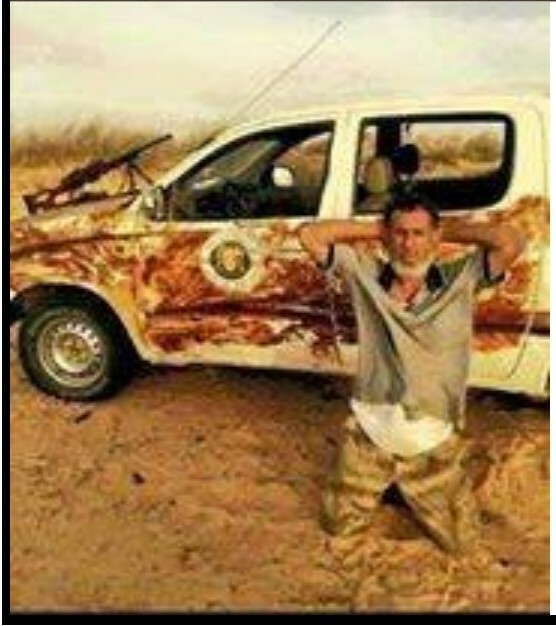 He was captured in Sirte, in a convoy Ezz month 10/2011 in an ambulance. 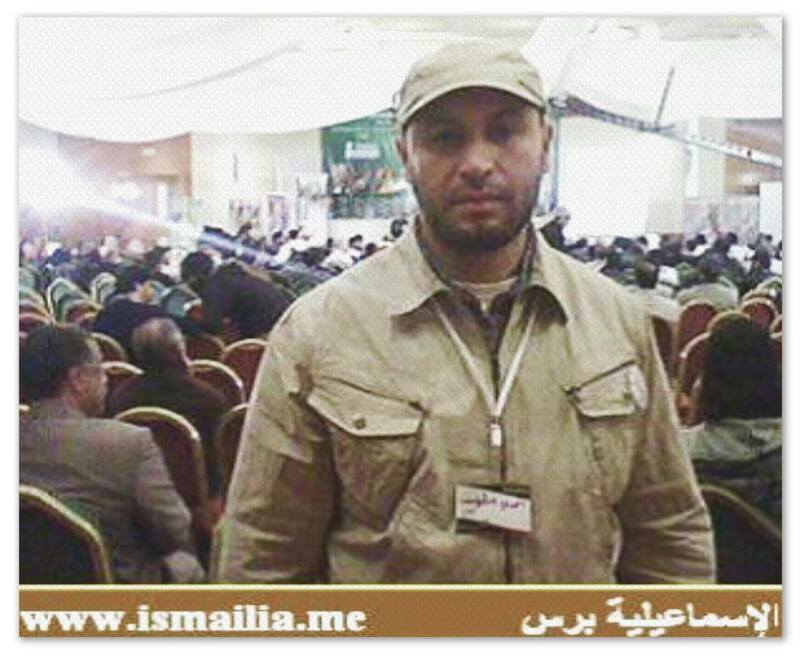 He was one of the employees of the ‘Battalion M’Hamed Maqrif security’. 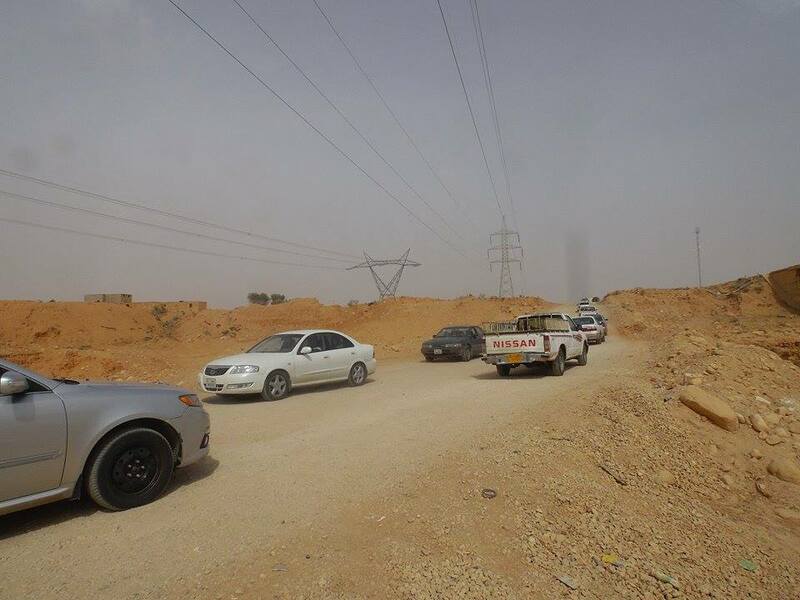 al-Chuirv police patrols and police Asahraoah..
Occabh control and control of the military police (on the desert road link between Sabha and Tripoli), stumbled on unidentified bodies Mtnatrh on the highway…. Reconnaissance aircraft flying over the city. 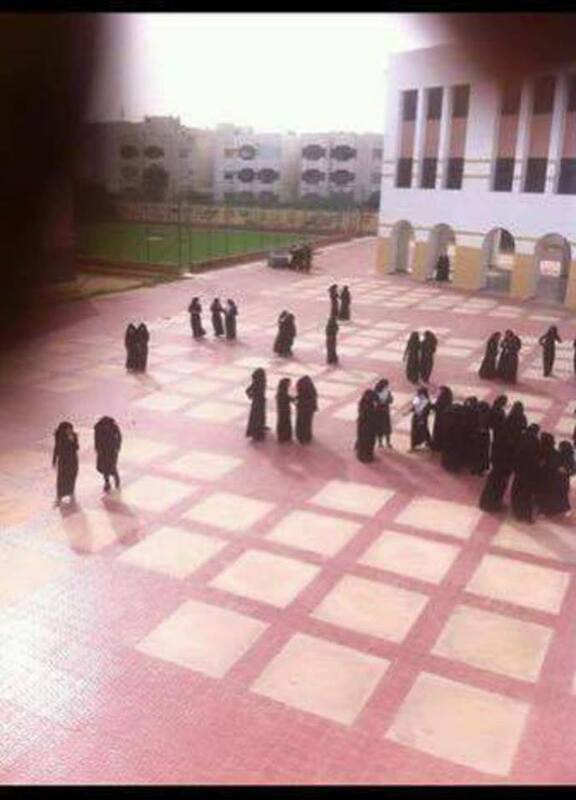 Picture of Arab Revolt High School for Girls neighborhood thousand housing units, which underscores the terrorist organization ‘Daash’. There is no power but from Allah Almighty ! 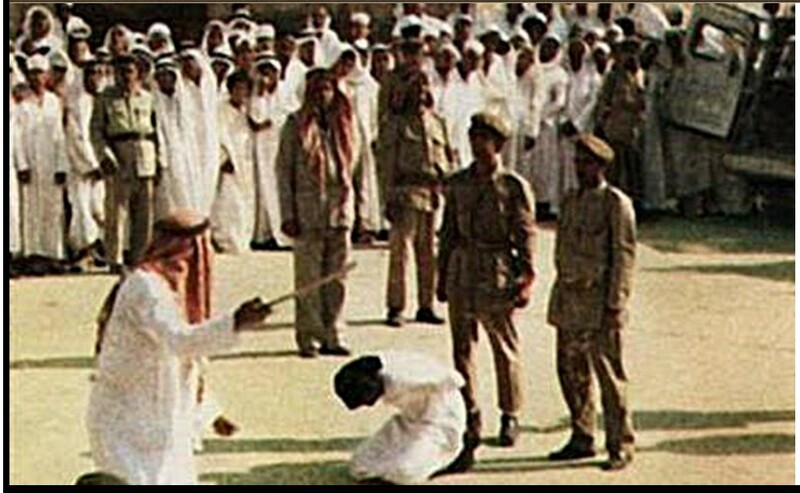 The executions her youth and the more than 20 young and now the Shooting dense by ‘DAASH’ celebratibg their crimes. 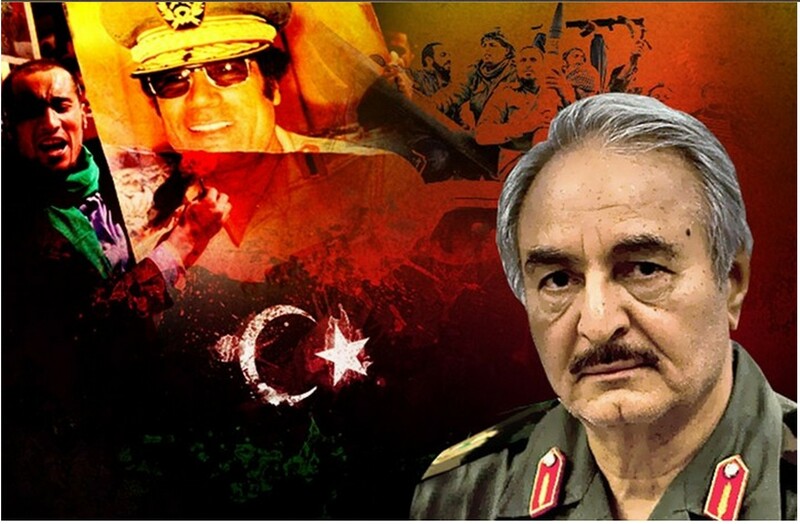 “Wayne our national army, led by Major General Khalifa Hftar hero and the rest of the officers in the Libyan army. 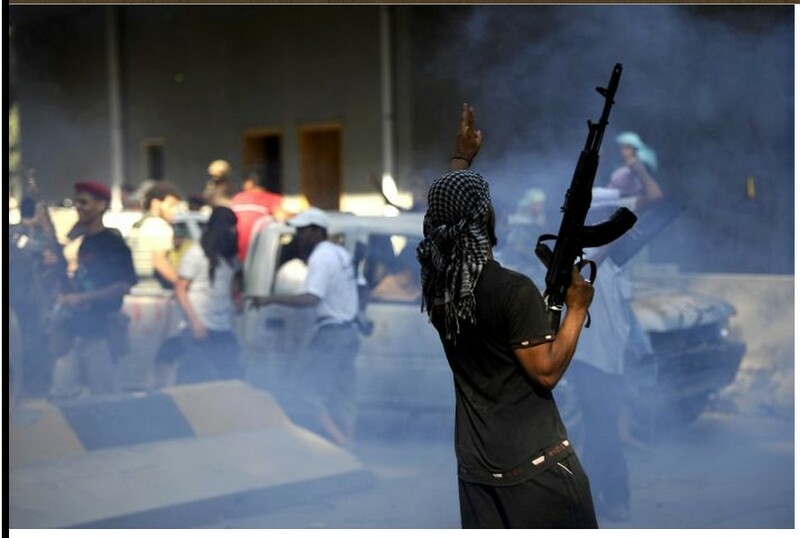 There are Violent clashes in the center of al-Hawari. 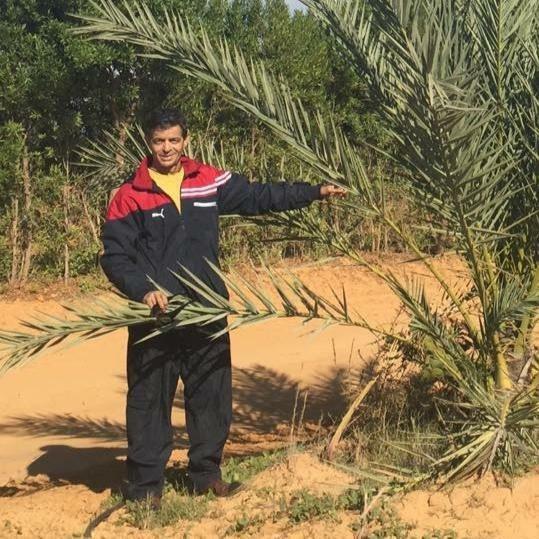 The killing of so-called “Ahmed Bourguiah” nicknamed beans, one of the ‘Daash’axis elements in al-Hawari. 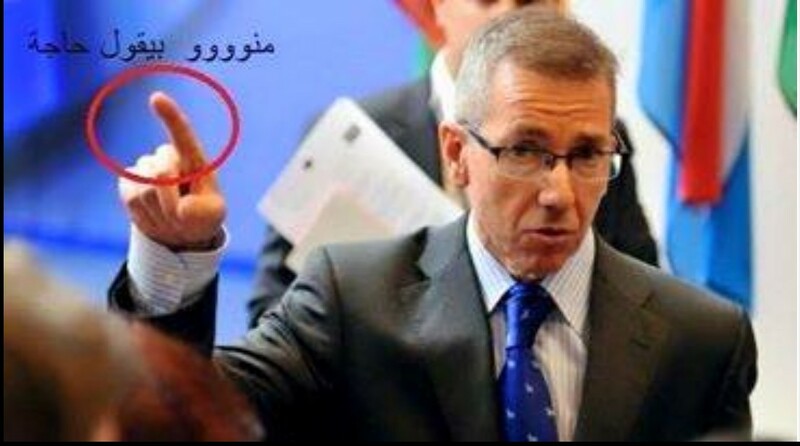 No one in the ‘MAJLIS al-NUWAAB’ wants, as their ‘government’, any of the proposals of Bernardino Léon. 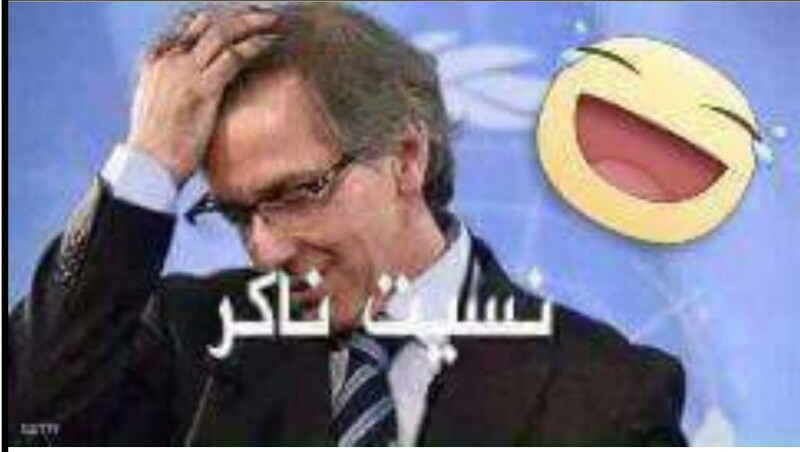 Secretary-General of the United Nations, “Ban Ki-moon” asked his Special Envoy, “Bernardino Leon” extend its mission, which ended last Tuesday, to ‘Osabia.okhry’ as head of the UN Mission of Support in Libya. Followed by banks and the system for passports and civil registration outages. 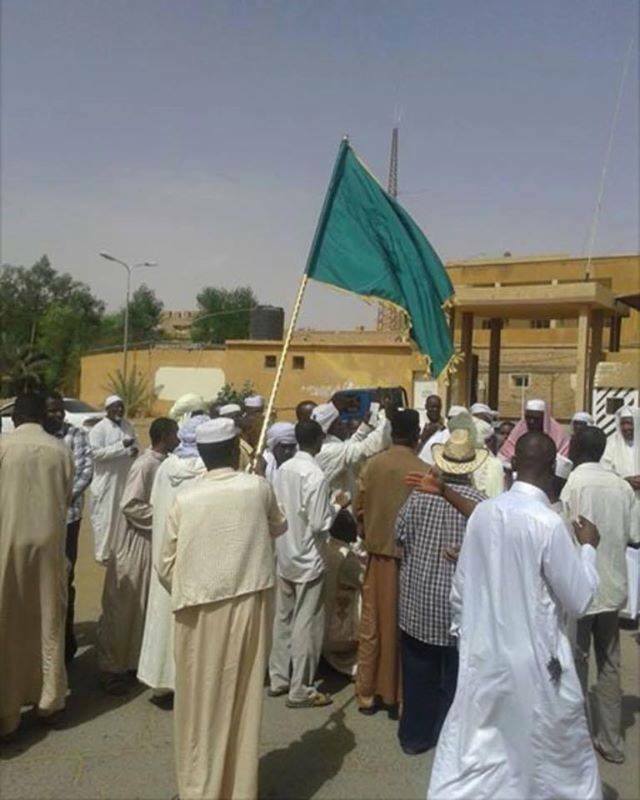 The Natives if the city of Sabha, have rejected the ‘puppet’-‘government Léon’. 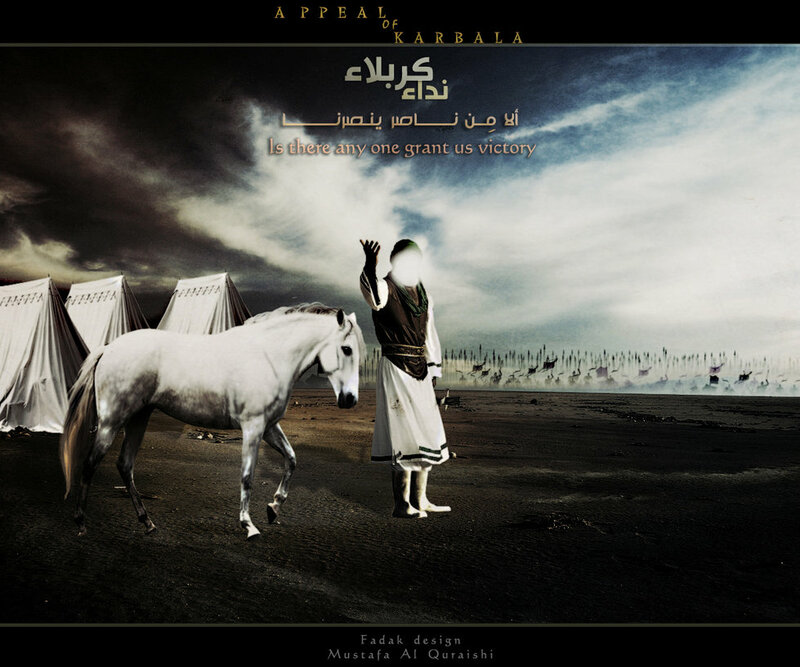 Karbala – the direction of the liberals. 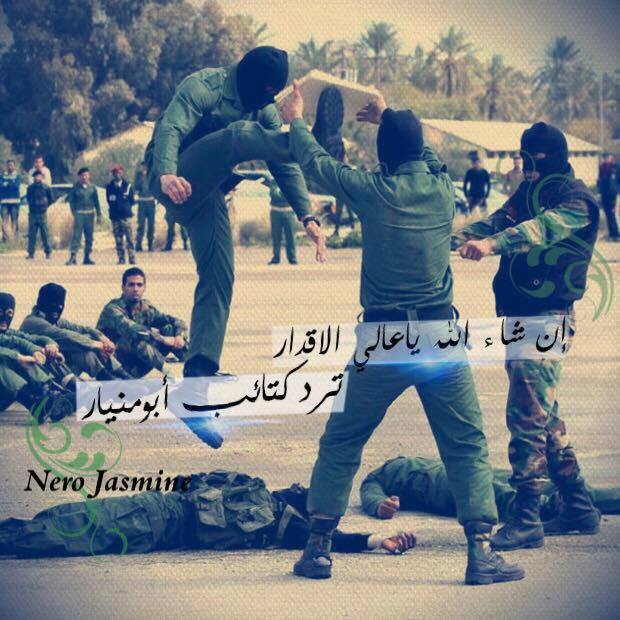 A new Yemeni anthem (chant or song) about Karbala. 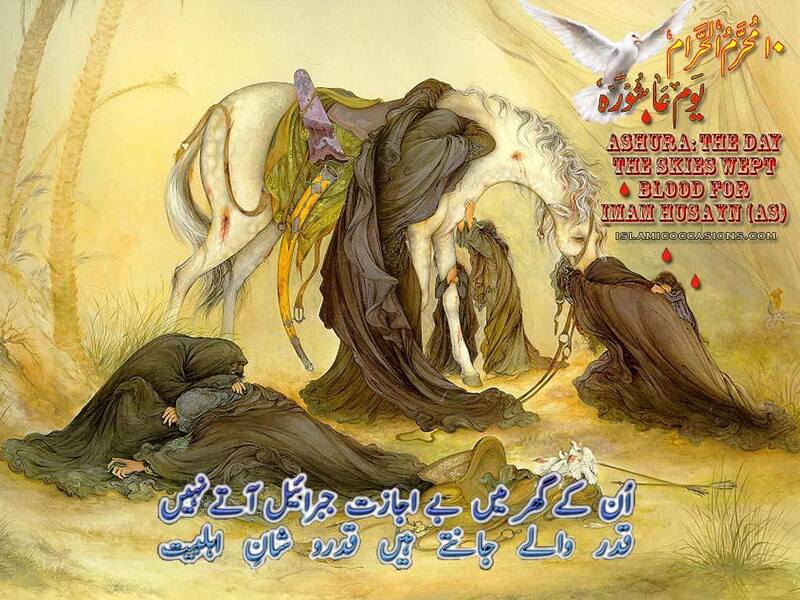 This Anthem is talking about Karbala as a revolution against the tyrants that didn’t stop at its time. Colombia sends 800 soldier to fight with Saudi against Yemen, as RCN Radio of Colombia said, which is an official Radio there as I read on wikipedea. What do you think dear brothers and sisters ? If this is true, why they are bringing all of these nationalities to fight against Yemen ?! TEHRAN (FNA)- Saudi Arabia’s navy vessels retreated from Yemen’s coastal waters after the Yemeni army and popular forces targeted and destroyed a Saudi warship in the waters near Bab al-Mandab Strait, the third Saudi warship sinking in Yemen’s offshore waters in the last one month. 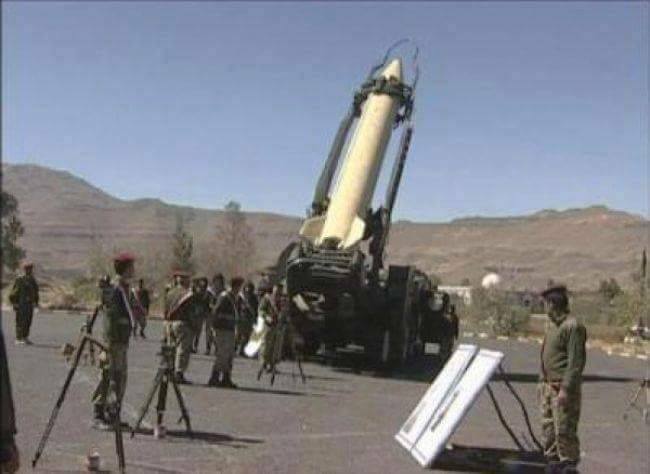 The Saudi warship was targeted with Yemeni missiles in the coastal waters of al-Mukha region in the province of Ta’iz. 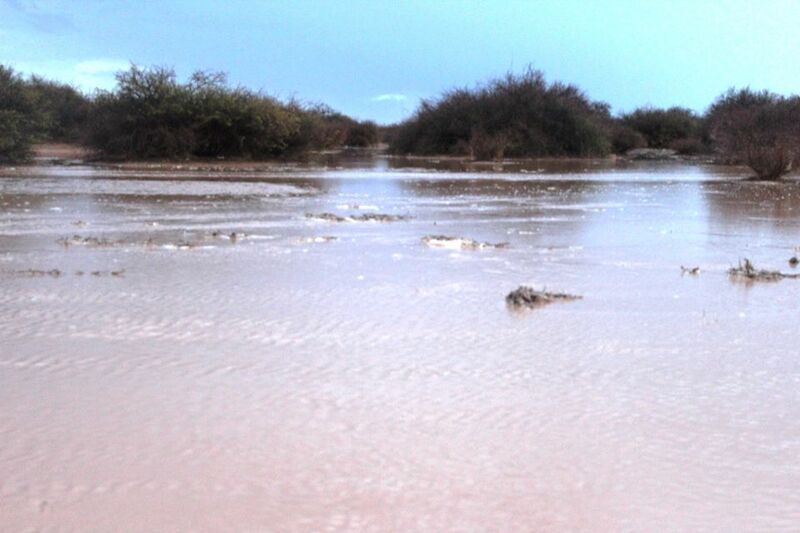 The sunken ship had repeatedly fired rockets on residential areas in Ta’iz province, inflicting casualties and destruction there. This is the third time that a Saudi warship is completely destroyed during the Saudi-led war on Yemen. 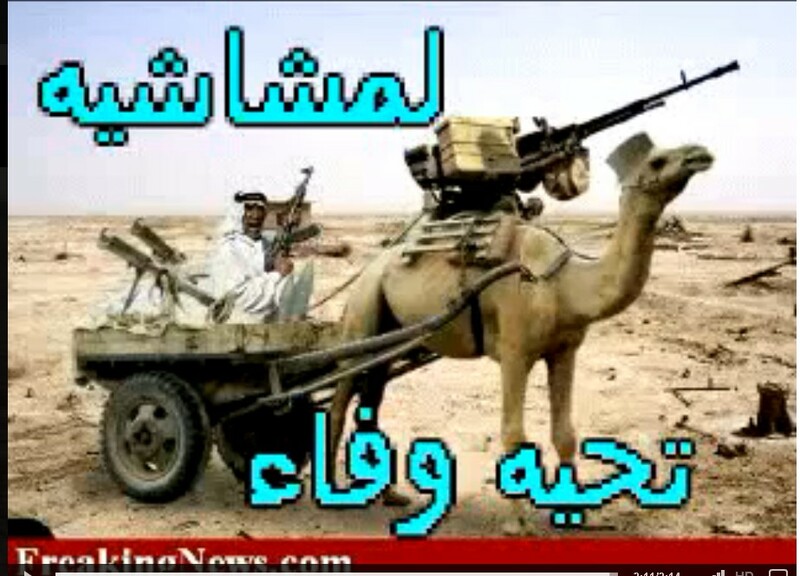 Other Saudi battleships retreated fast following the attack. 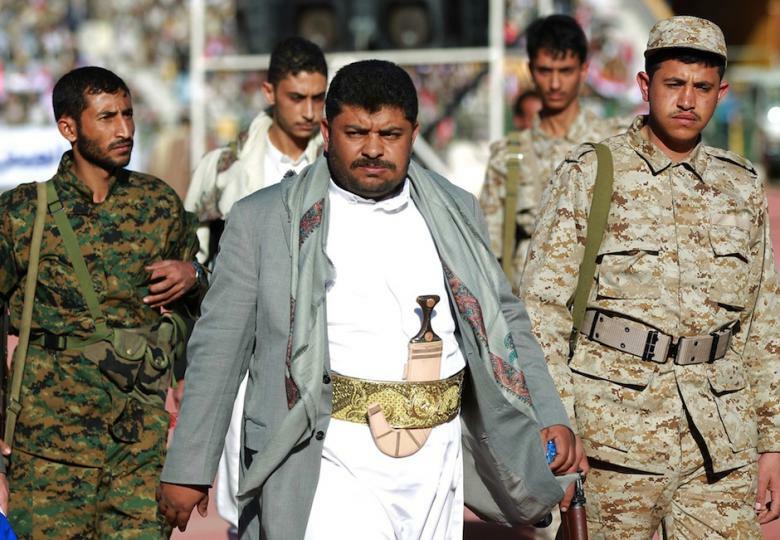 According to local media reports on Sunday, the Yemeni forces targeted the vessel, which had regularly been shelling Yemeni coastal villages, with rockets. 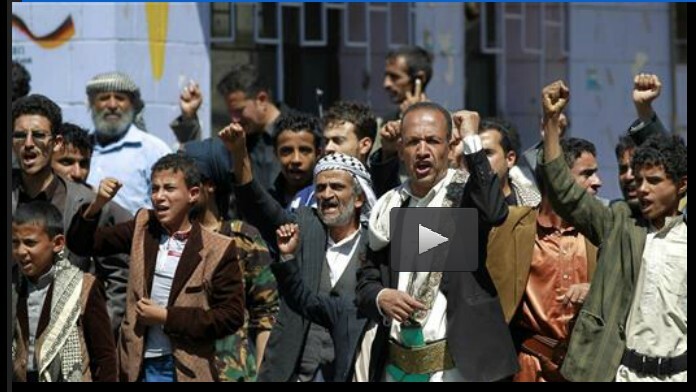 Reports said that the warship was set ablaze due to the Yemeni rocket attacks and sank. 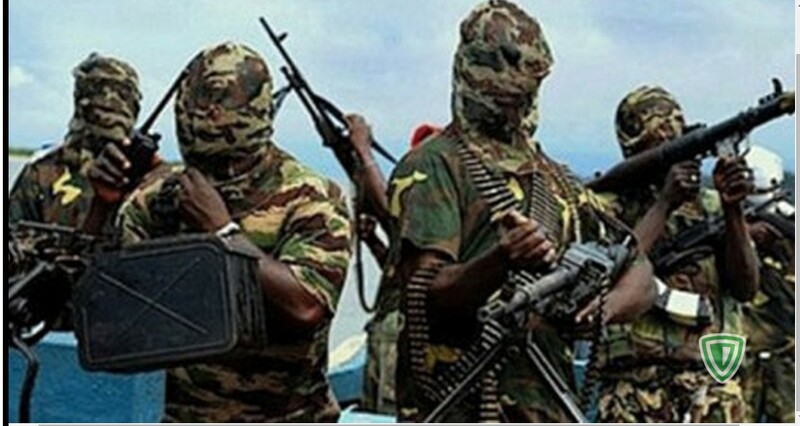 After the incident, Saudi warplanes and naval vessels several times bombarded the coastal area in the district of Mukha in the province. 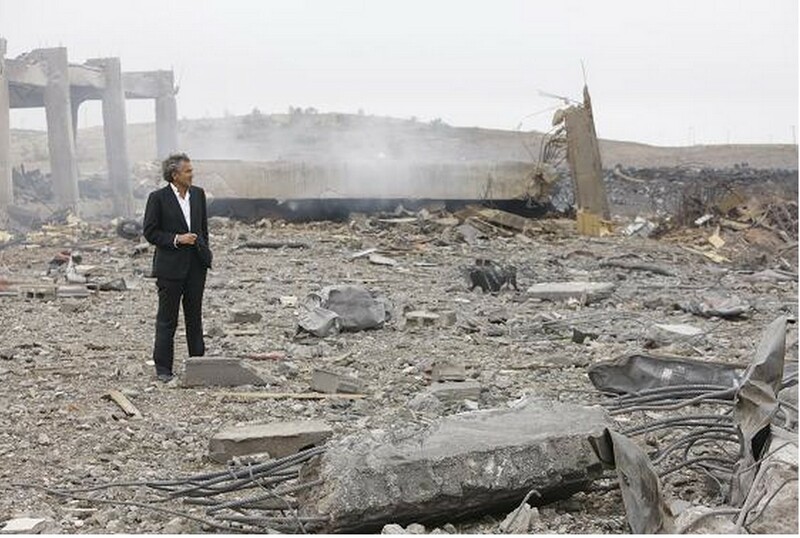 Saudi warplanes also bombarded other provinces in the impoverished Arab country. In one of the airstrikes on the Yemeni province of Sana’a, at least four civilians, including three children, were killed. 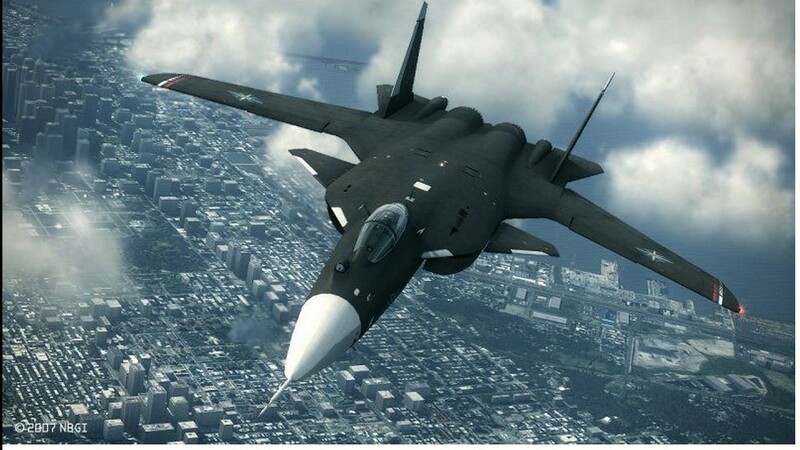 The Saudi fighter jets also bombarded a foodstuff factory in the province. 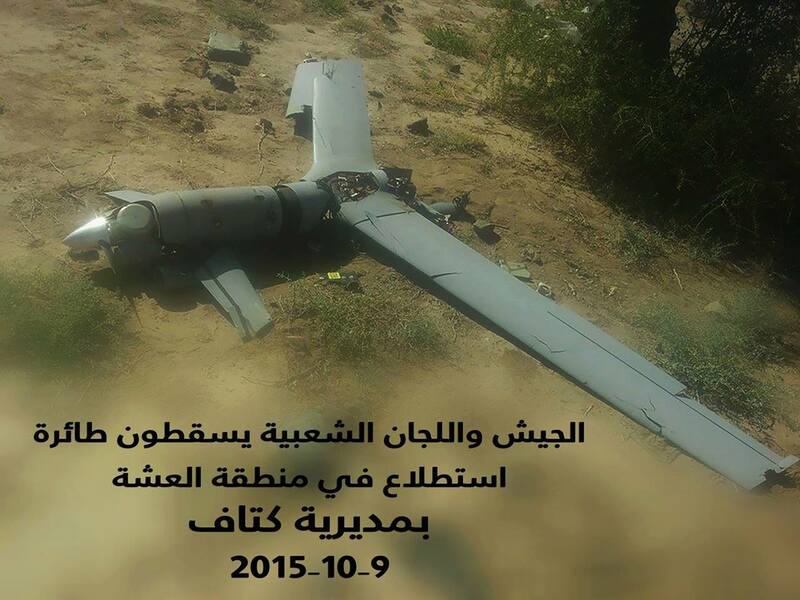 The Yemeni province of Sa’ada was also the target of Saudi airstrikes. 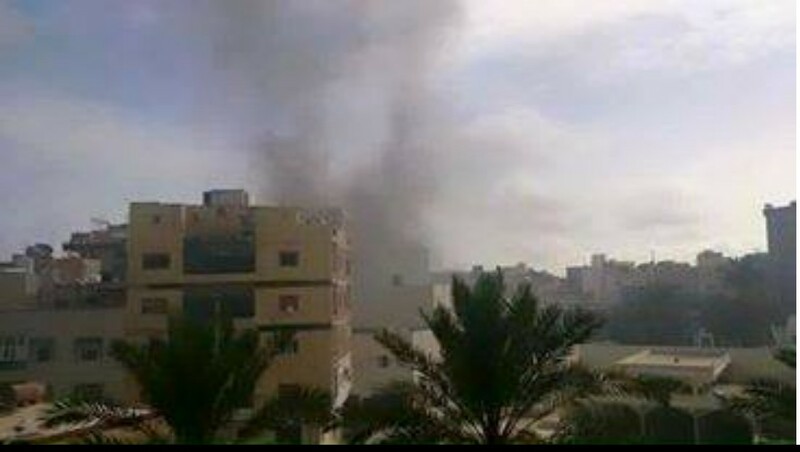 At least a woman and a child were killed after Saudi warplanes targeted a residential area in the district of Majdh. 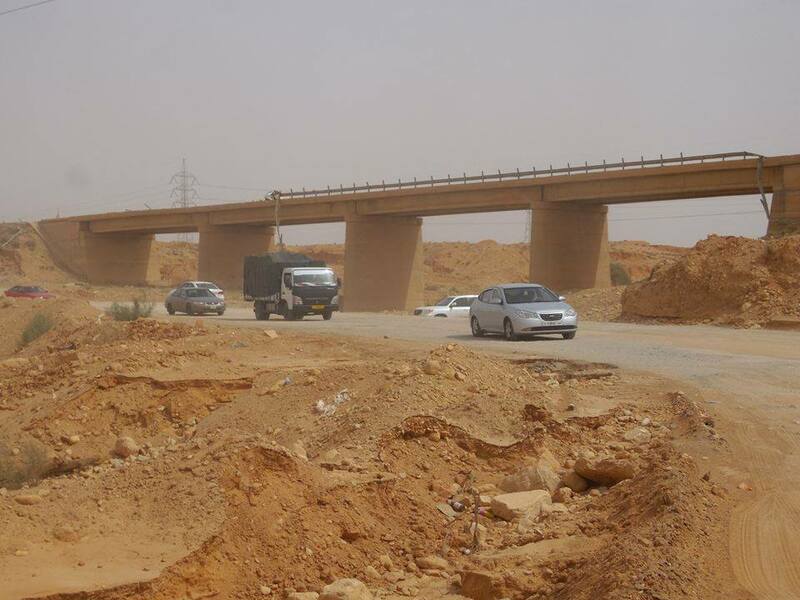 The Saudi jets also bombed a bridge in the same district, killing at least five people. 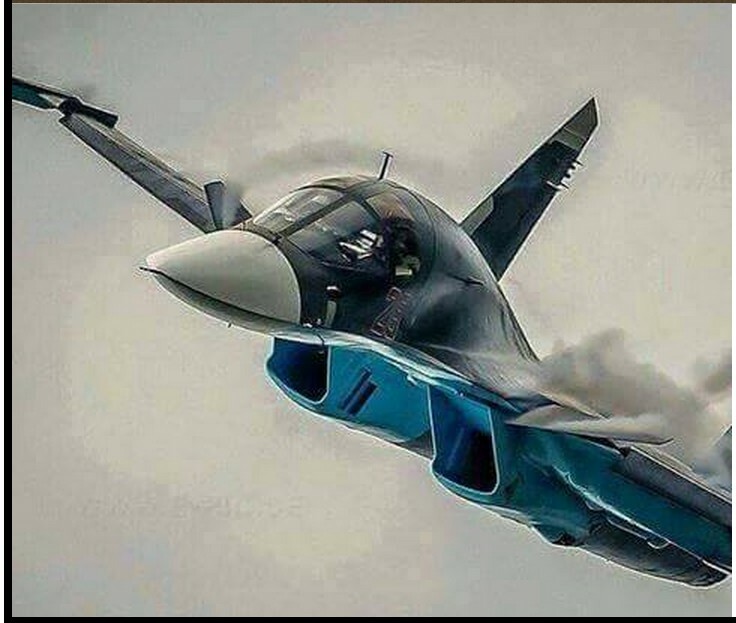 The Saudi warplanes also bombarded the districts of Razeh, Katas and Sahar in Sa’ada. 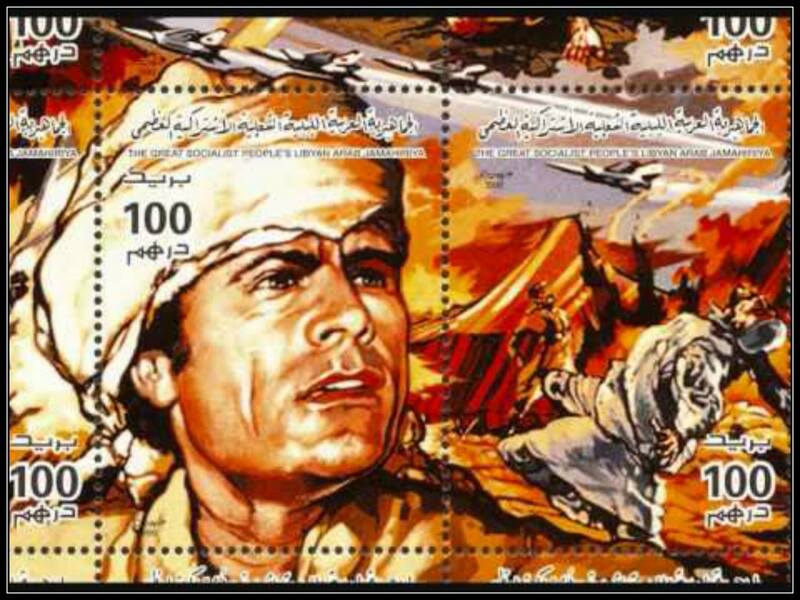 It was said that Saudi fighters used cluster bombs in Sahar. 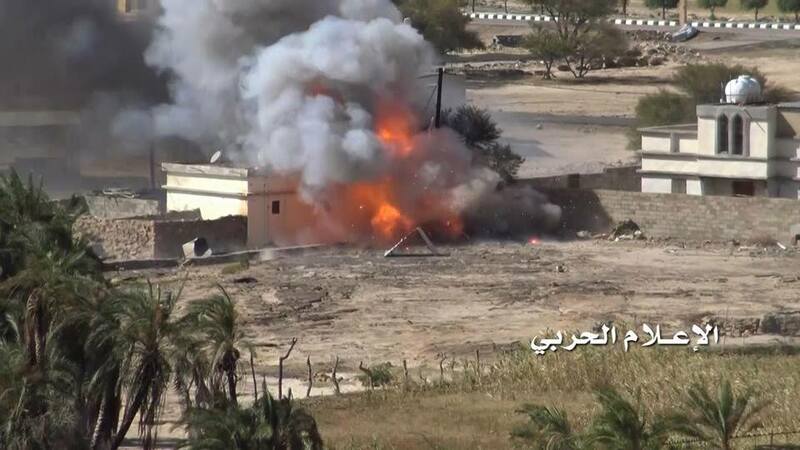 The headquarters of one of the brigades of the Yemeni army in the province of Hajjah was also hit by Saudi warplanes. 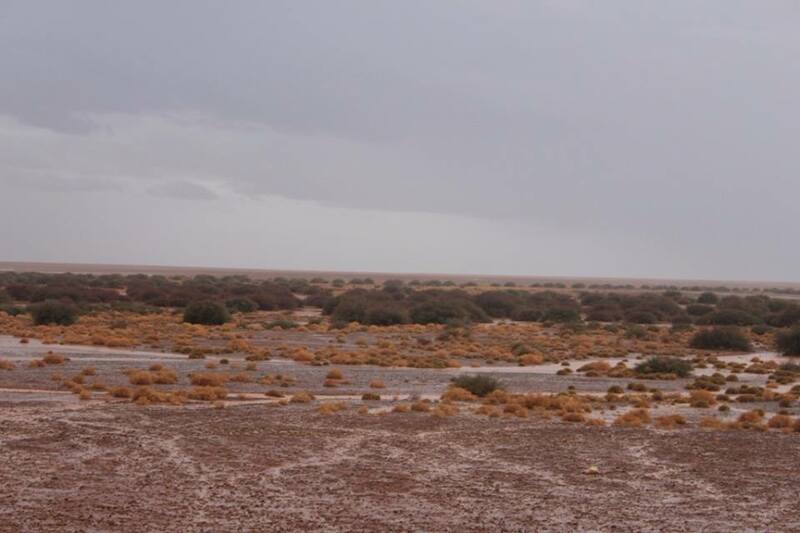 The coast of Al-Mukha is located in Bab al-Mandab strait and the Saudi-led forces have been trying hard for several months now to win control over coastal regions near the waterway. On October 11, the Yemeni forces fired rockets at a Saudi-led coalition warship and destroyed it near al-Mukha coast. 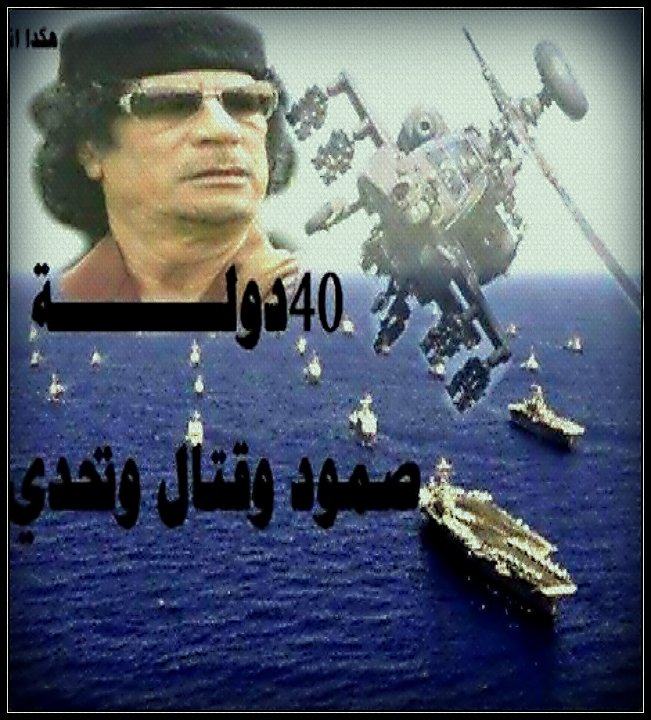 Informed sources also said that the warship named “al-Mahrousa” belonged to the Egyptian army. 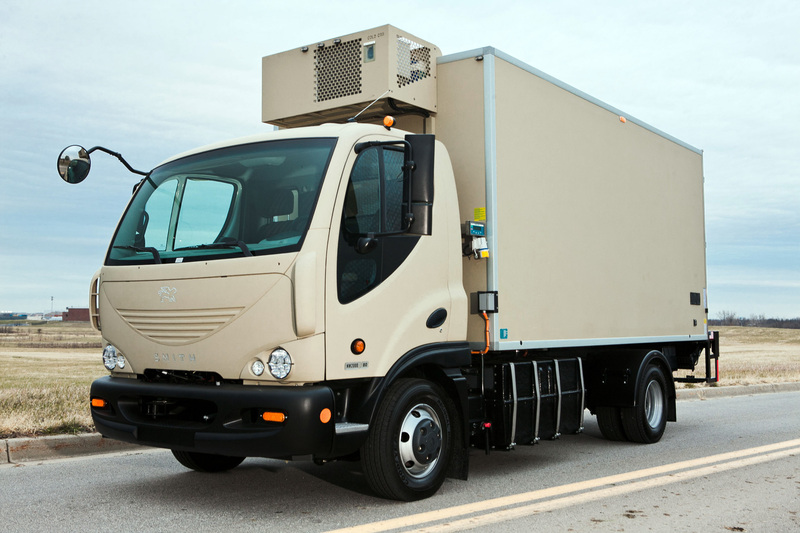 Mistral – M.T. 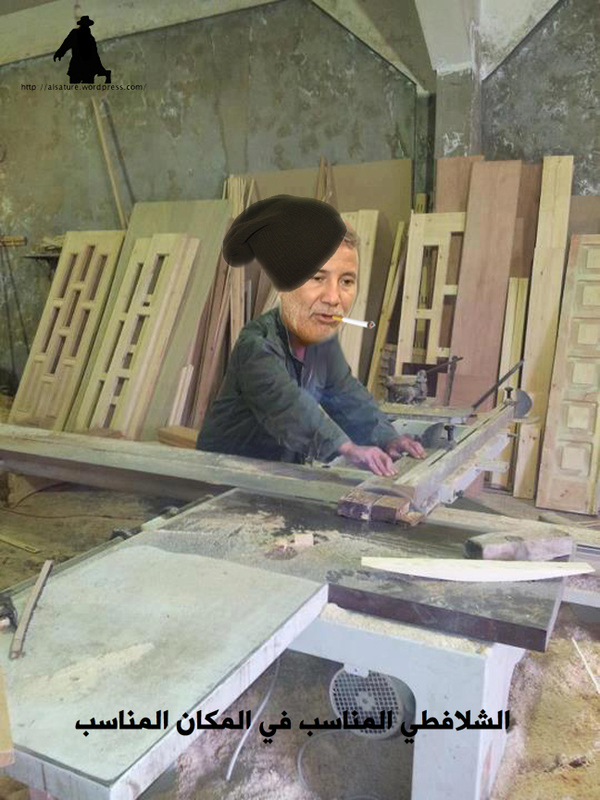 – French homemade. 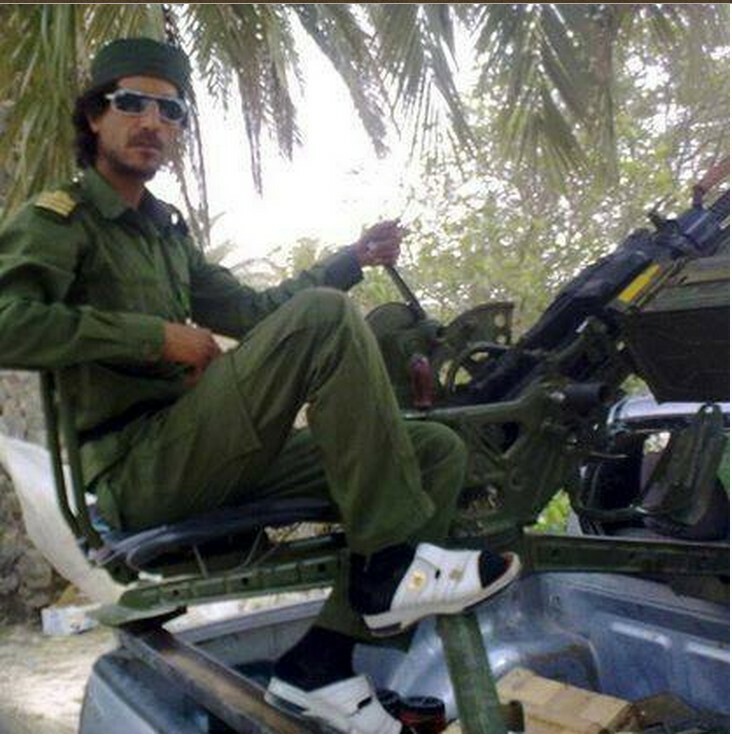 * Reconnaissance forces of the Naval defense of the Yemeni army and popular committees observe the enemy warship at Saturday, just off the coasts of Yemen. * The warship carries the name “M.T Yanbu’a” of mode “Miral” French homemade, accompanied by a small Saudi gunboat. 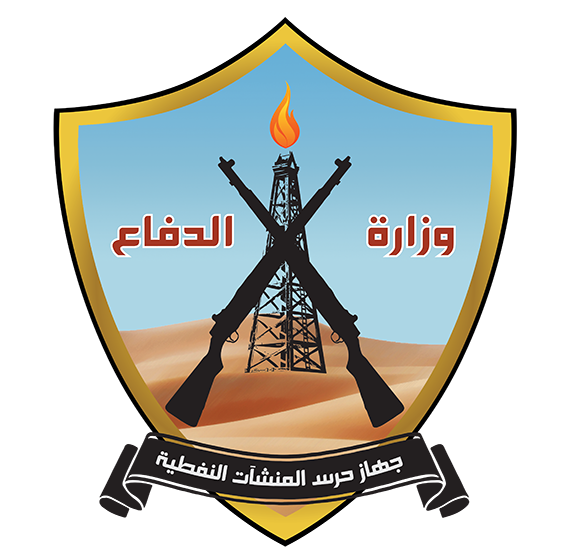 Yemeni army and popular committees destroying Saudi military vehicles and arms stores and capturing weapons at al-Khall village of al-Khuba. 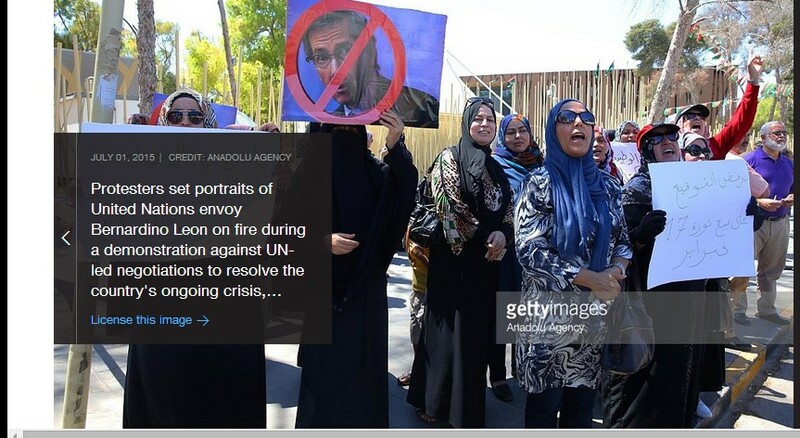 As Saudi warplanes continue bombing Yemen, protesters have once again gathered outside the UN office in Sana’a to call on the international body to end the Saudi invasion and the suffering of the Yemeni people. Lord Tkzban Marj Bahrain meet isthmus between them. al-Thaglan what Allah Lord Tkzban O jinn and mankind. That it can be Tnfzu of the heavens and the earth does not Fanfzu. Over the two months of the steadfastness of the city before they open paradise doors to the constellation of knights who returned the Memory of the World meanings of courage and heroism and foot .. from number two in the first ten prayed guys prophets and saints Baron Baksmanm and al-Movon Bahdhm Dawn depositors prayers ligament of the right and the mode of contract and the title of glory and exchanged greetings on the cusp life of the world where the angels are lined up to greet them. And where their home is decorated with medals on his chest. And where the nation show off in front of them all the nations .. It was all the world awaits .. and all the satellites watching .. and all the demons of mankind and the jinn waiting vehicle seventy procession and two hundred Faris led by a man the size of a nation to write their new Badra ..
there are only scene was informed of the description .. and greater voice of the evil crows right .. and wedding home as no eye has seen, no ear has heard and glory .. bend bow .. and the earth sprout .. pride and pride and dignity .. raining while the bullets of treachery penetrate the breasts Vthilha perfume Qudsayya astonish the universe. And provokes clerks history. Flags and inspire literature and thought. And baffle Almertgevin languishing behind delusion screens. 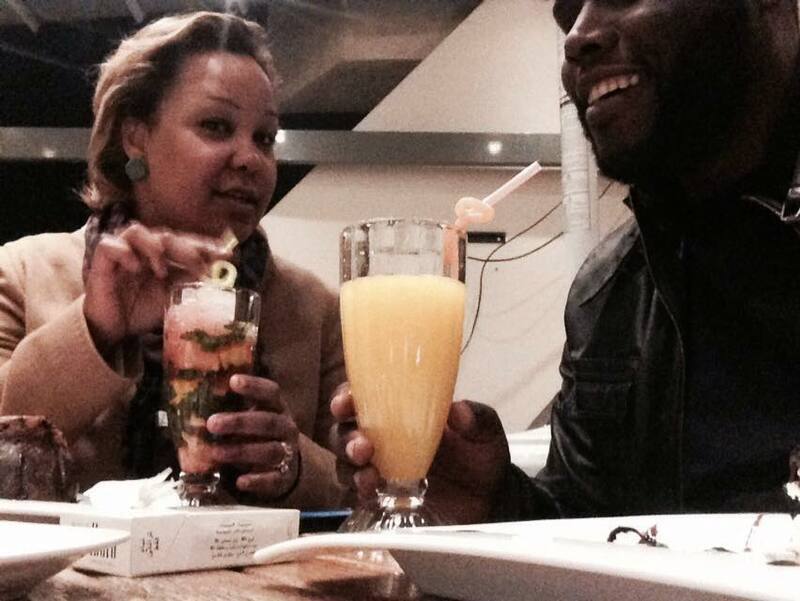 Salons and falsehood. The protestors rope devil ..
From there will go through generations holy anger to receive the flag and complement the march .. and there will be a beacon of researchers on the path of conquest described .. 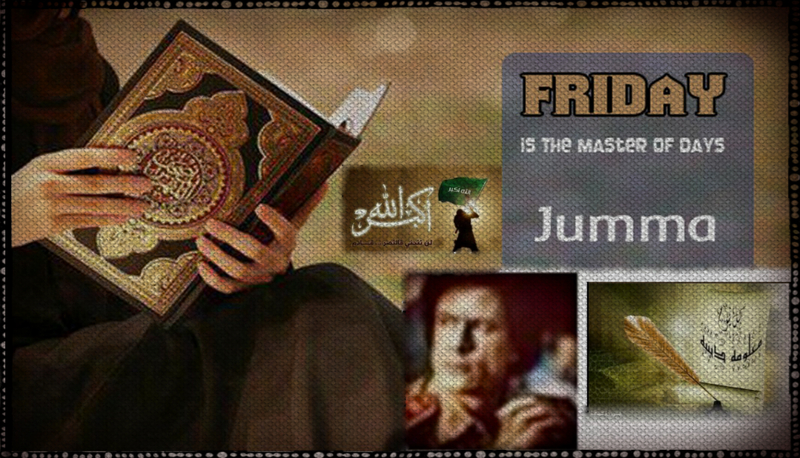 It is there will be zero end of the party of Satan and zero beginning of another era inflame emotions and dazzling sight and gives tidings of joy and victory for the patient unsure Althabuthain on Okhaddarham banner and a book and a way . 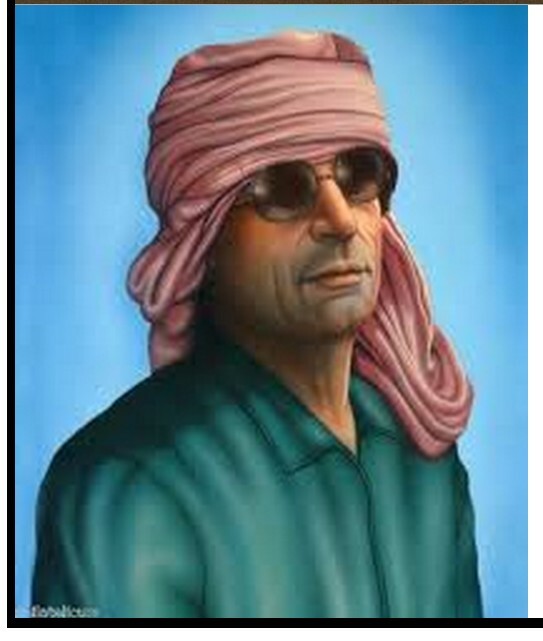 Even Tattloa Holy crawl twisting Ar-Rahman. Know that God Hua per capita Sunday Samad, who begets not. It was not one like unto Him. 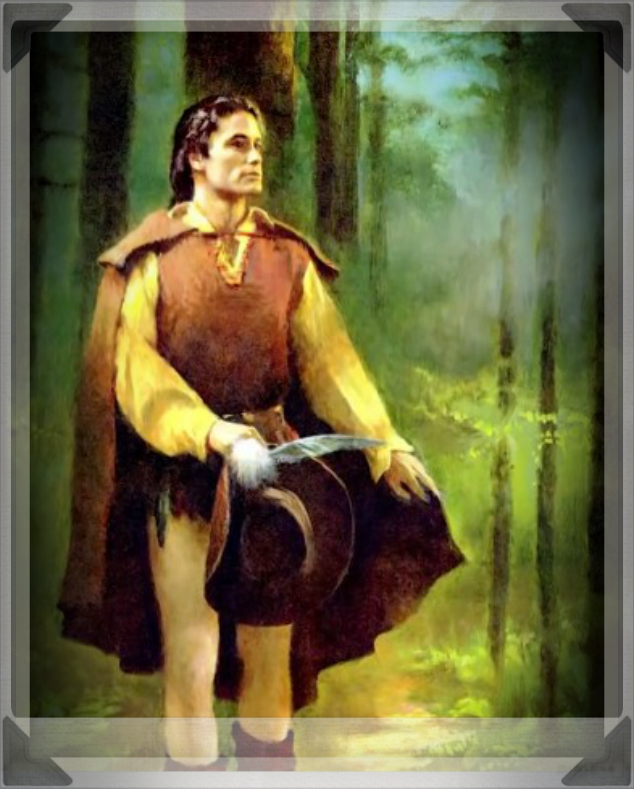 Who have been driven from their homes unjustly …. Now they Surat Rahman ! 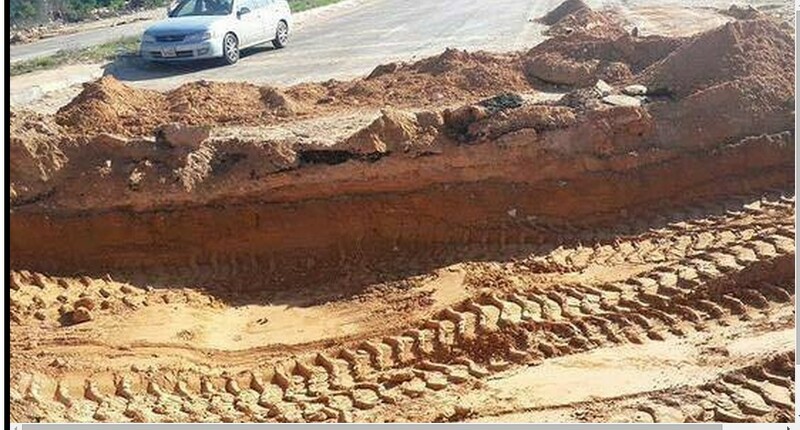 But Thank Allah my Lord of the Worlds has been unearthed. All honorable pure wider participation…. 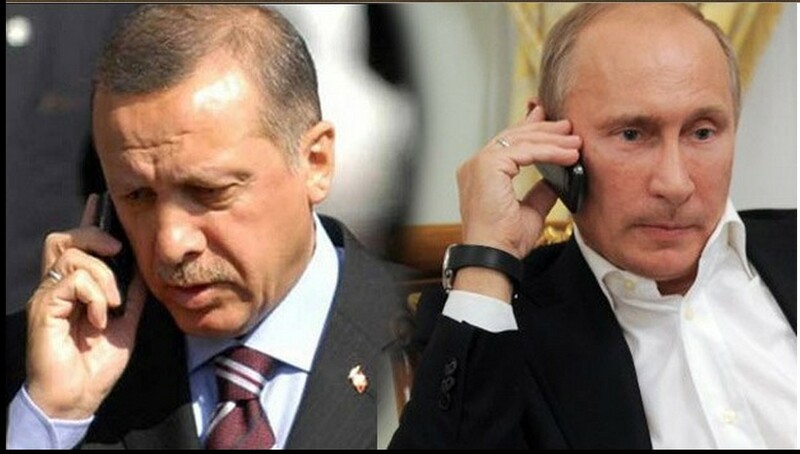 Please, and the last time we held the alert, was your country ! Open recorders and placed Ar-Rahman. Reserves and Mahmriaat Gulf are hoes they use in the demolition of Arab walls from Iraq to Libya ,,,, for those who did not understand the plot and planned ,,,,, battle with the US and the West are for the departments has to seize the Arab wealth from oil and gas and protect the existence of Israel made to the West of these interests will be his newspaper white whiter than white in all human rights organizations to which the security of their plots ?? 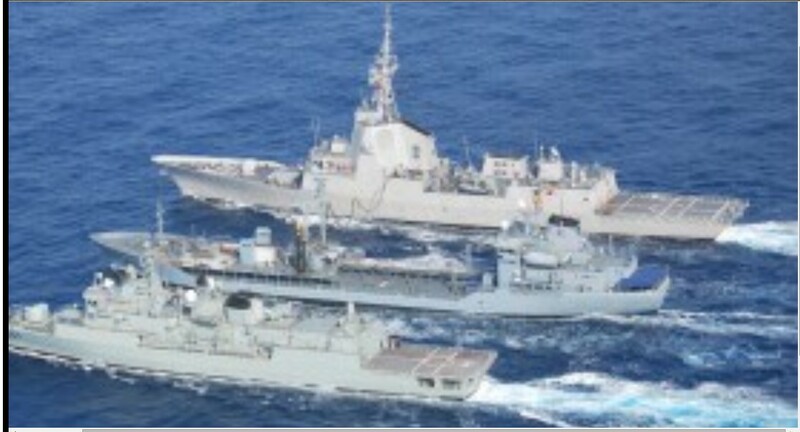 NATO begins tomorrow massive ‘exercises’ in the Mediterranean. 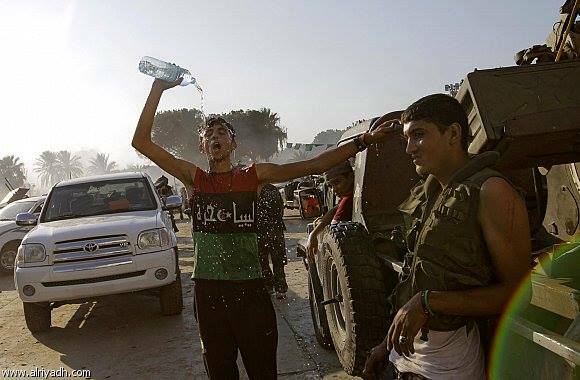 28 countries Bosatilha from behind the sea and 57 Militia Bokhtamha heavily in all types of weapons in Misurata. Standing idly in front of a terrorist organization reviews the Bortale and cut heads and Adbh others, and be crucified on the columns every morning since. 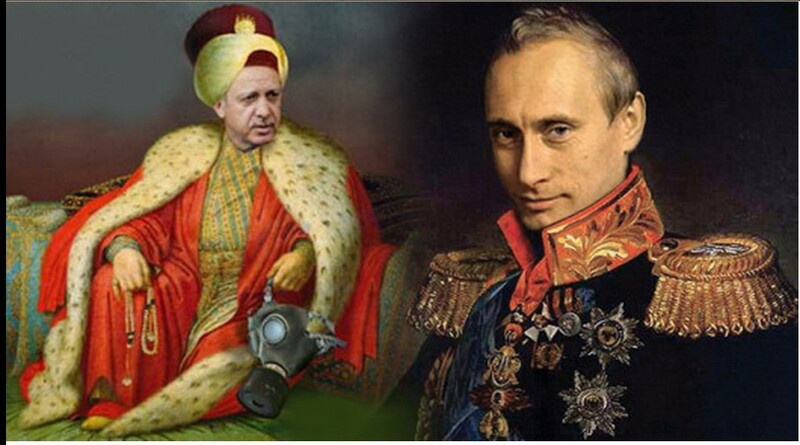 NATO turns out to fool the gullible laughed when protection of the law for civilians. Democracy and the rule of law that is clear and does not need explanation or evidence. and cooperation and not even object to penetrate the atmosphere and beaches and borders. 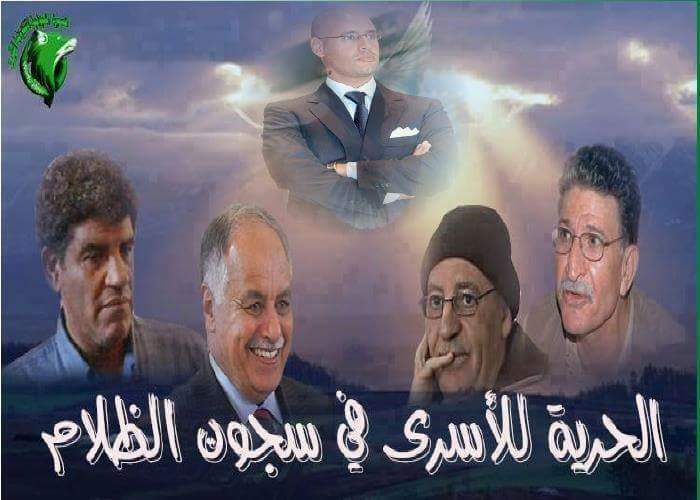 The most unusual, is that they continue to supporter the Council fragile; and who does not have command of anything in repeating heresies island, and Levy and NATO with Misurata militias of phrases (the tyrant and companions, Ketaab). 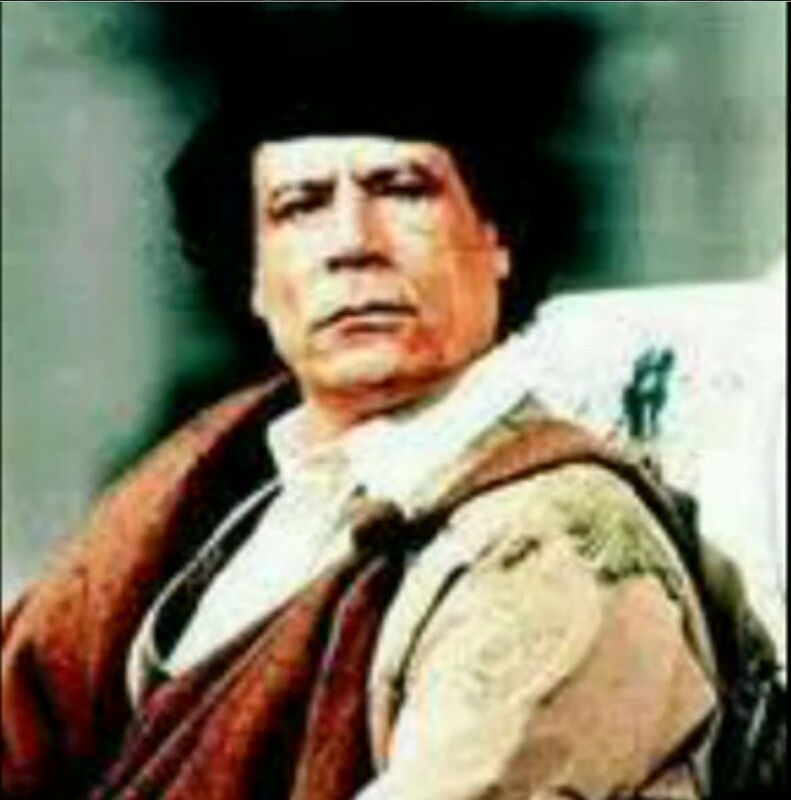 Muammar al-Qathafi, Sedkkm to say, tried to thwart the conspiracy, while NATO Khaddekm and destroyed your institutions and errupted a civil war Odechlkm. 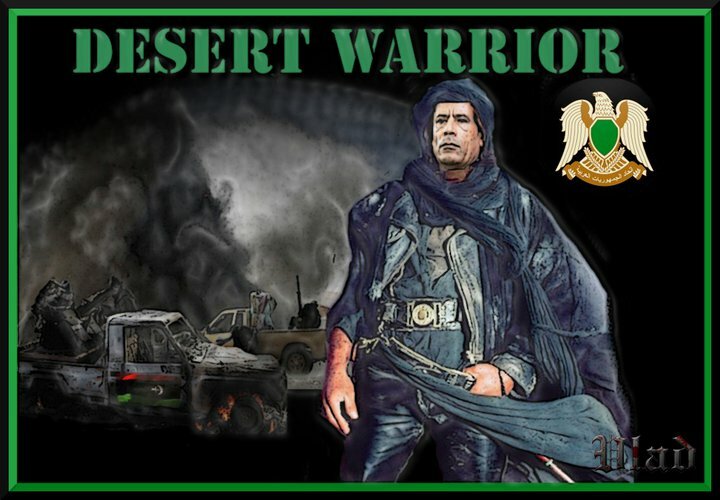 The Libyan Army must shoulder its responsibilities, and thwart the deadly conspiracy of heretics, Tools, mercenaries, criminals and colonists, while the so-called (rat) ‘militias and ‘rebels’ Khaddatkm turned out to be criminal gangs who burned police stations and replaced them with their military units, in order to control you. 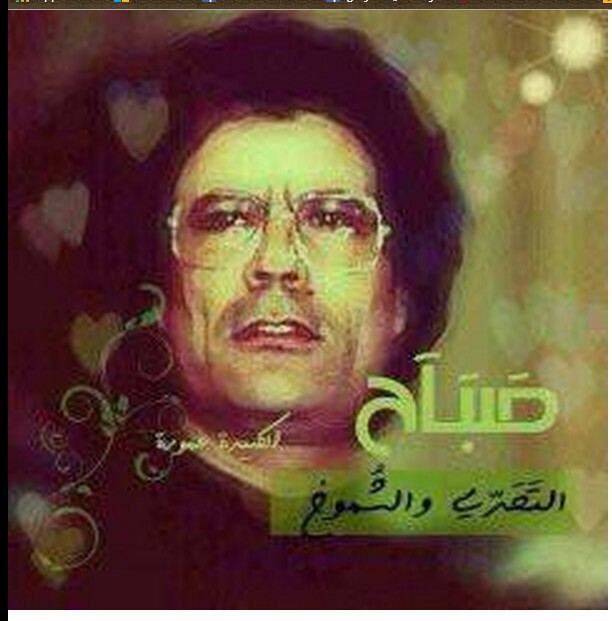 Sedkkm system tells you to affirm that the plot was a crusade to destroy Libya. 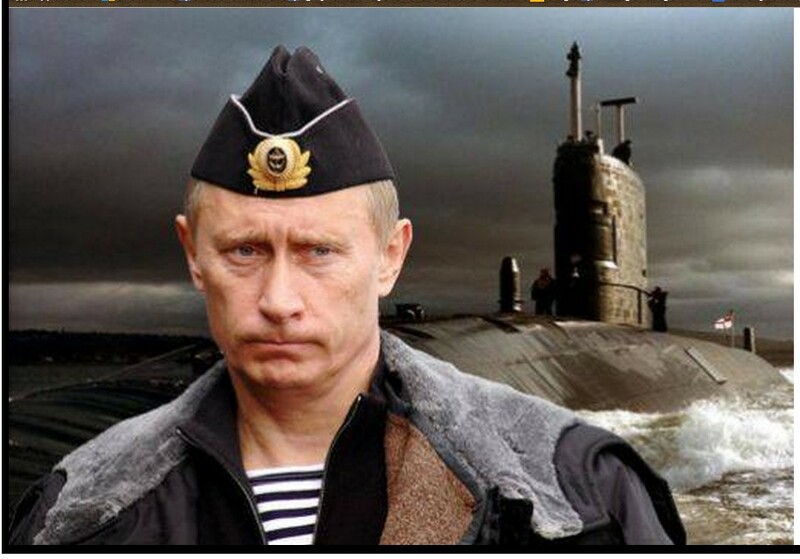 Today NATO is watching your children in the solid columns. 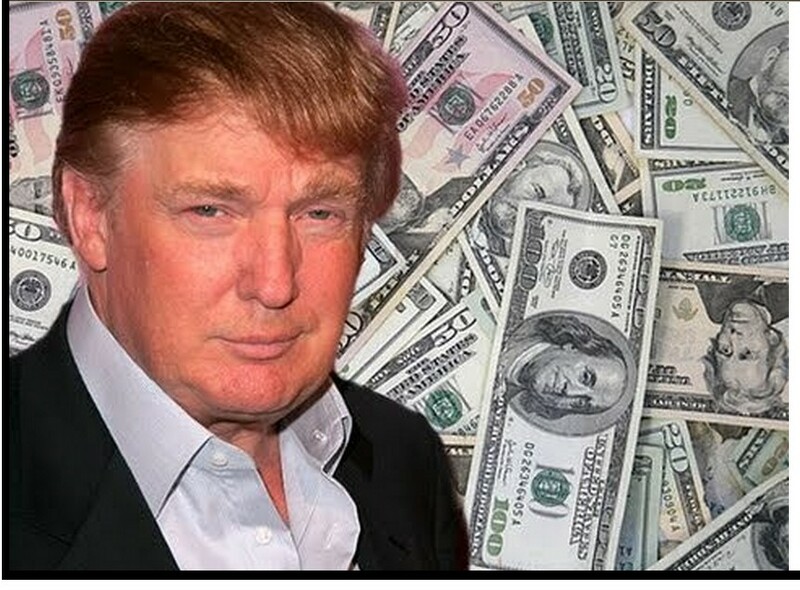 And militia support from the heads of your children cut with money and weapons and bulldozers. 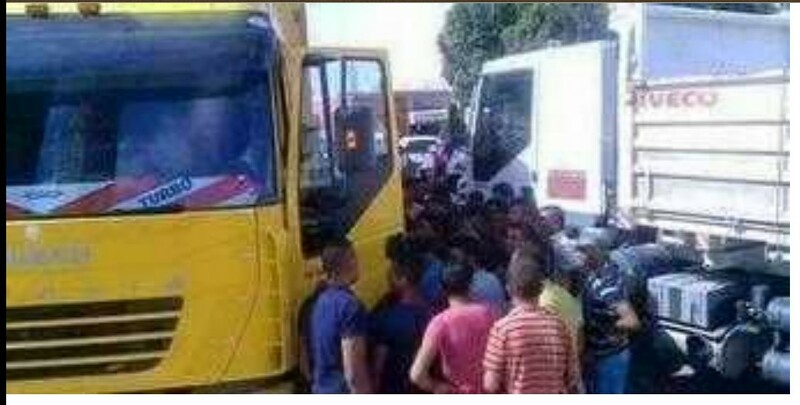 The opposition abroad have returned to their homes, luxury suites and luxury hotels in the capitals of the world to engage with bark and washing brains while you are suffering displacement and horror Algosv.ashoaia and stop salary, power cuts and the loss of a loaf of bread. Today is supposed to Tjldoa yourselves to Gbaikm shouting NATO. and the fighting on their side. 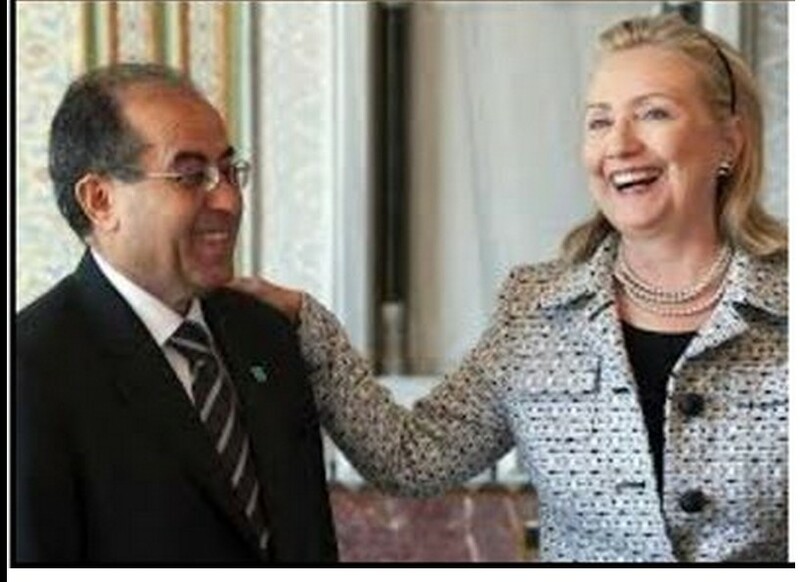 ANOTHER IDIOT RAT APPOINTED FOR LIBYA ! 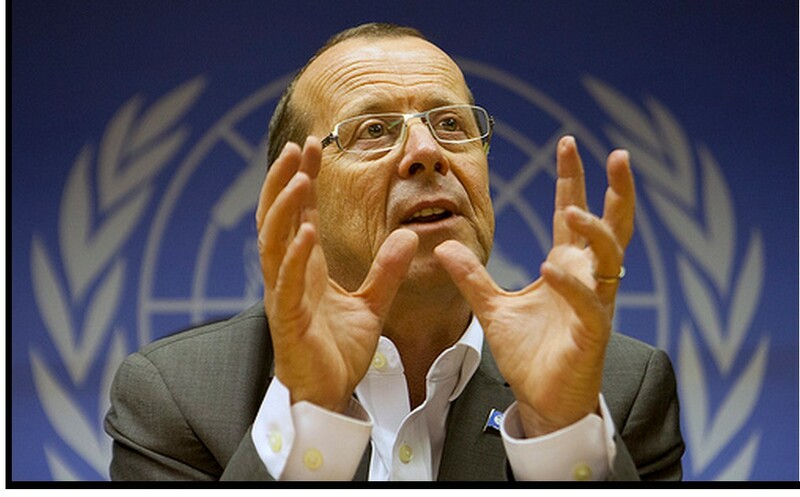 News of the appointment of the German Martin Kobler, as the new president of the United Nations Mission of Support in Libya. 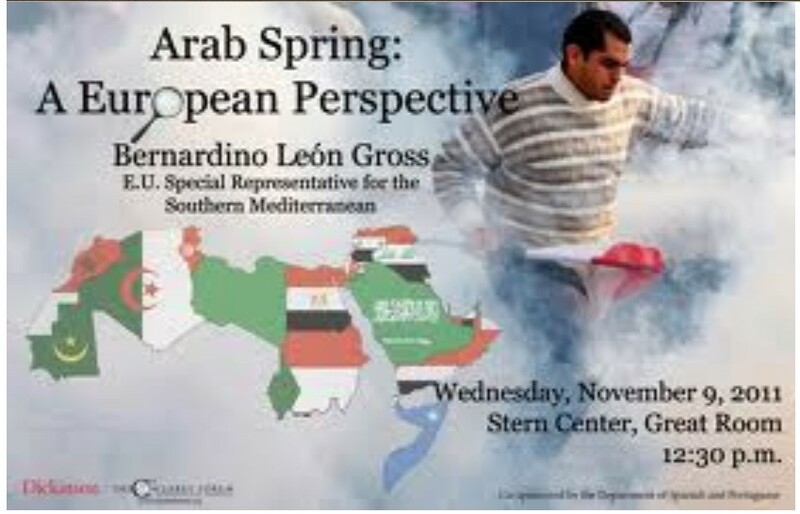 And Aseltm his duties next week from Bernardino Léon. 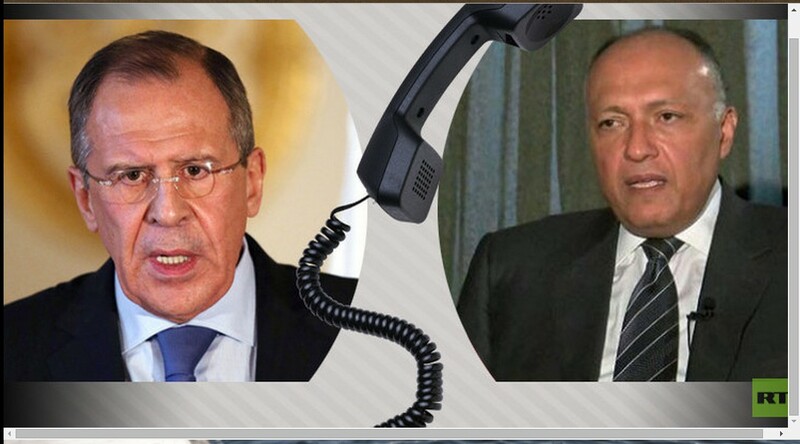 Kobler was head of the United Nations Stabilization Mission in the Democratic Republic of the Congo. 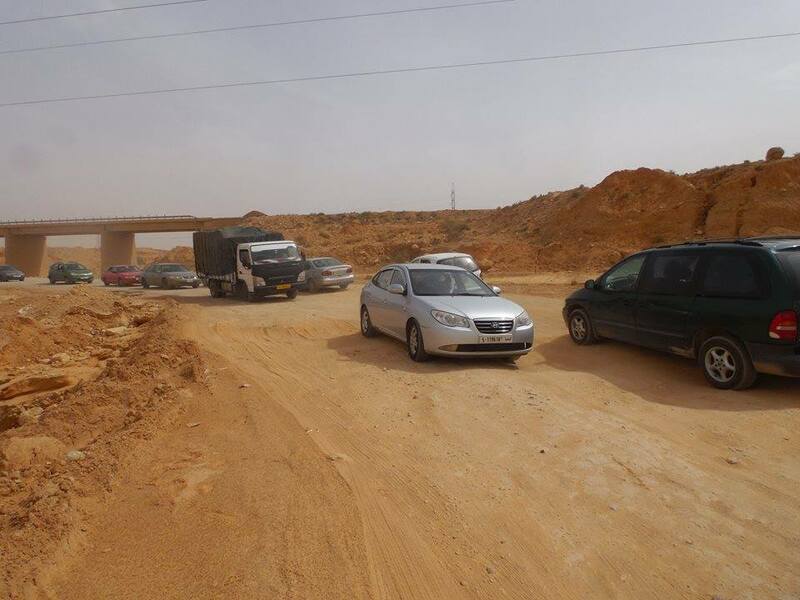 The closure of the road between ‘Ben Guerdane’ and ‘Ras Jedir’ and prevent the Libyan trucks laden with goods traffic to Libya. 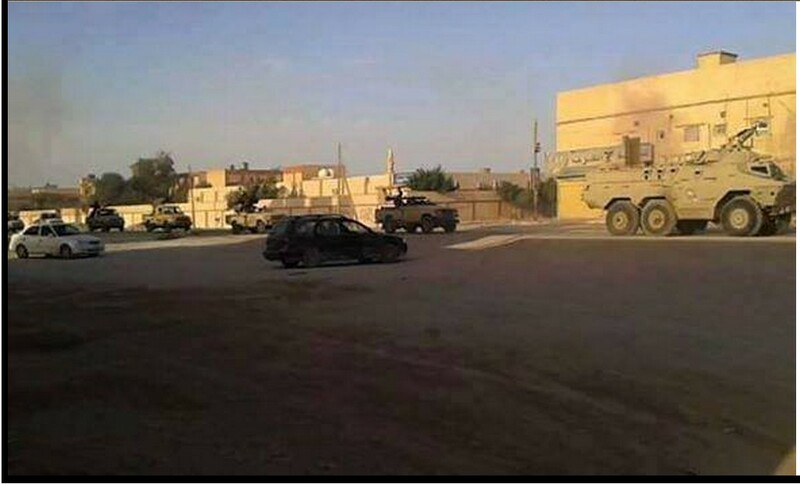 A convoy of armed vehicles, along with a small number of cars and 4 ambulances, hits ‘Gospel’ area, enters the area, and crosses in front of the ‘al-Trickat GAS STATION’. And their weapons in readiness and the convoy creeps-on without any lights put-on. 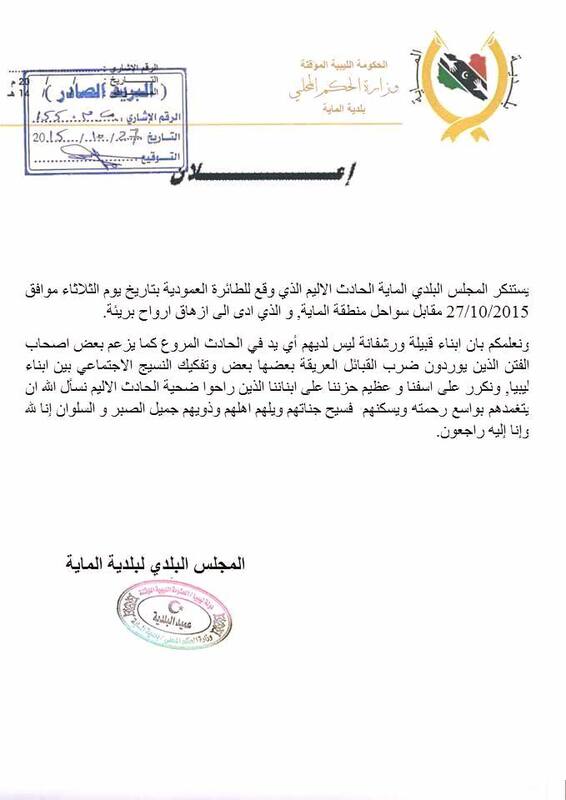 Statement of the ‘room operations’ on Tripoli clashes, in the new and long-region. 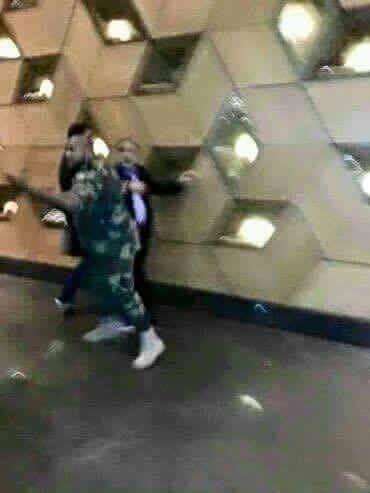 Beating rat Abdul Rahman Sowahailli by ‘Libyan fighter group’ in the Rixos Hotel !! 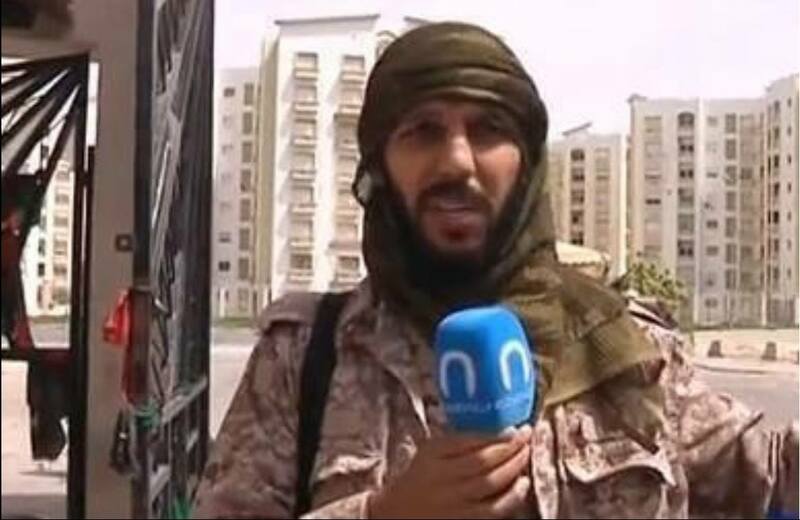 In a new name to government to Oگzoppe spokesman for the Libyan parallel in Tripoli declares that the two suspects in the case of the new Oگrba two captive hero Abdullah Sanusi Mohammed and Abu Agila, will still be executed ! 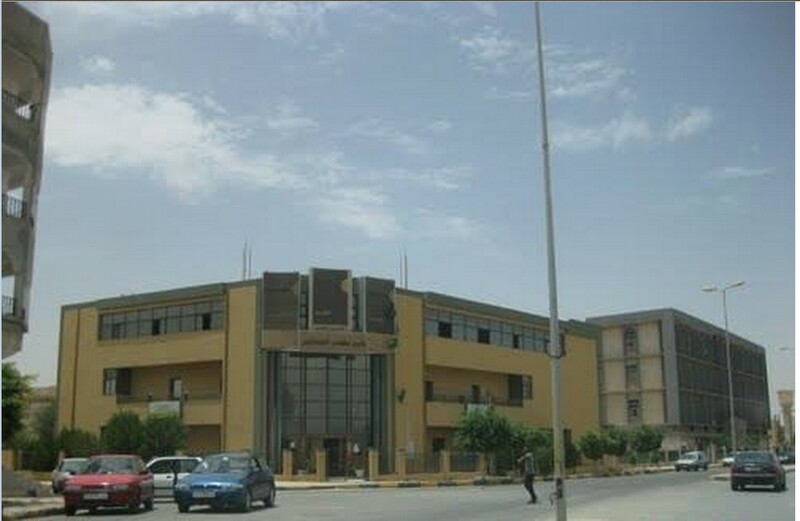 The kidnapping of five Tabou students who were studying in TRIPOLI. A fire in the Saraya Bank Street in Antibrachii. 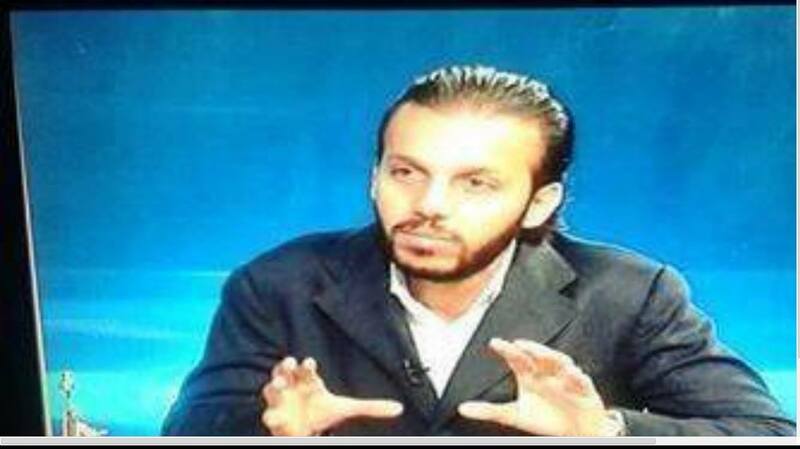 ‘Militias corner’ abducted ‘Abu Ali Haj Aboukhcam’ in front of his home (nearby the Tripoli tourism, in JANZOUR). 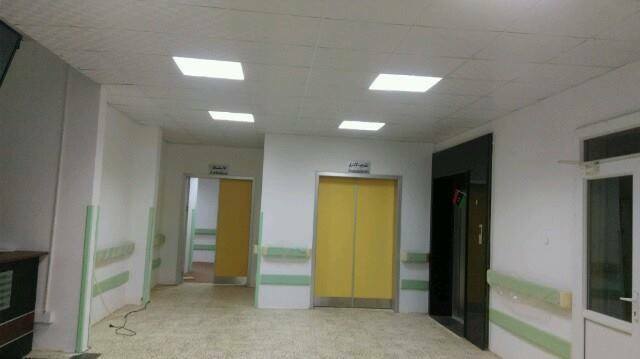 Sawani Bin Adam zone by brigade lightning victory was dealing with all the criminals to kill or capture the cleaning process and still ongoing. 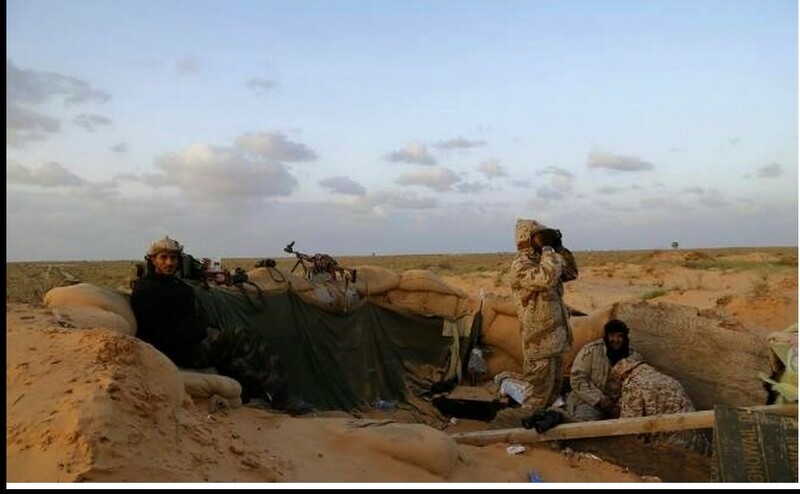 The martyrdom of two members of the battalion ‘Martyr Bashir Abuamad’, in the battle to liberate area of Sawani. 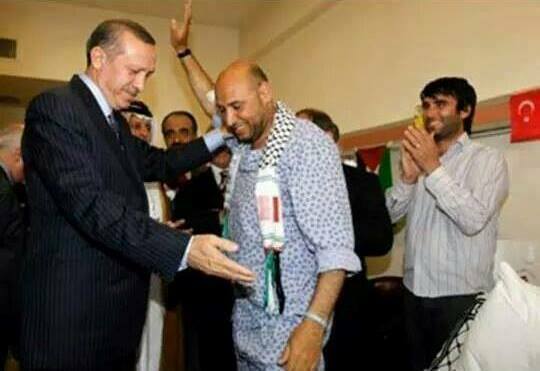 After an absence of a year and four months for his country and its people, after being nearly 4 months in a “coma”. 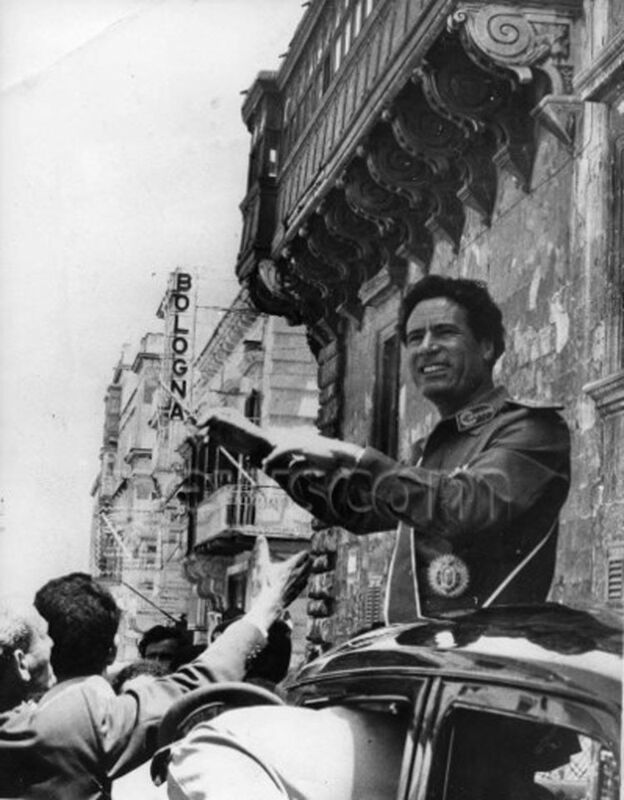 Determined, with the Victory sign which he displays, he vows that he will return to his country and his city and his family. Thank God his safety and for other wounded and ask Allah for his full recovery. 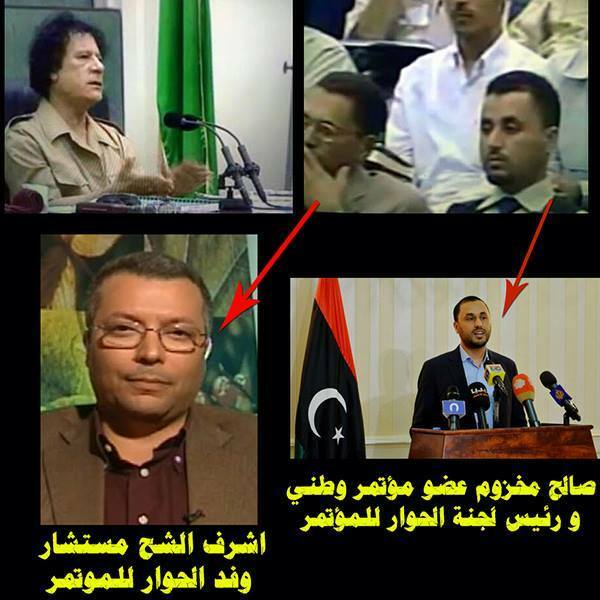 News false and baseless and we assure you that Colonel al-Ajami al-Teiri has no statement to announce today. Generalizable, and participation to cut the road to the theory, is marketed to the false news. 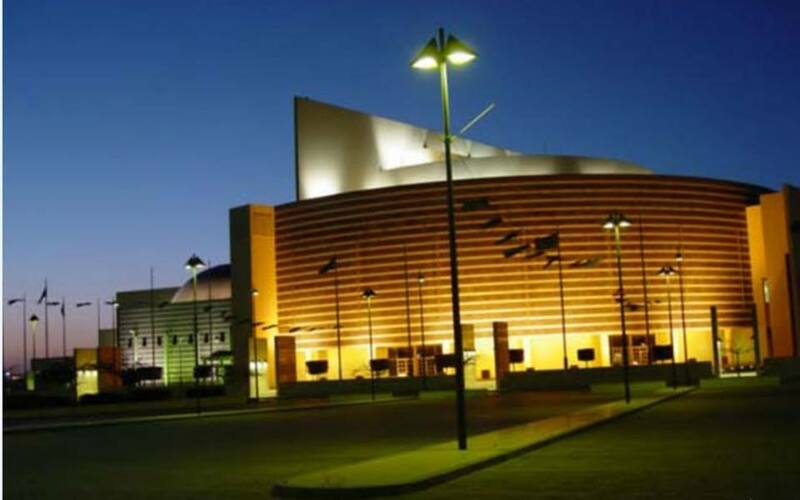 What is known as the contract Tjaozhu Fifty-contract from all regions of Libya …. 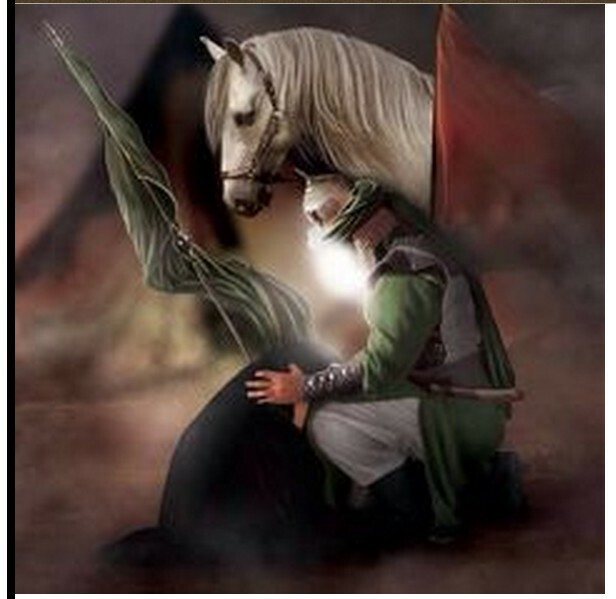 Horse and night and el-Pida ……..
and make our days joys and pleasure, away from us hatred and hatred .. 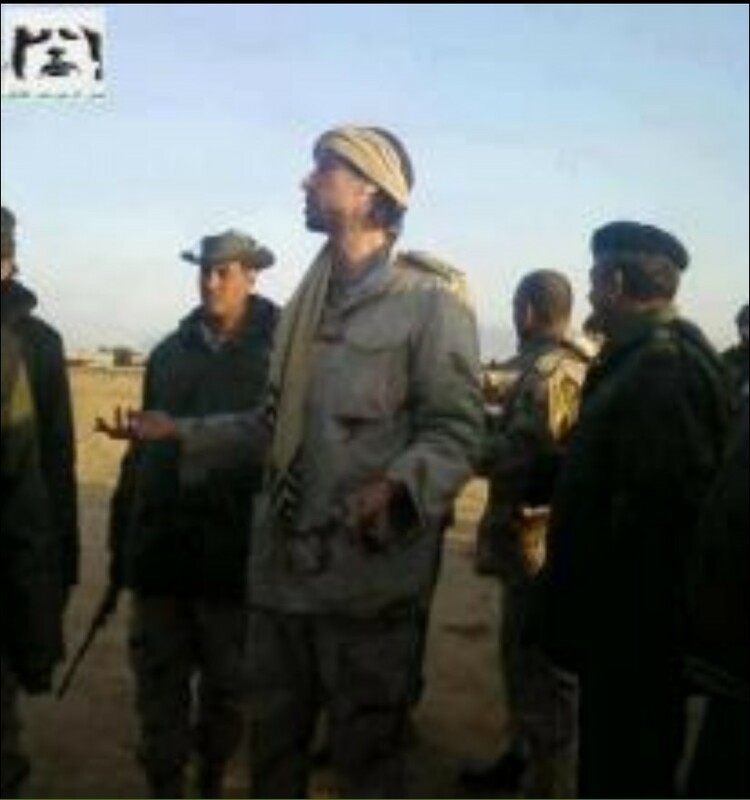 Caught Inventory ‘Hkura Hanih’, one of the militia leaders of the corner, at Ztun city. 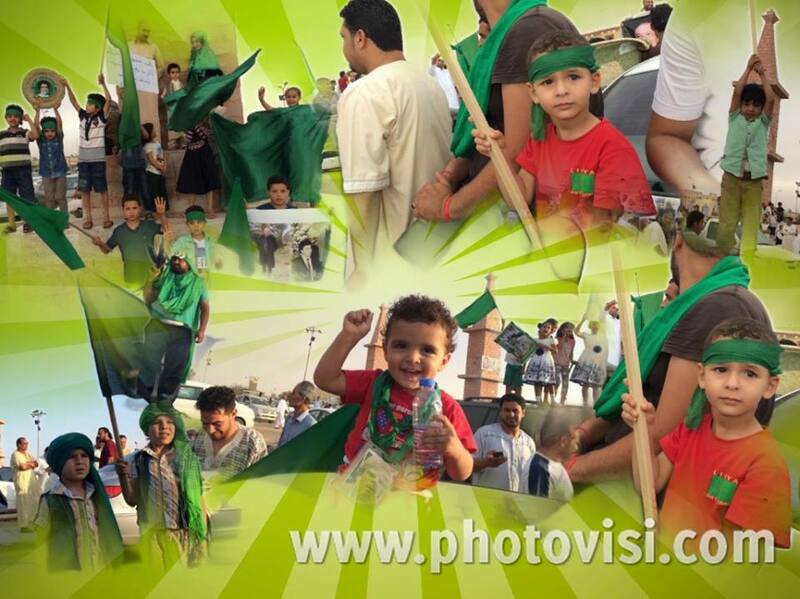 And Melcaat ‘Roma Libya’ rally on the axes of the city AJEELAT, North and the North-West. 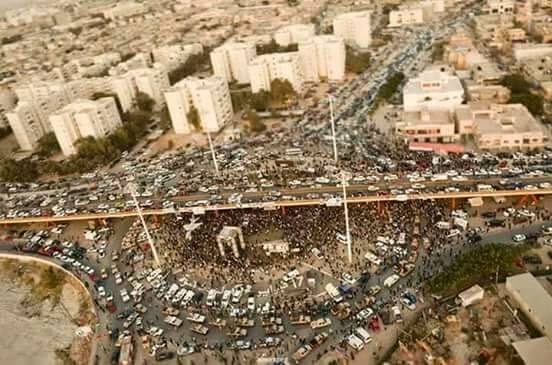 Military rally of the rat militia ‘Roma Libya’ at “Gateway Star and Crescent, Ptlal West Sberat-Huaglaq, the way for citizens”. 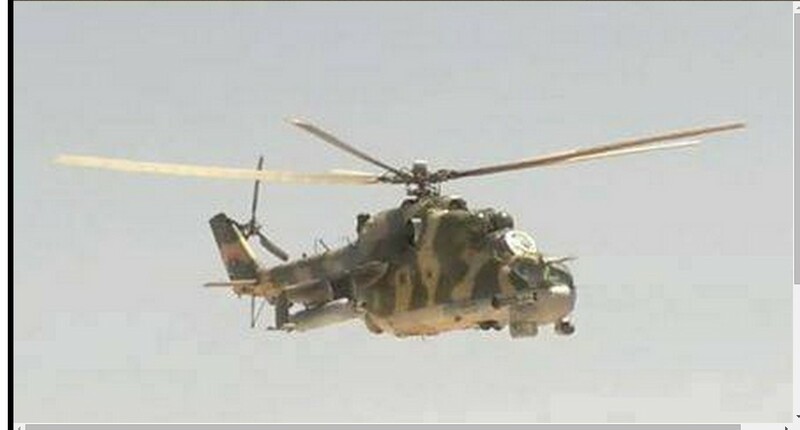 Libyan Army Airforce Military aircraft over the skies of Ajeelat. with heavy fighting within the axis, at the ‘head of Joseph’. 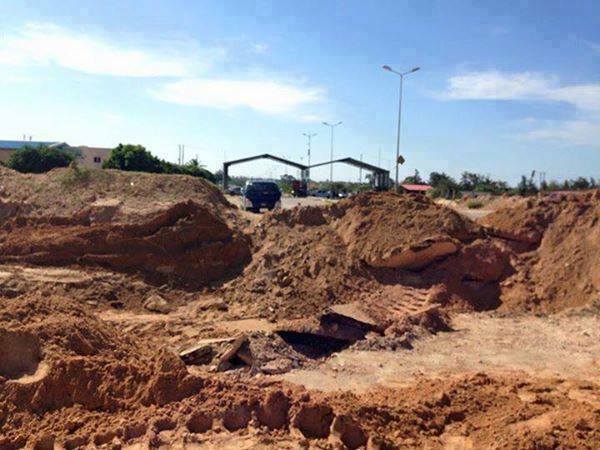 The deaths of dozens by rockets at ‘Ras Yousef’, and wounding two houses by the Melcaat ‘Roma Libya’ of Sabratha who are bombing and mortar locusting the center of the Ajeelat area. Random shells are falling heavily on people’s homes. 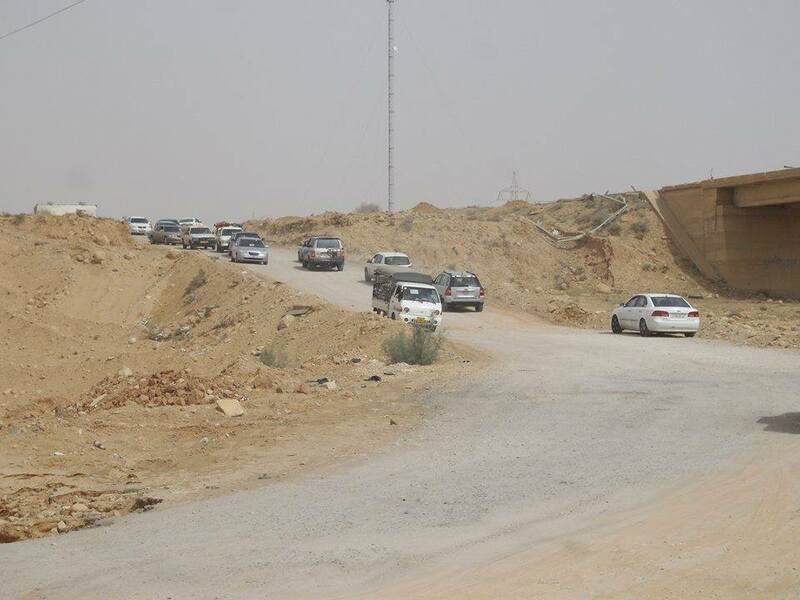 Exodus of families from neighborhoods that are falling by rockets b. al-AJEELAT. 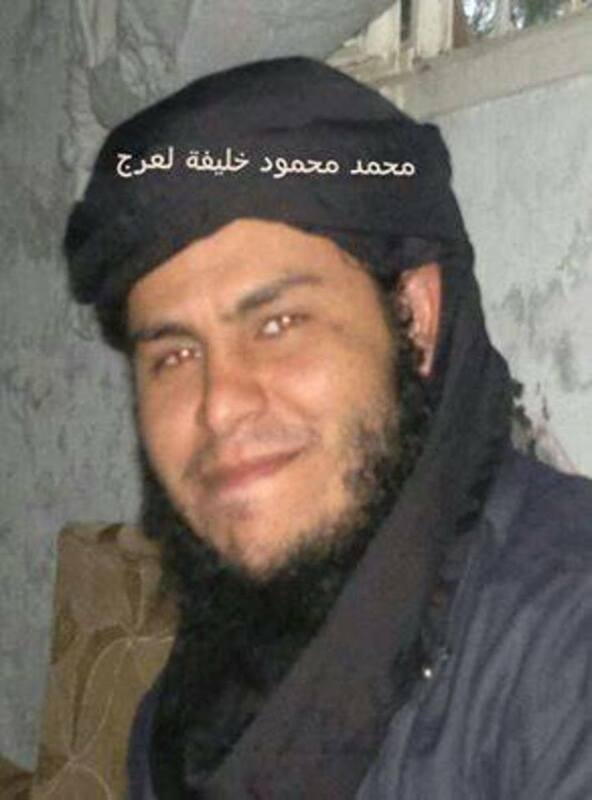 The death of the offender ‘Murad Shaaban al-Atrash’, a member of militias ‘Dawn Libya’ in logic Furnaces of B.Aljeelat. 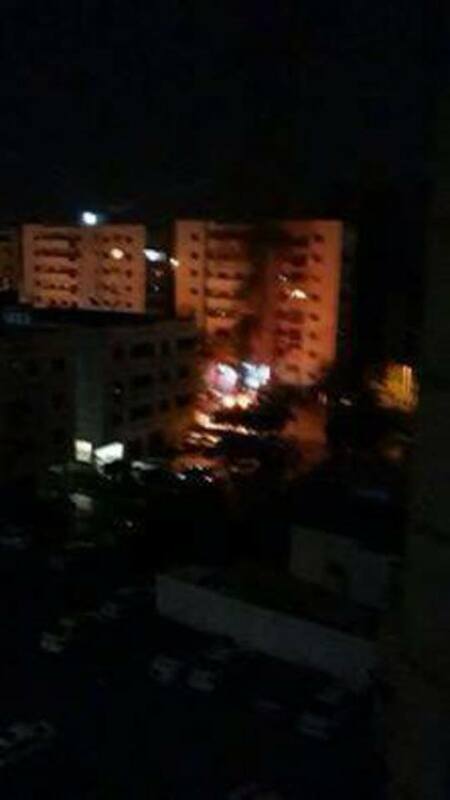 A rocket hit near the compound for Adarei-Hladarei in AJEELAT. 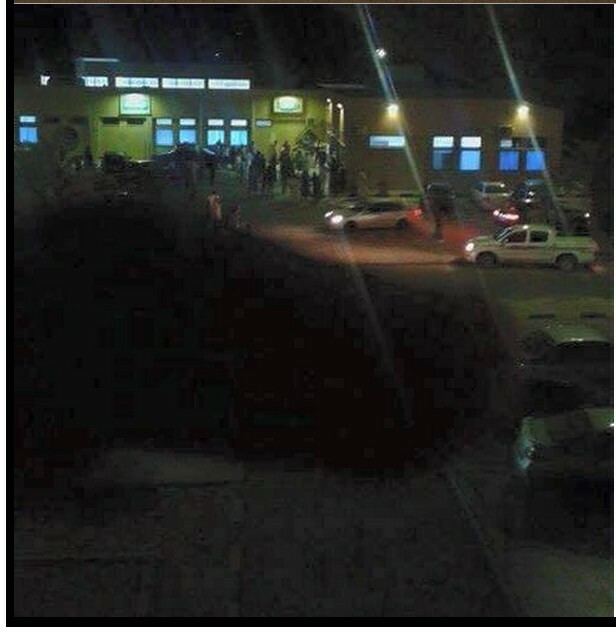 A Mercedes car was hit by and inside died ‘Vitwoo’ of Sudanese nationality. 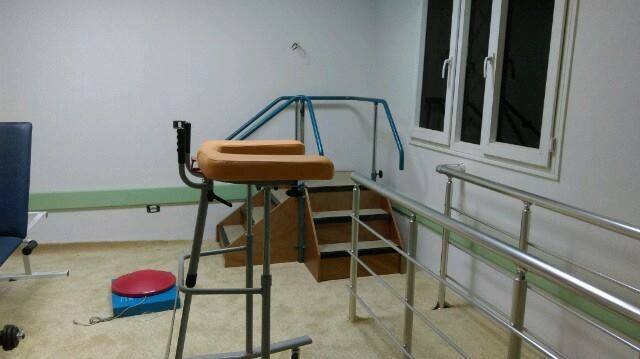 ‘Abokh’ was wounded by shrapnel. 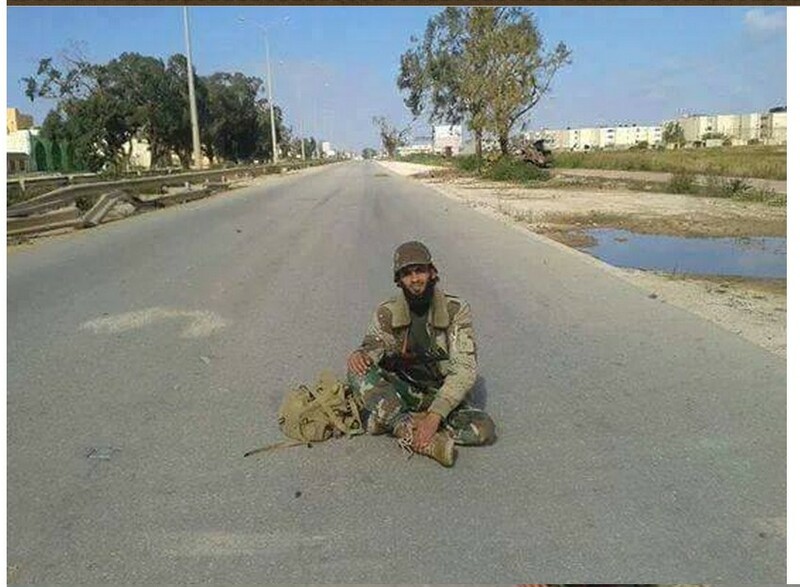 Tribal forces in control of the link between the Sabratha road and AJEELAT. 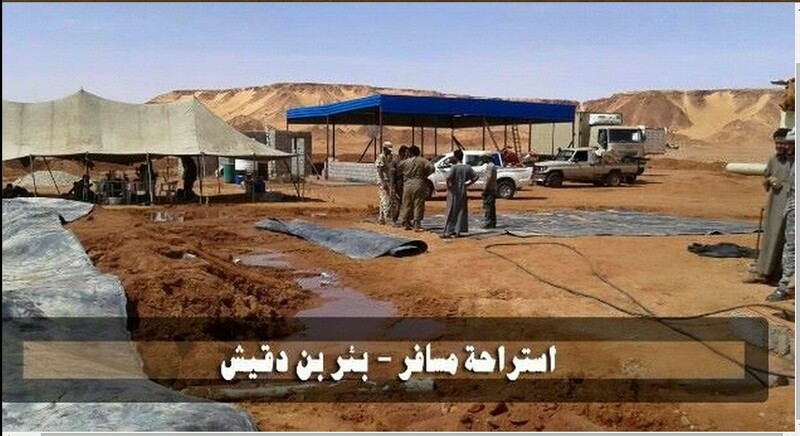 Melcaat ‘Roma Libya’ of Cimafro in AJEELAT after market units fell to the ‘Room Ajeelat Operations’ in the industrial district area. 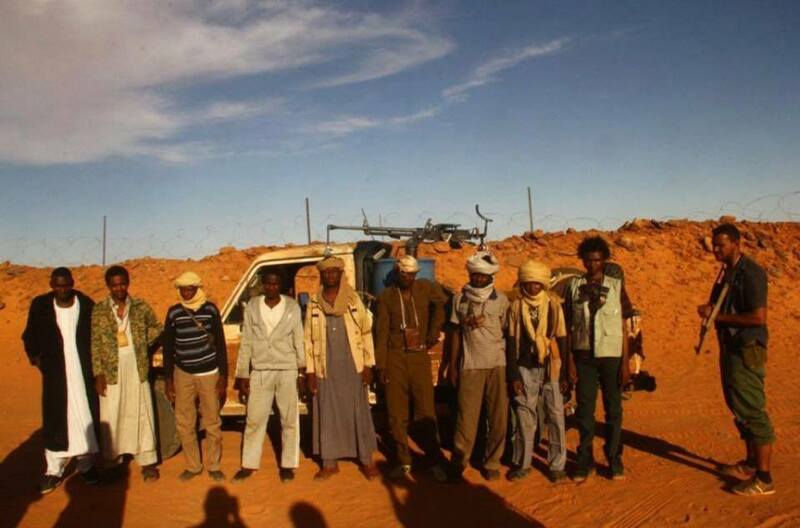 The death toll is SEVEN, from clashes with militias ‘Roma Libya’ and the sheep mechanism by Dochke. 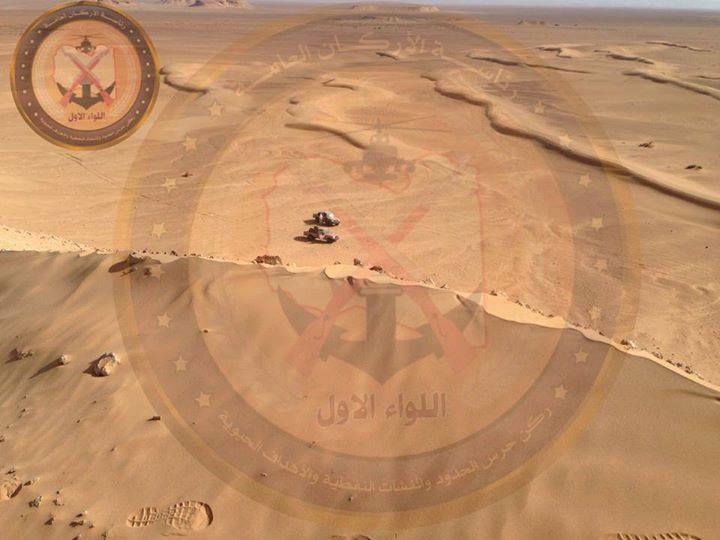 Tktihy withdrawal of the militia inventory ‘Salah Valley’ of Front of Ajeelat. and there is complete control of the ‘Saraya triangle’ in all axes, by our heroic Champions. 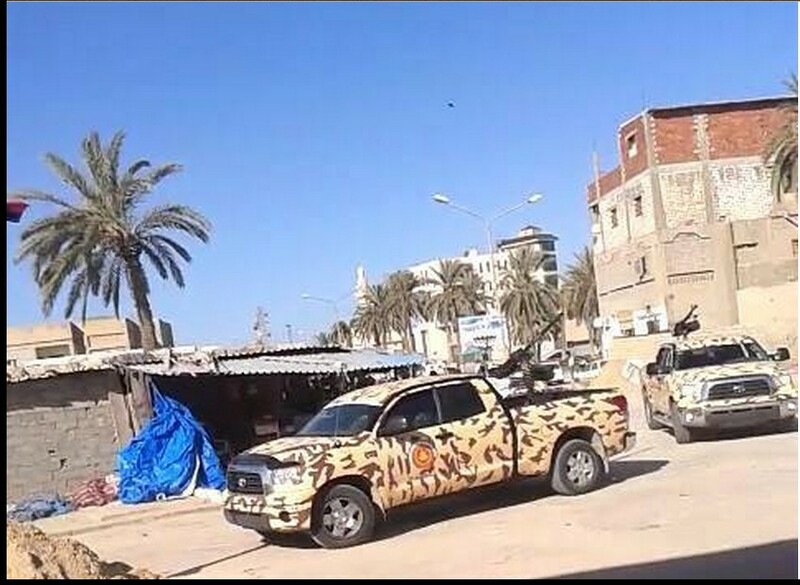 Calm on all areas of the city of AJEELAT, after the barbaric bombing last night on various areas of the city, by evil forces of ‘Dawn Libya’, who were stationed in Sabratha. 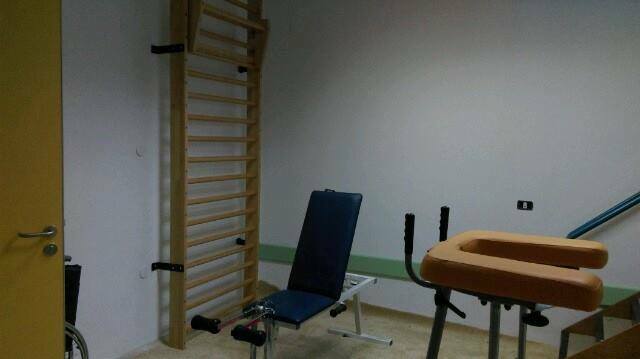 Return to ‘normal life’, as if nothing had happened afterwards. 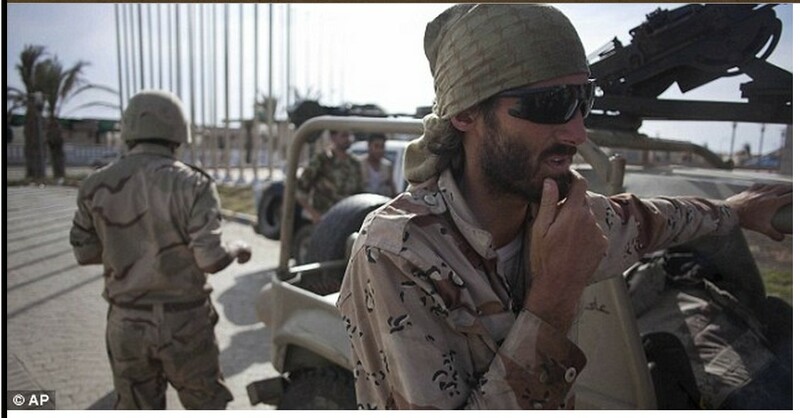 Ajeelat is to support the Amry and tribal-forces still stationed all over the area sites; and calm is the situation now, amid signs of the end of the battle, after the withdrawal of all of the “Dawn Libya’s armed mechanisms”. 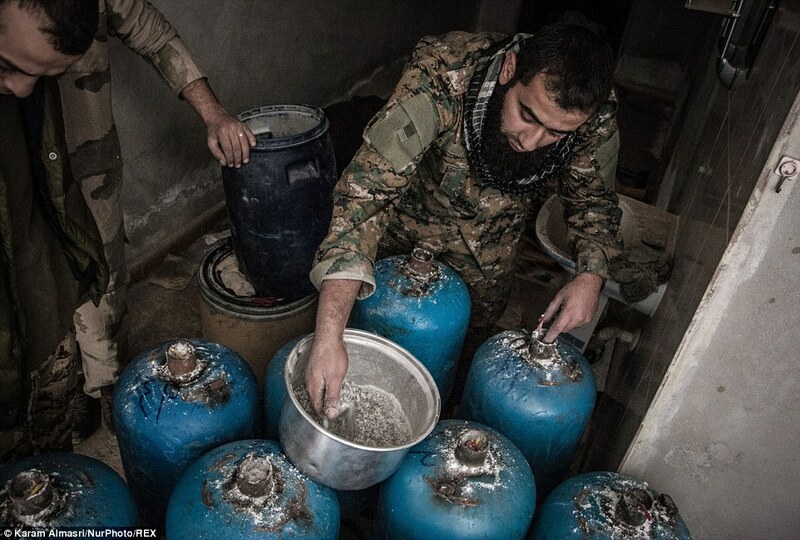 Tribal forces extended its control over the entire ‘Furnace’ area (which includes the ‘General Hospital’). 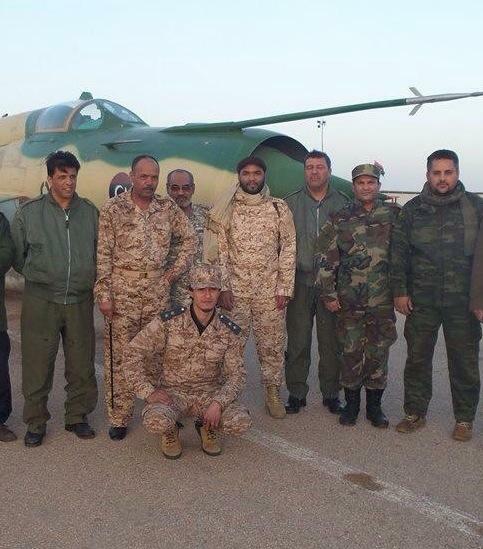 RAT Warplanes of the ‘Melcaat Roma Libya’ are bombing north of the city of AJEELAT. 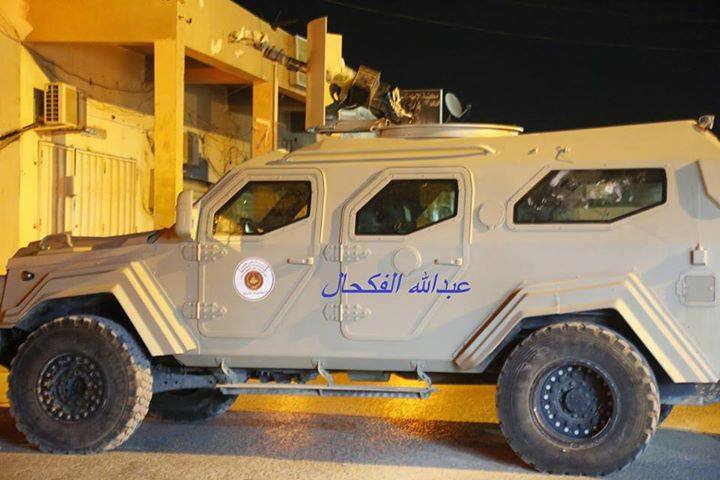 Ongoing equipment, and develop a plan, by the so-called “Kamal Blaao’, who is one of the leaders of the armed groups who are to invade the city of Sabratha, from AJEELAT of 4 axes, beginning at dawn tomorrow, and access. 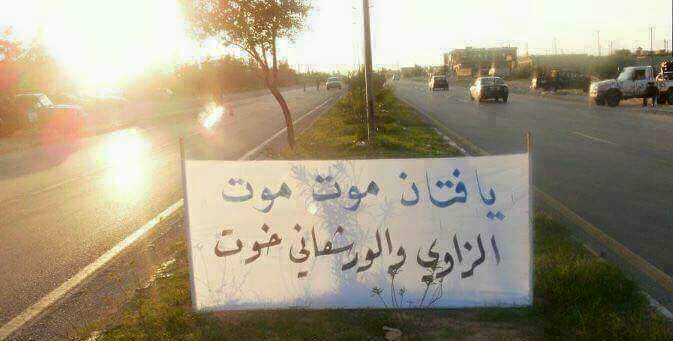 Military support for armed groups coming from the city’s steadfast community. 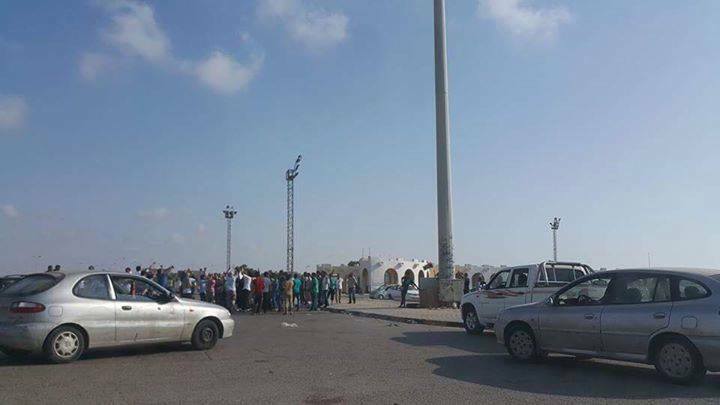 ‘People’s armed forces’ have been successful many hours since entering the Tallil area B. SABRATHA. 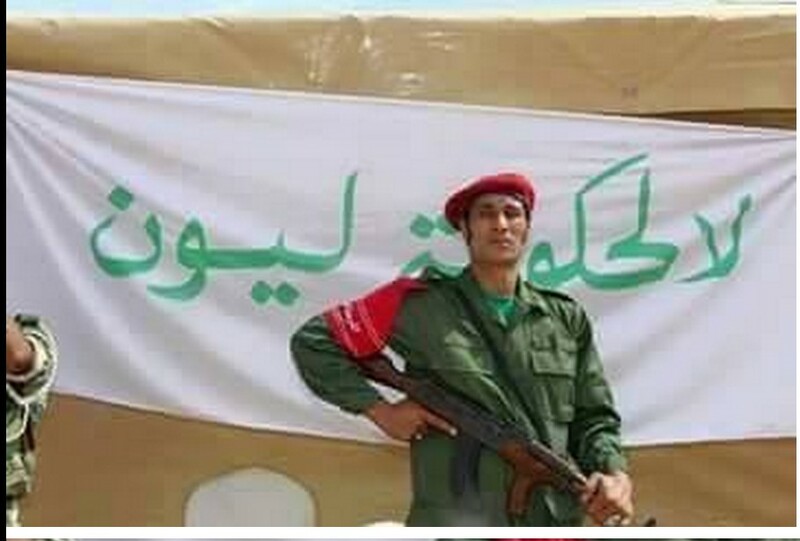 ‘Daash’ organization announces its presence in the fronts in Sabratha with militias ‘Roma Libya’. 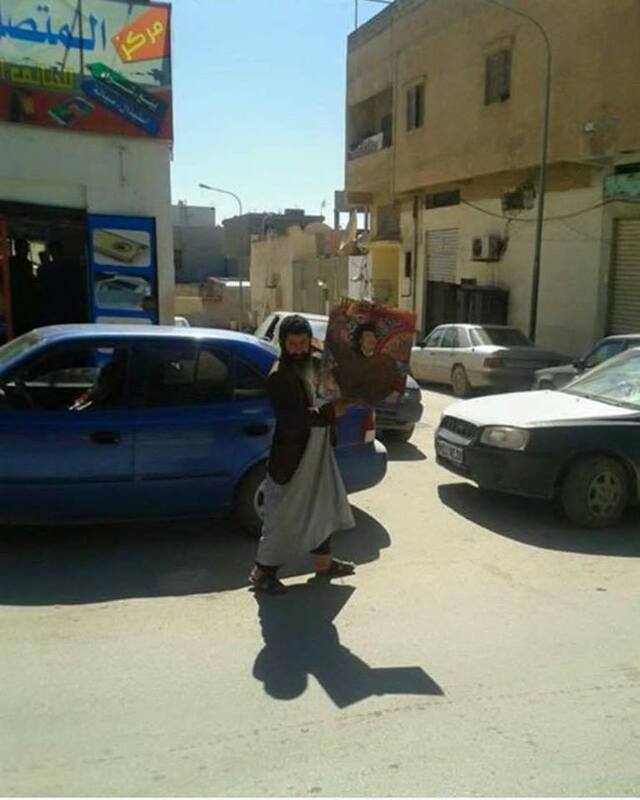 A family ‘DAASH’ in SABRATHA, was captured yesterday by the ‘Libyan Army’ armed forces and support for the Army. Oh Ohfezna Ohrsena and eyes that never sleeps. It is expected that tomorrow will be the heaviest ten times ! 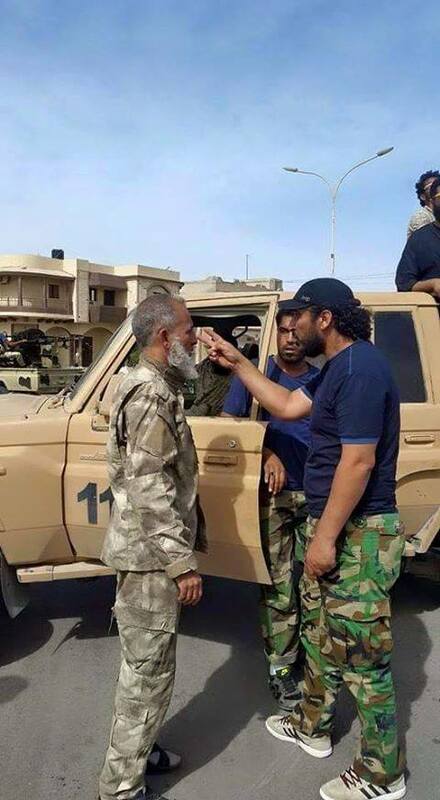 General Omar Tntosh commander of the brigade and Rishvana gives permission for the Liberation of Sabratha, again!. 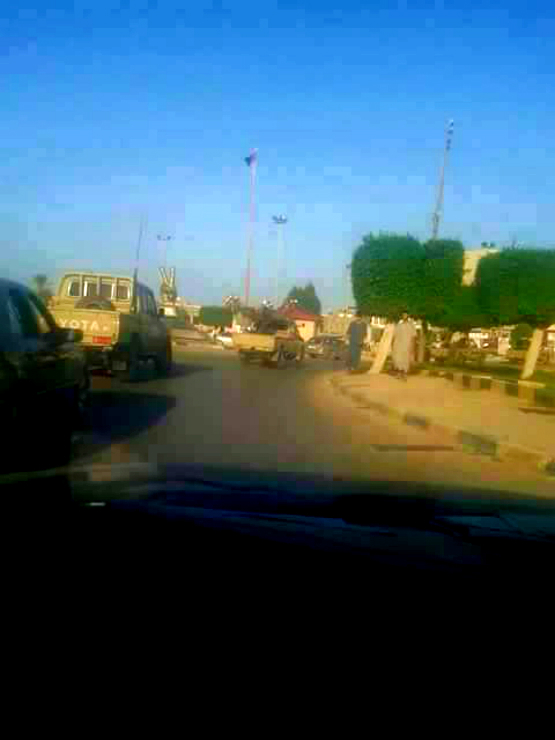 Tribal forces enter the area Tallil B. SABRATHA. 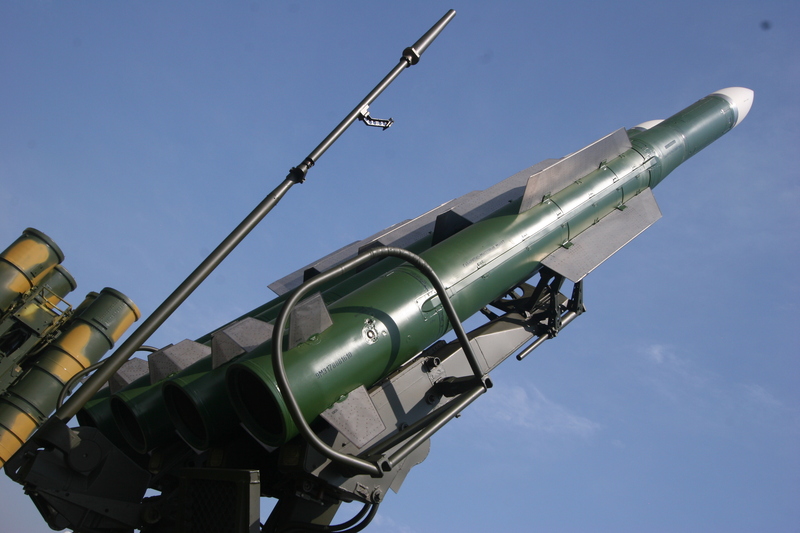 Photos of the missile launcher and signed the Tallil area valuable. 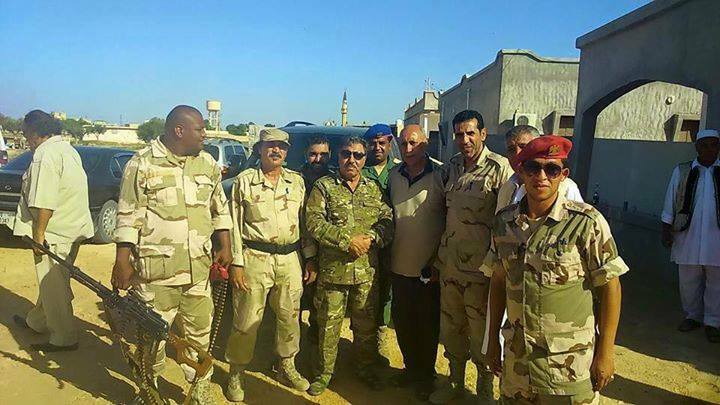 Major General Omar Tntosh at the crossroads of the activities of the Libyan People’s Region in his long need of your support and mandate of the armed forces under the cover of social-response. 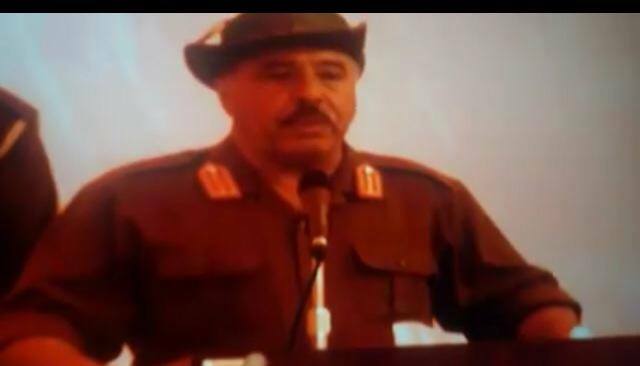 General Omar Tntosh today in actualities Sabratha similar clothing, martyr Abu Bakr Jaber Younes (suit the job of the brigade 32 booster and which prevented rats) days of NATO war and mixed speech speech leader Muammar al-Qathafi, in a statement on the ‘al-Fateh Revolution’, and vows to open and edit Tripoli Gariba (occupied)..
‘Brigade 32 enhanced’ a ajouté 2 nouvelles photos. 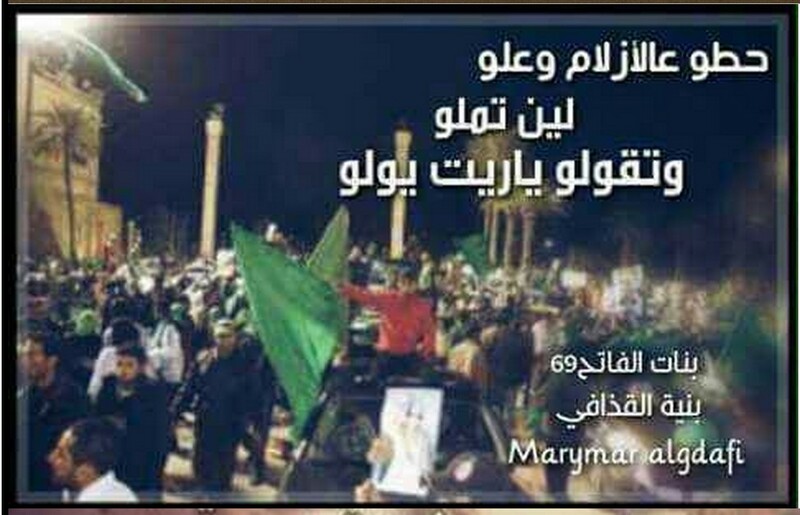 Greeted each are free Sabratha al-Qaymen. 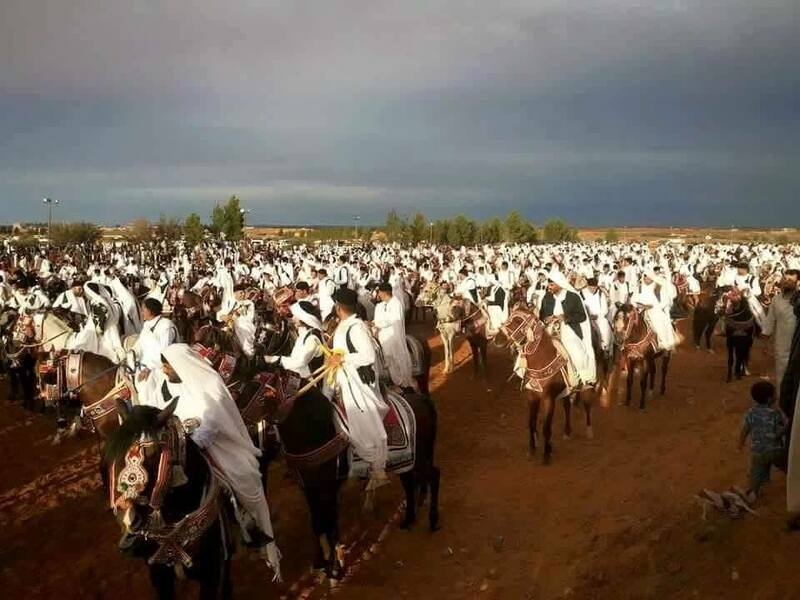 p Hedda Gathering of Sheikh tribes al-al-Gah, el-Hadj. 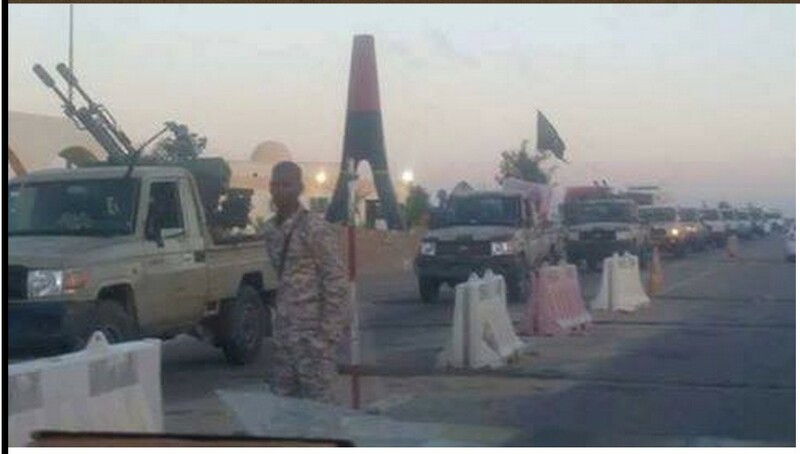 Rat ‘Track militia force’ enters Sabratha, in support of rat ‘militias Fajar Libya’ still existing in the market area. 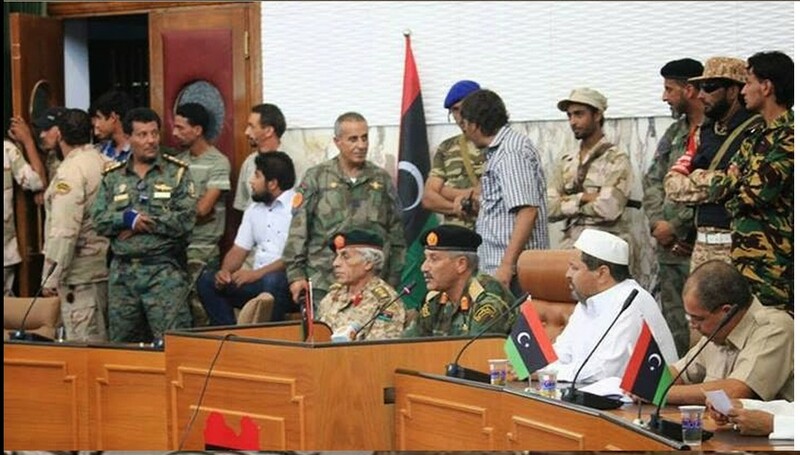 The withdrawal of militias affiliated with the city of Sabratha (who were pinned down in fighting axes sites). 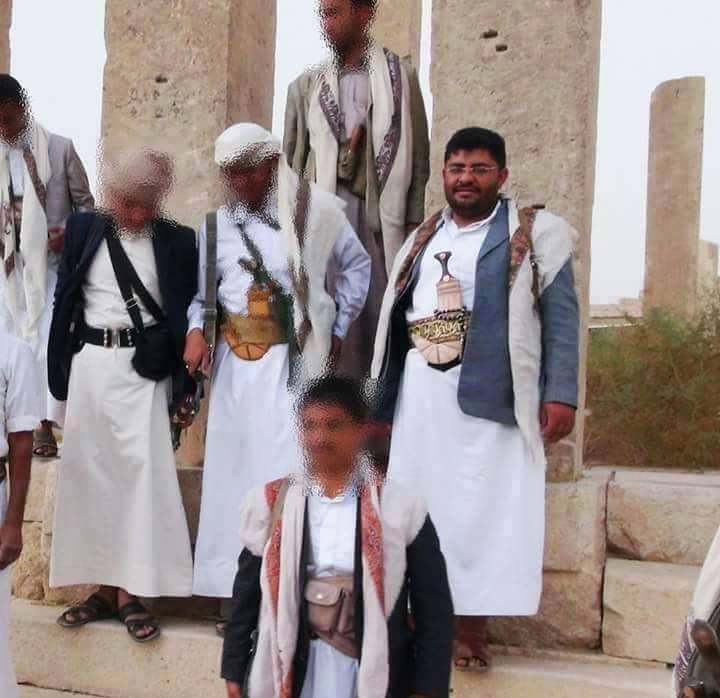 They will support the power of the ‘sons of AJEELAT’ who are stationed and control all of the sites of the axis. 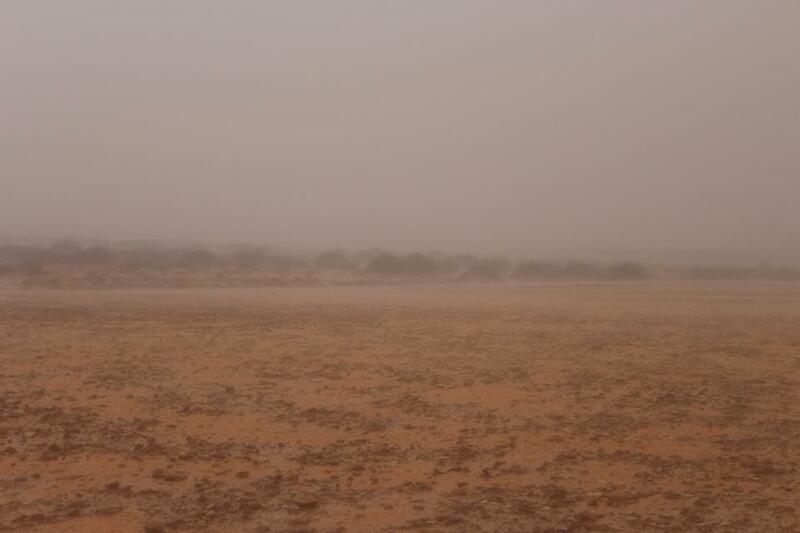 Jaradat Sabratha and Ajeelat al-Mertashan Vthoo themselves to the gates of hell … and started it darker. 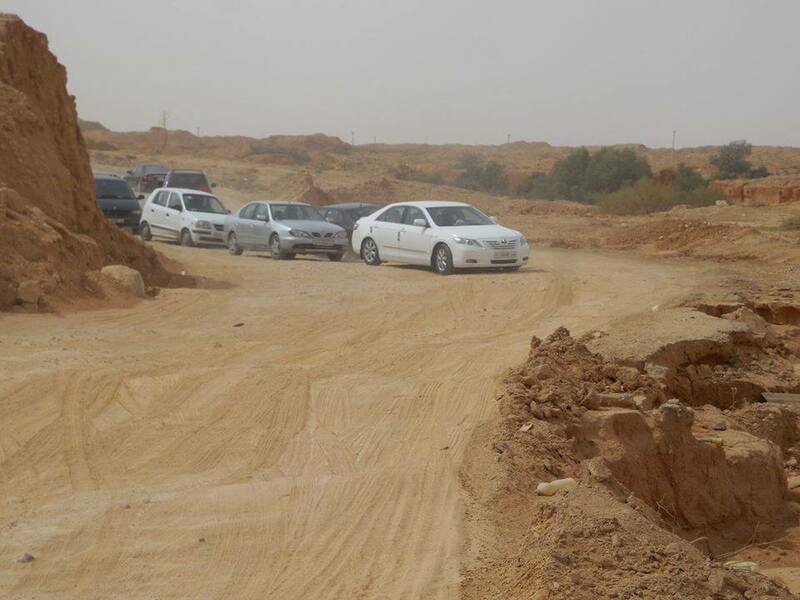 The road to Sabratha is closed, and the return of cars. 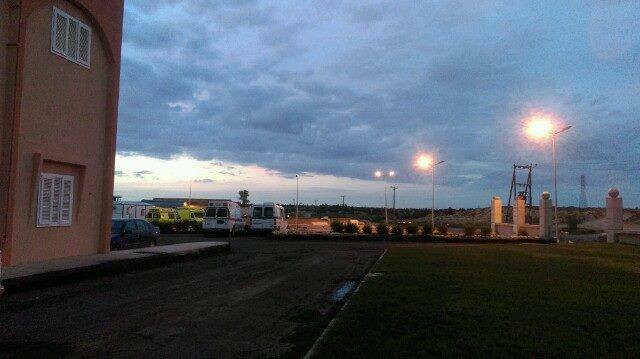 Ambulance for the militias ‘Roma Libya’, is heading to the scene of clashes south of the city. 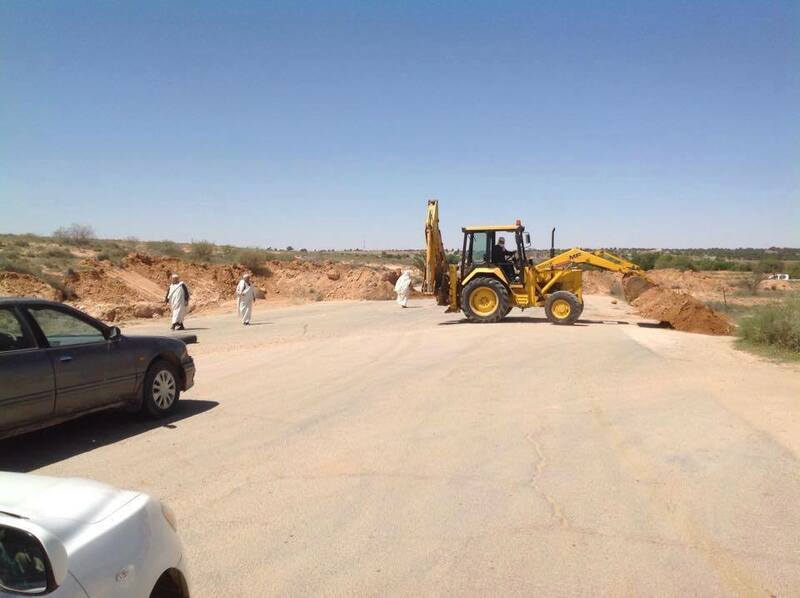 Road between Zuwarah and head of ‘Ras Igdir’, is closed. 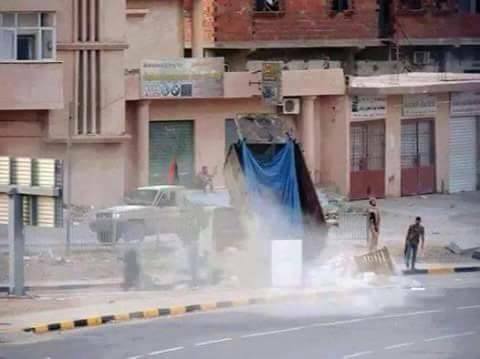 ‘Roma Libya’ militias, are inspecting the gates of the city of Tarhouna, at ‘Asabieh’ and the ‘Saturday Market’ area. 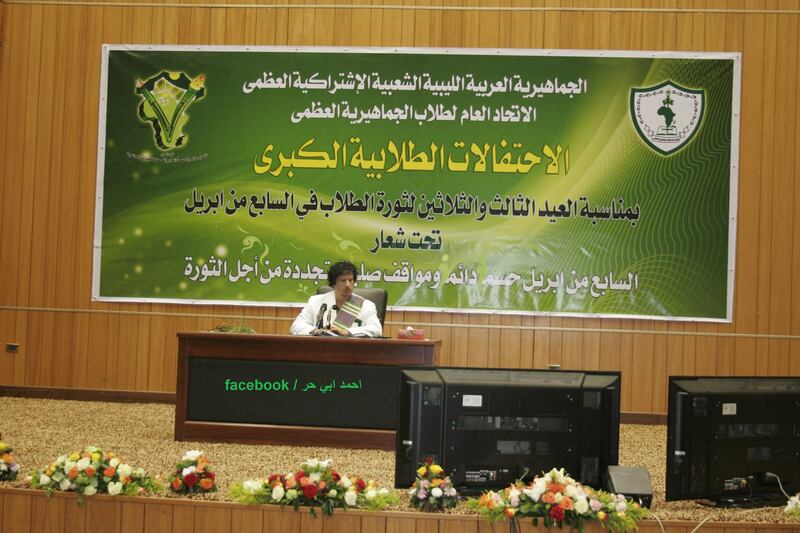 Tarhounah delegation participating in the ‘Conference of the LIBYAN Armed forces’, was attacked by militias of Sabratha. 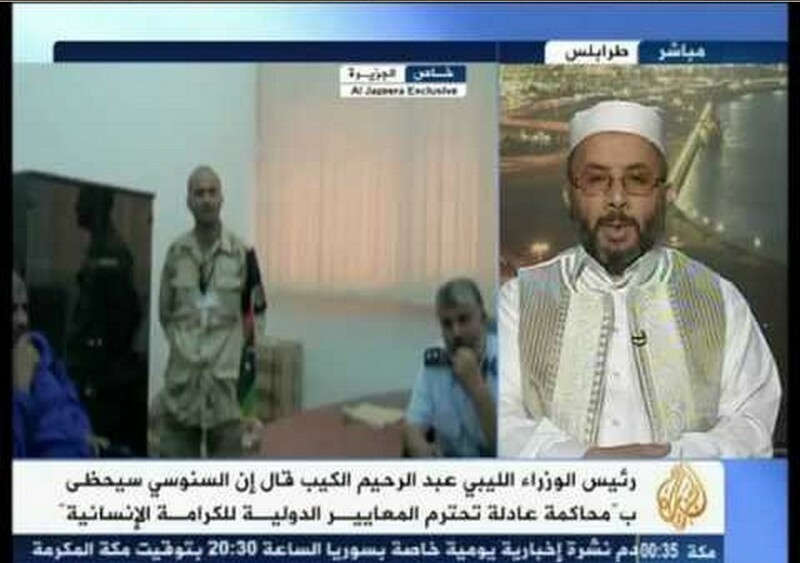 (who stayed in detention tampering Misurata more than four years wrongfully), have been released. 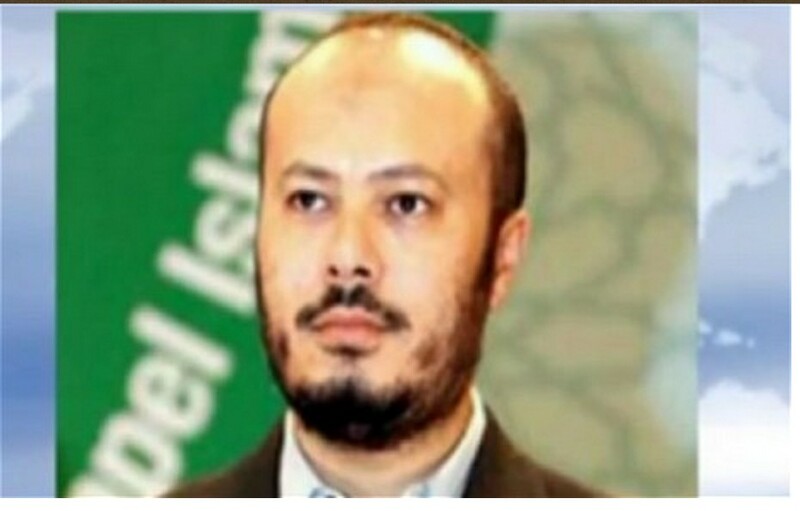 Nsthamd Allah to him and to his family for his safety and his family and we hope to release the rest of the detainees and that Allah softens them and help them to this tribulation. 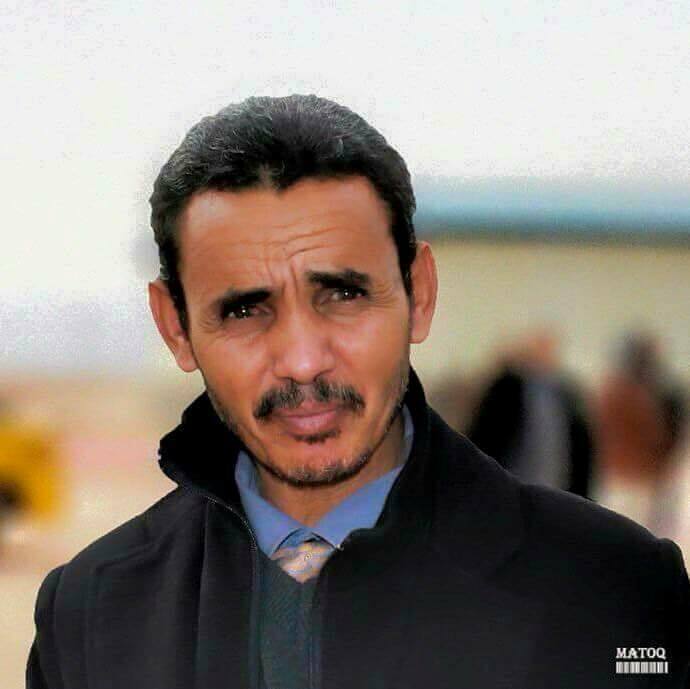 Tawergha within the darkness of MISURATA prisons, after spending 4 years of injustice. 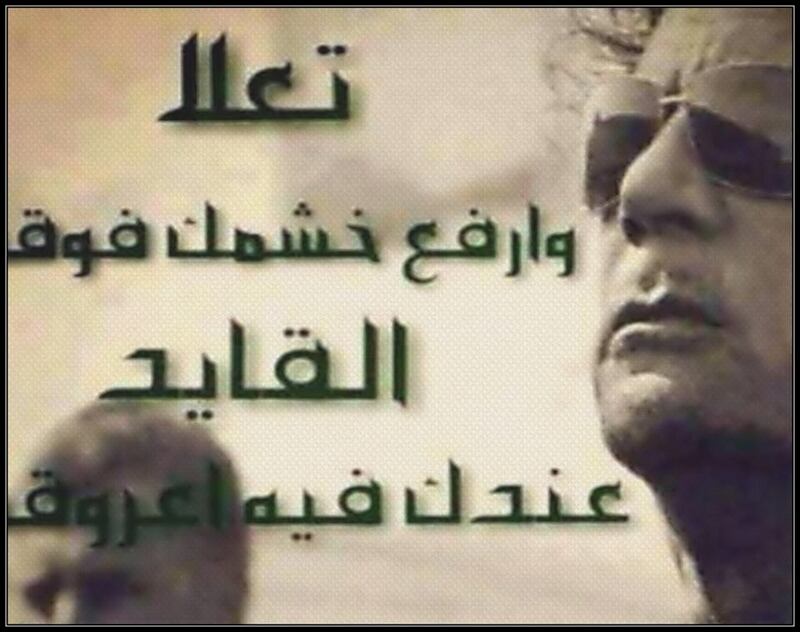 Praise be to Allah on the safety and Aqaba for the rest of the Liberal. 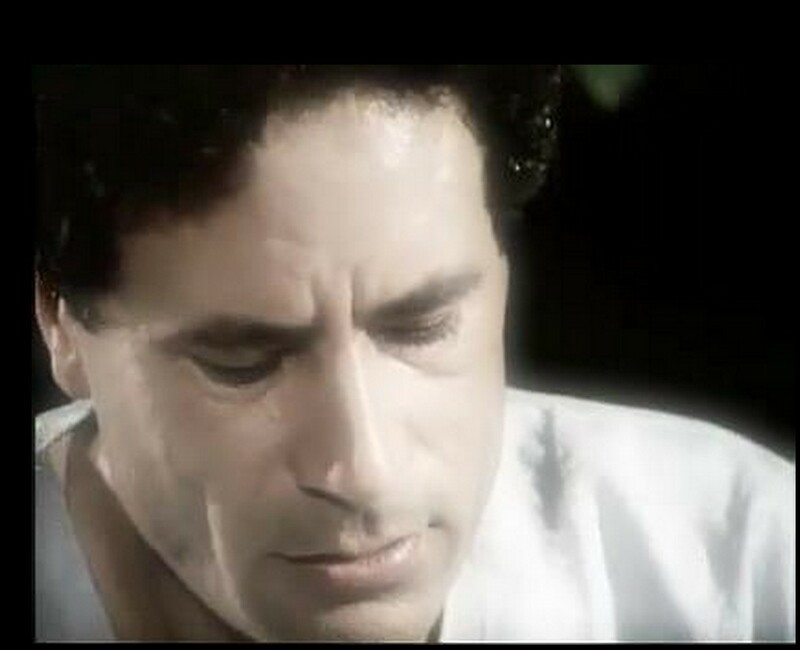 Ali Abdel Salam Triki. 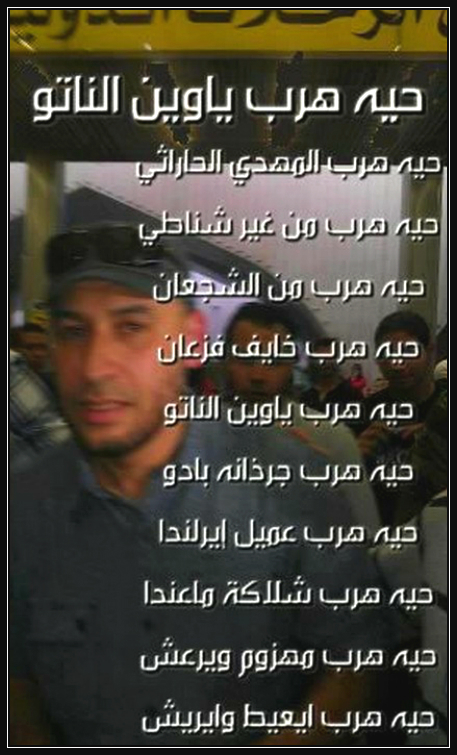 Burial will take place on Tuesday in his hometown of Misurata. 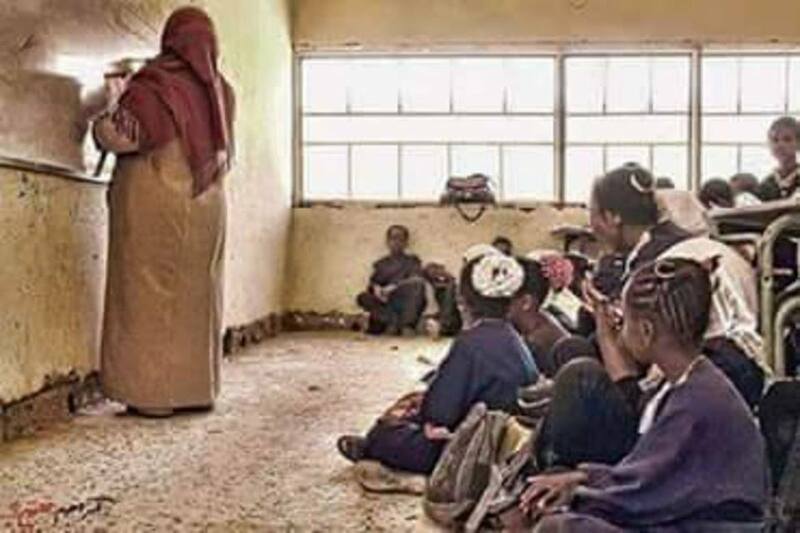 After more than four years, the first rise in ears of the Tawergha, after that Obohemem. 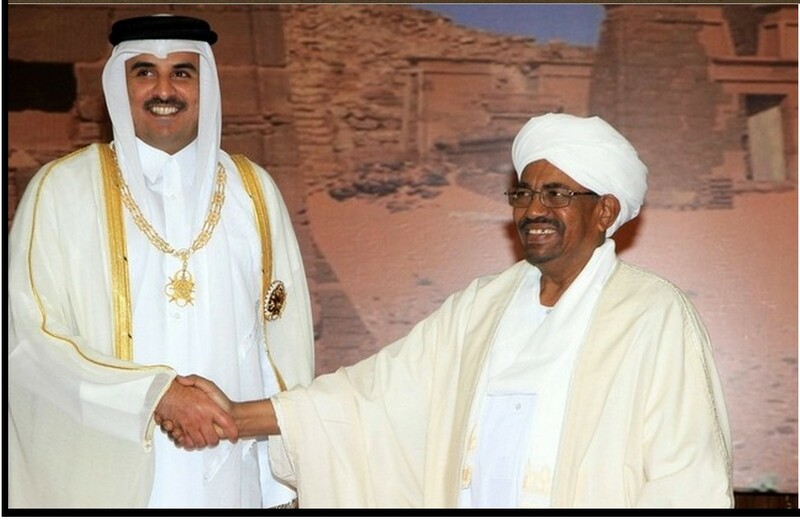 They Sheikh Shaaban and Nasser Wafi visit the city. 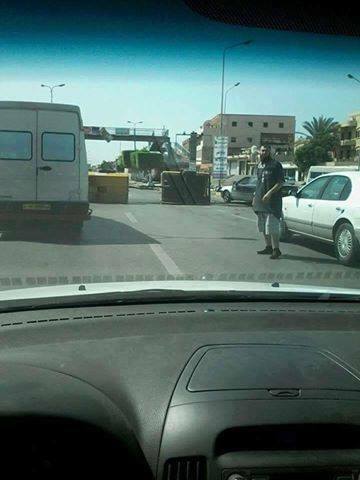 ‘DAASH ‘ terrorist organization has killed and hung ‘Sheikh Mfattah Hassan Abu-Setta key’, in front of a mosque. He was a preacher in the ‘second residential area’. 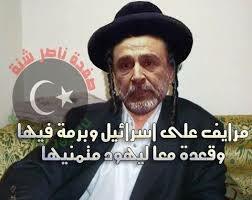 Image of the late Sheikh Hassan Abu-Setta key. 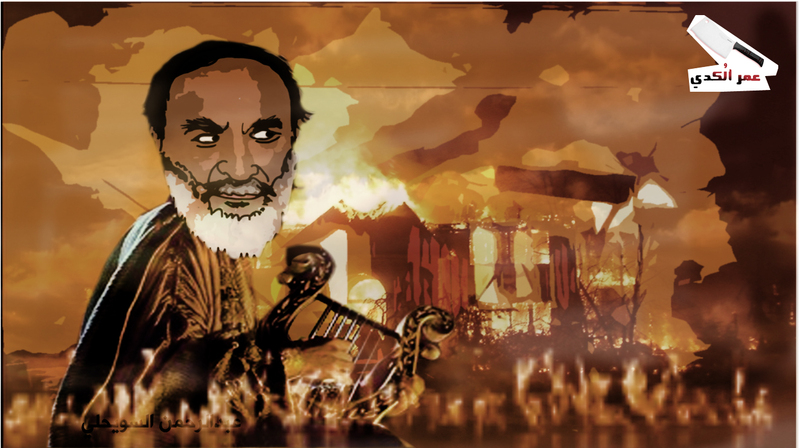 And Vallil after 3 o’clock, storming Houses, and they walk on anathemata to catch the city’s youth. 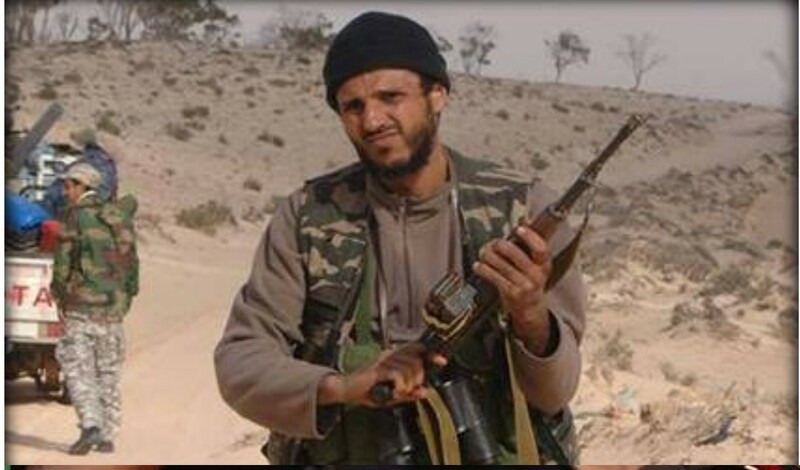 ‘Onasir Bushoahh Moroccan’ was killed. He was one of the main leaders of the organization in ‘Daash’ in Nofaliya. 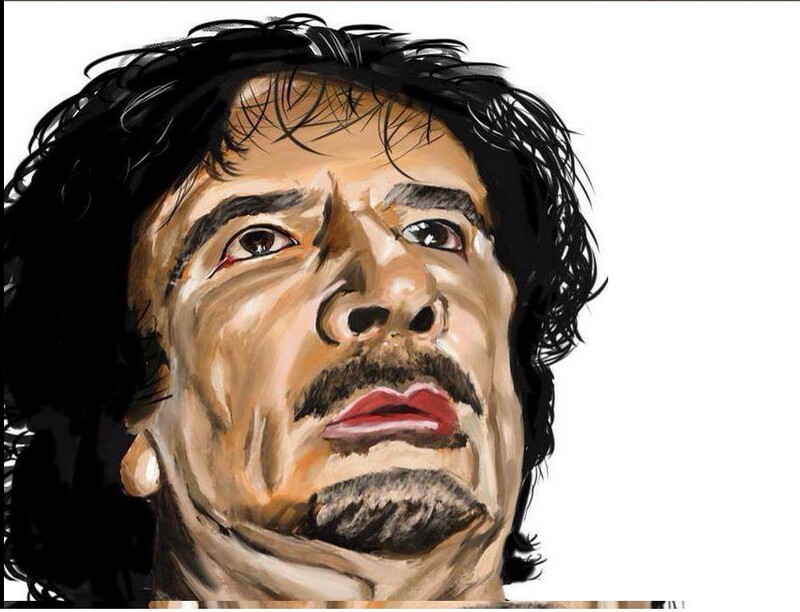 He has been assassinated in ‘Bin Jawad’ area. 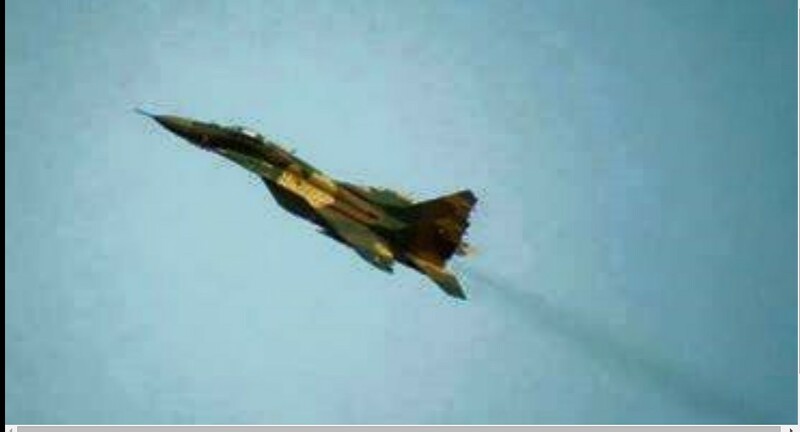 Libyan Airforce Warplanes bombed sites belonging to regulation ‘Daash’ in ‘Um lamp’ east of the city of Sirte . 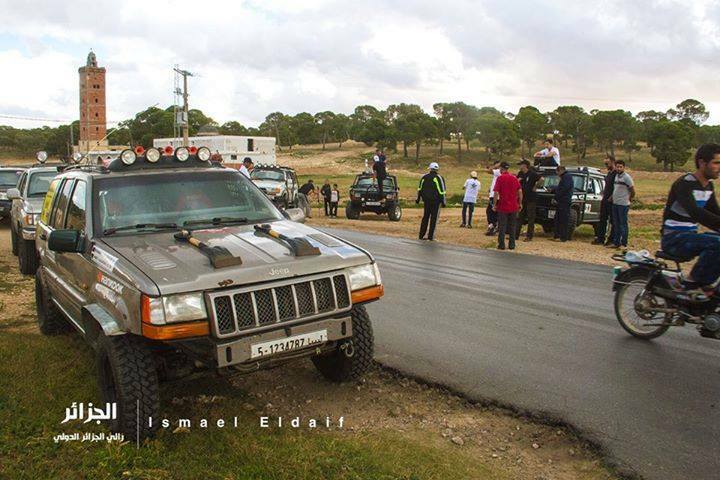 ‘Sheikh Mohammed a car’ struck-down in the ‘street Bodiam Antalat’ and news about the existence of some others wounded. 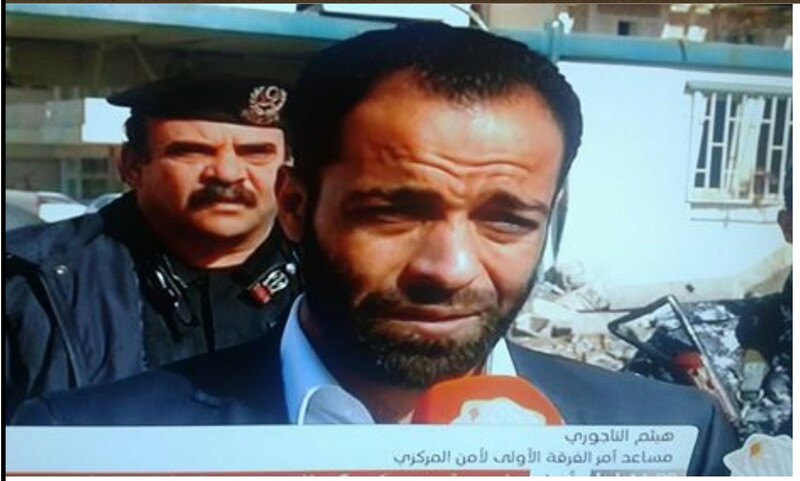 Col. Attia Oraibi assassination in front of his house that morning Iedkr Attia was working in Homeland Security. 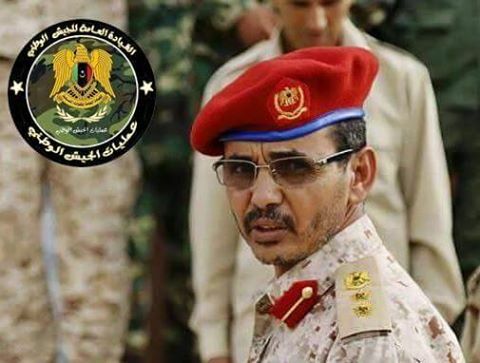 The death of Colonel Oraibi, Allah’s gift of the ‘intelligence service’, consequence of his wounds, which he sustained, after he was targeted and gunned-down, outside his home yesterday morning, in Ajdabiya. 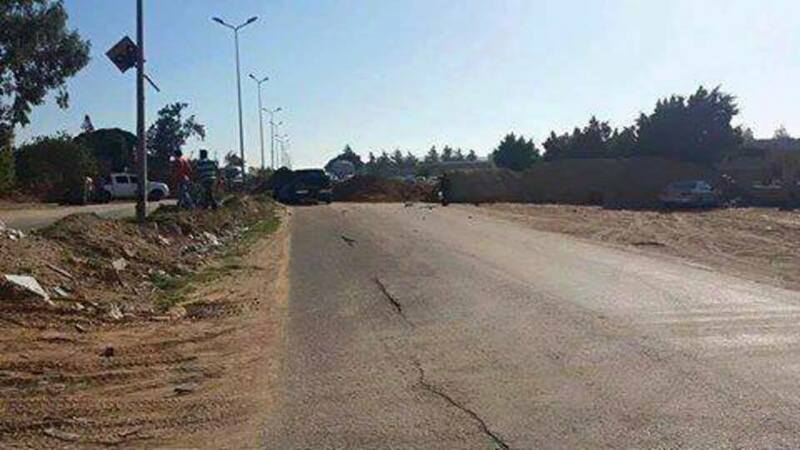 A car bomb explosion in Ajdabiya result in the fall of Victims. and give the organization ‘Daash’, their final time limit for the release of ‘Amr Absat’, our field commander, who was kidnapped last night by ‘DAASH’ at the gate 6. 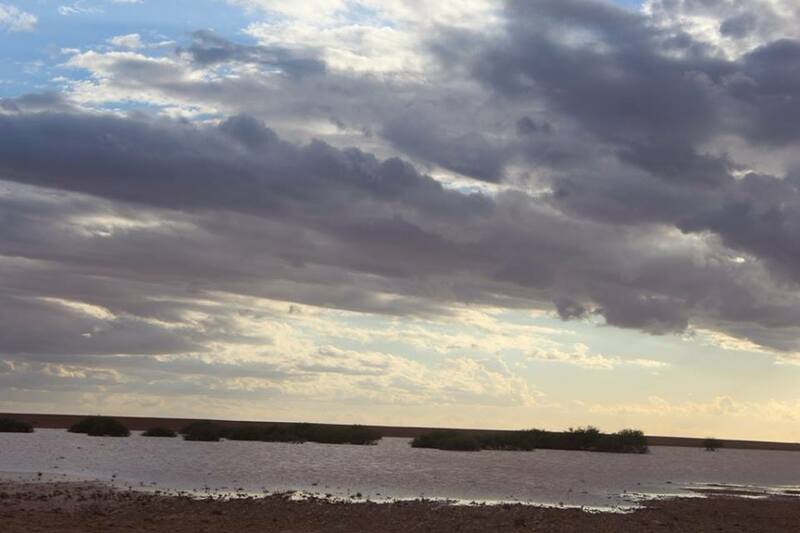 Clashes and shelling with heavy artillery in the areas of Hawari and Boatni; and aerial bombardments by the Libyan Airforce on ‘DAASH’ sites in the area of Boatni. 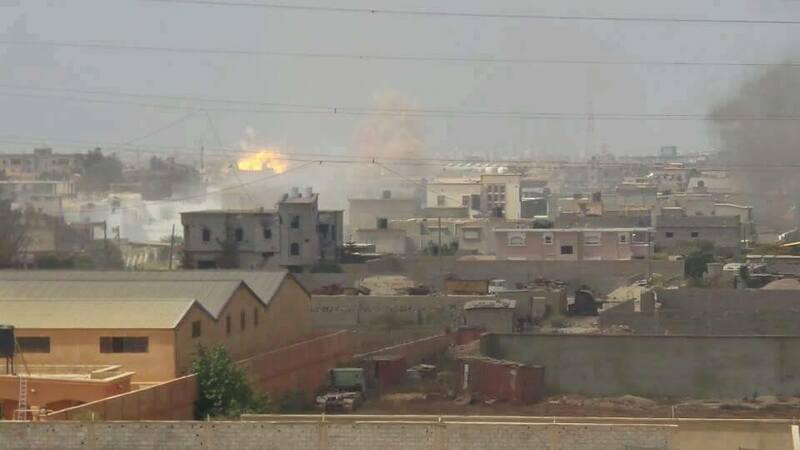 Violent clashes between Hftar’s troops and ‘Daash’ state regulation in each of the path of the river – Laithi – the city of Benghazi with the bombing by the ‘Libyan Air Force’ of the ‘DAASH’ organization sites. Mortar, in area Laithi, causing the massacre, where the shell landed near the car of one of the citizens in the region where the presence of a large number of kids playing there, and Hqot dead and wounded, and the majority of them children playing! afterwards, the escalation of thick smoke columns. 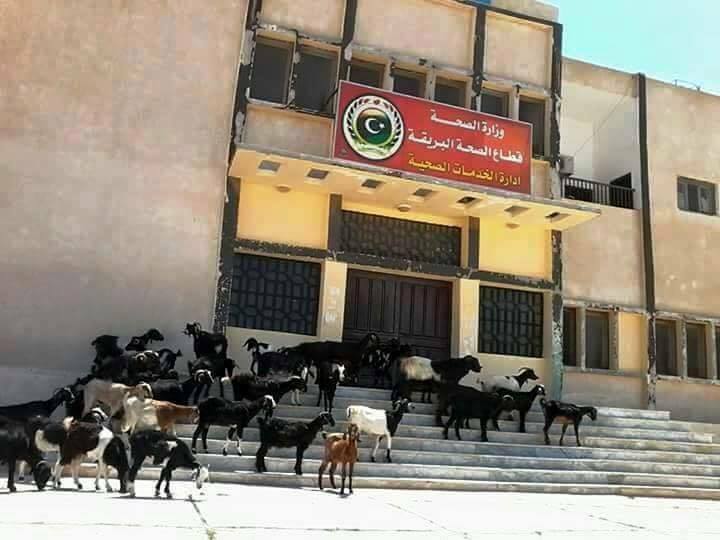 al-Tagah schools became homes for the displaced people of the city of Benghazi. 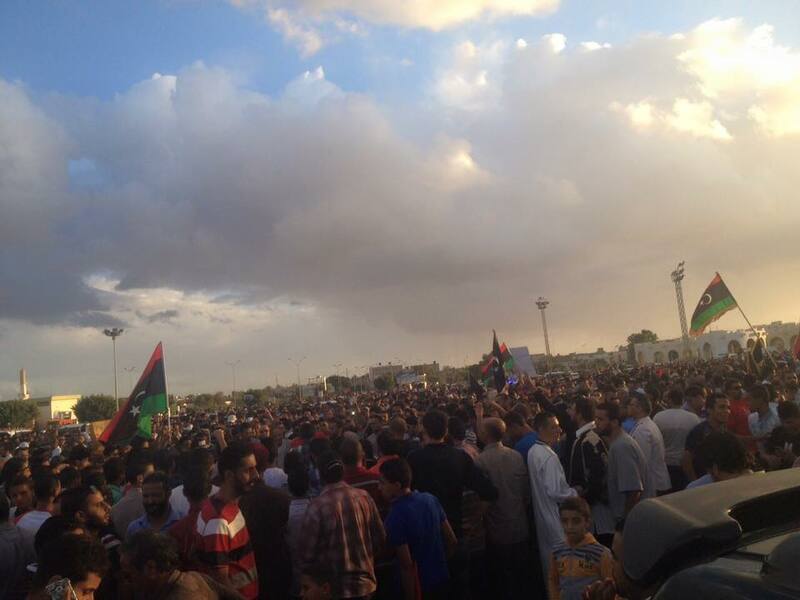 The people of the city of Benghazi came out in a mass rally in the thousands since the morning to ‘Quiche Square’, refusing government, “Bernardino Léon” and waving banners (will not rule us from killing us. 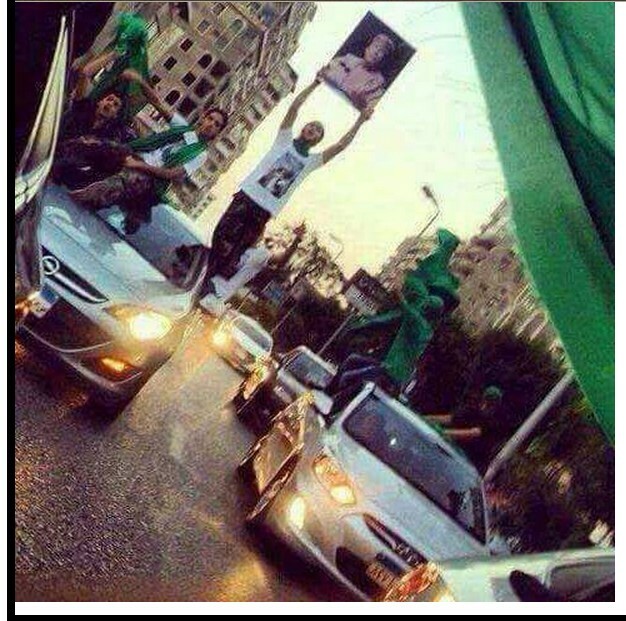 Benghazi will not die) with pictures of the martyrs of the Libyan Army and the tribal-forces supporting them, who were assassinated at the hands of rat armed militias. At the height of the demonstration, there had been targeted the protestors, with shell “mortar”, wounding “4” citizens of the district Quiche, with light injuries. 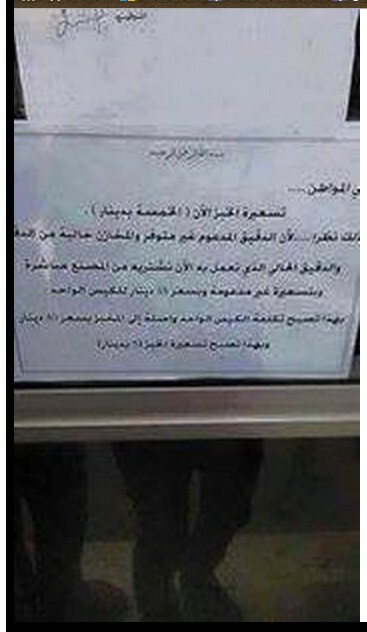 The city of Benghazi and its people have said their word “can not allow those who kill our children, to be ruled by them”. 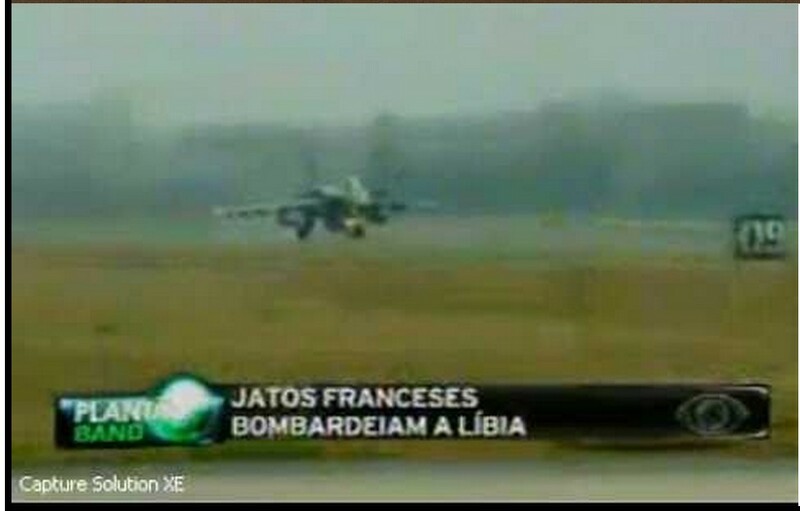 Demonstrators were protected by the ‘Libyan Airforce’, but alive sorties stll were flown over the scene. 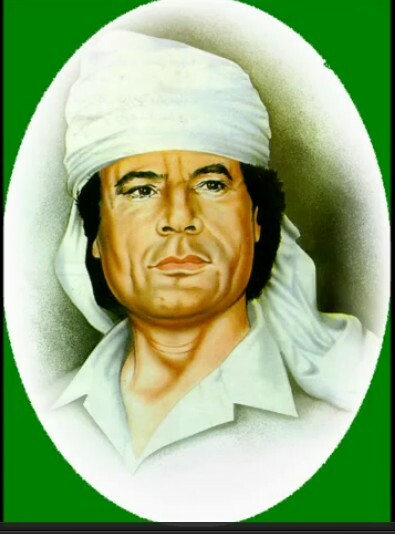 The people of the city of Benghazi are starting to realize the size of the conspiracy, led by “Bernardino Léon” and the West, against the Libyan ‘GREAT JAMAHIRIYA’. 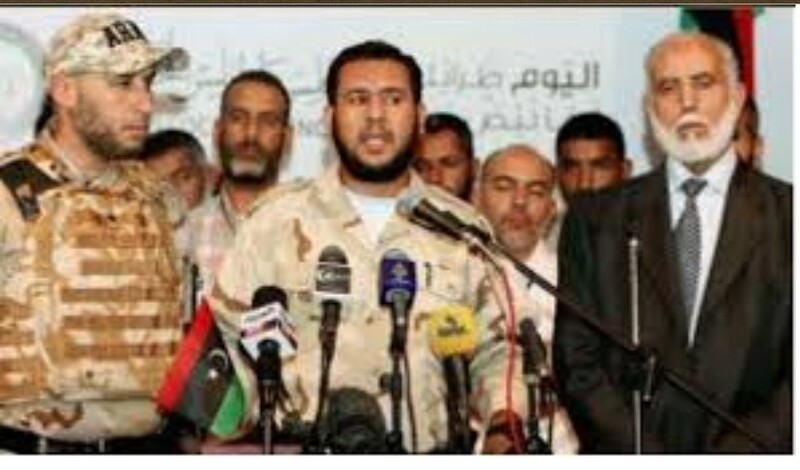 Libyan army forces were able to arrest the leader of the organization of “Ansar al-Sharia,” Abu Bakr, also known as ‘Abu Hlvaip’. 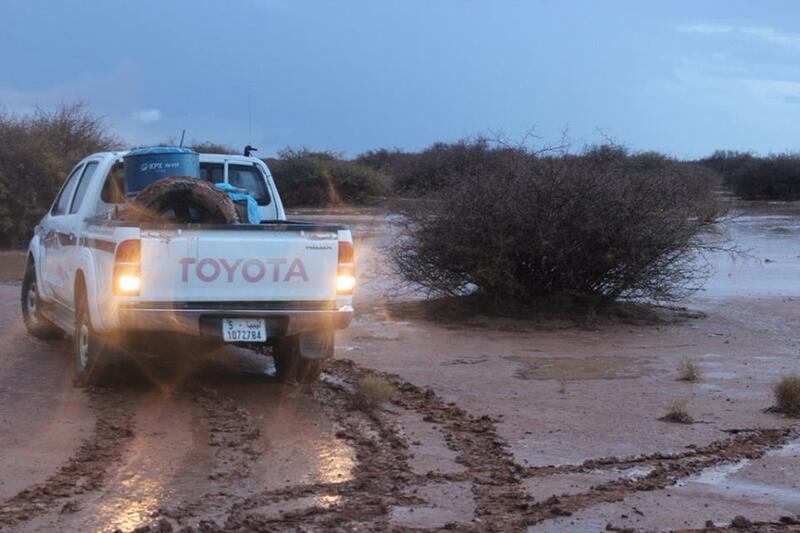 1__ Rushdie Akila Al Mansouri stranded limb after jar by car. 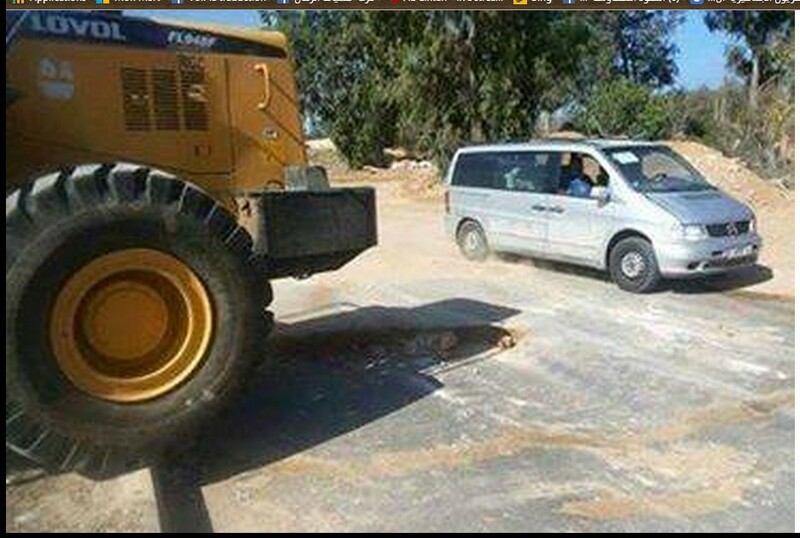 2 __ Tayeb Mohammed Lamari digging its own grave and was shot dead inside. 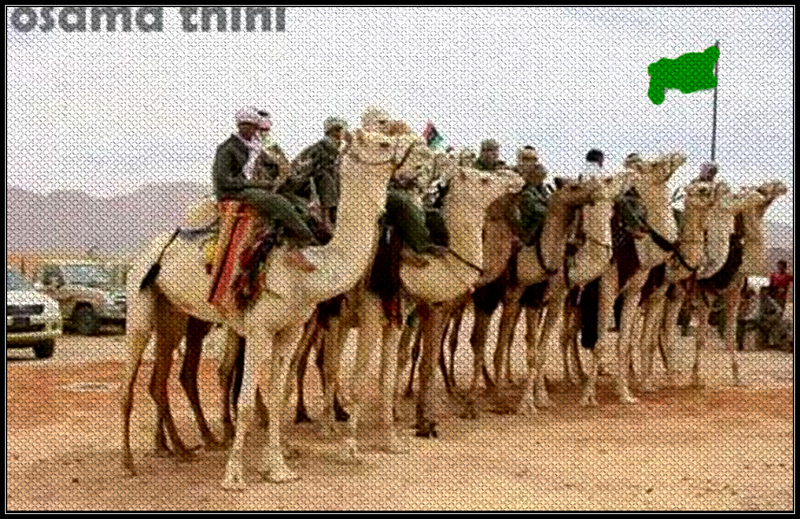 Meetings between elders of the Tuareg and Tabou in the city of Sabha to reach a solution to end the dispute between the two tribes. 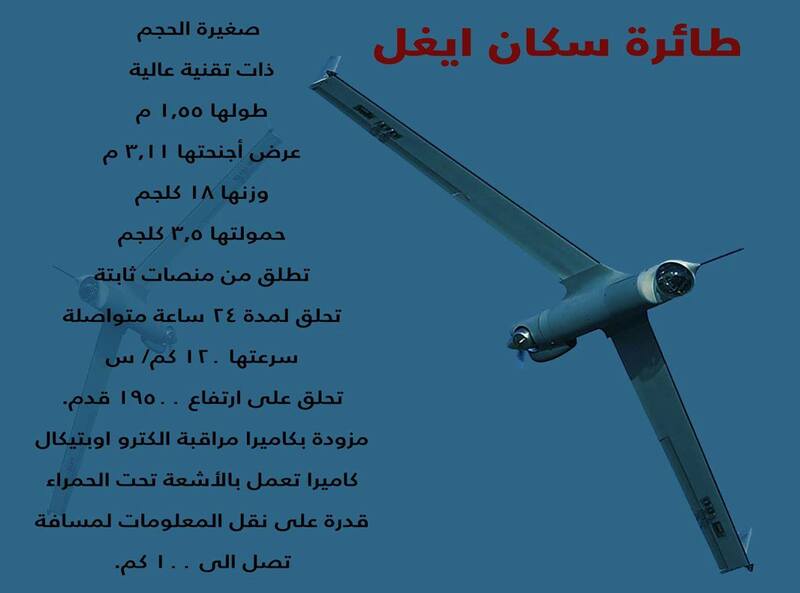 RAT Warplanes of the Misurata militias, continue to hover over the atmosphere of SABHA, at low altitudes, and then shoot projectory over a neighborhood. 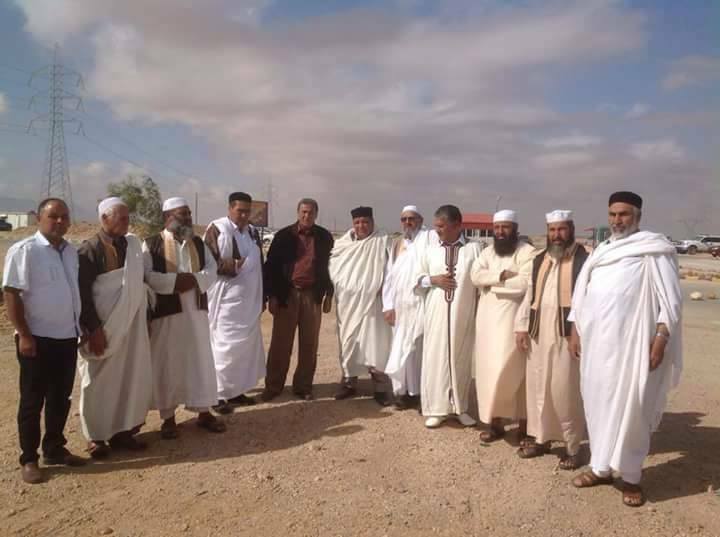 Libyan tribes in Sabha, are demanding the departure of the ‘Misurata Brotherhood third force Militias’ for ‘Dawn Libya’. 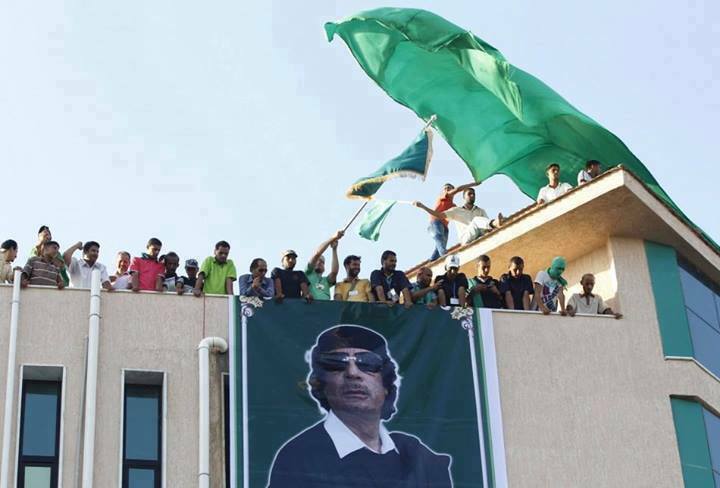 They are calling on the Libyan Muslkhh forces to protect their city. 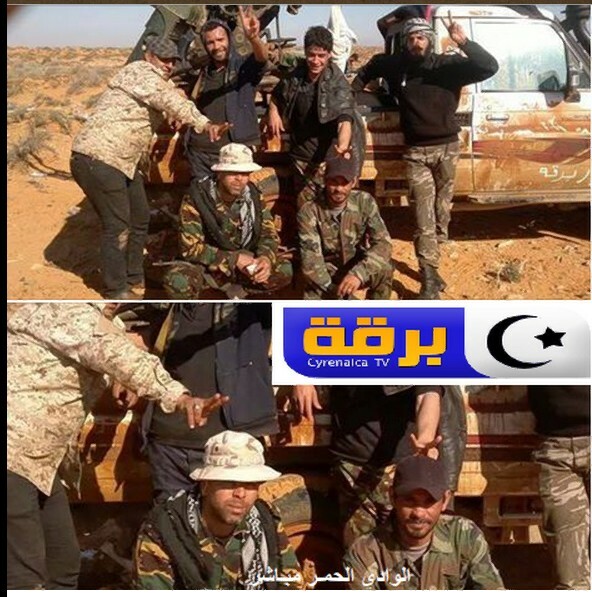 LIBYAN ARMY says ‘Daash’ of the most dangerous, and must be eliminated on the arrows and then ‘Daash’. 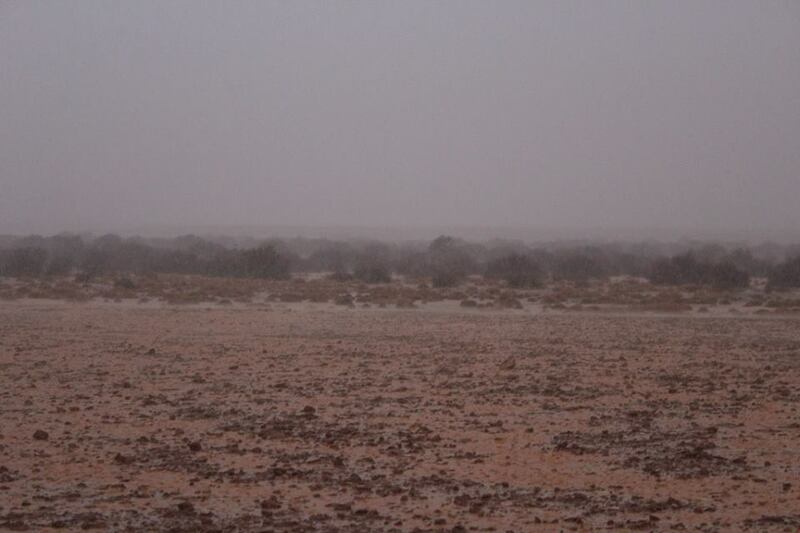 Shortly before dense Rcayh in the city of Sabha. 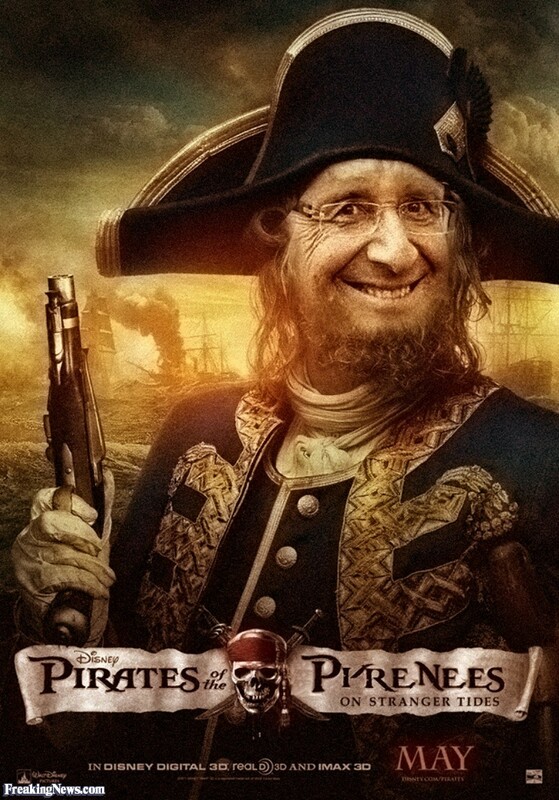 I wish from the Liberal Sabha tell us they have launched Sayer ….. ????? 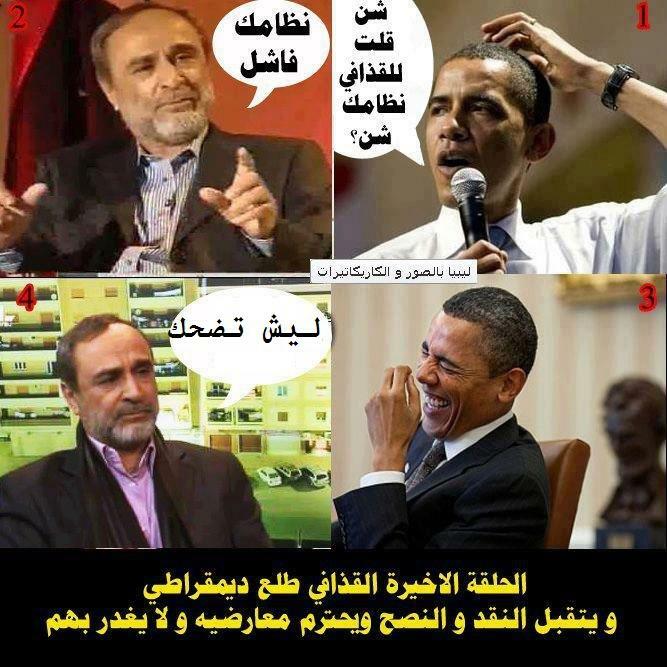 Counselor Mustafa Abdul Jalil at the top of the wanted list of supporters of terrorism in Syria with money. 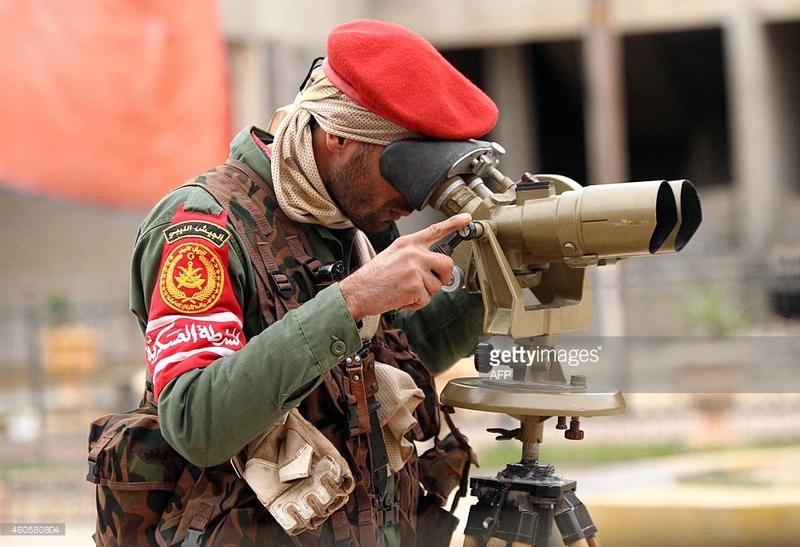 Russia monitors rat Libyan drone, spy planes and satellites ! 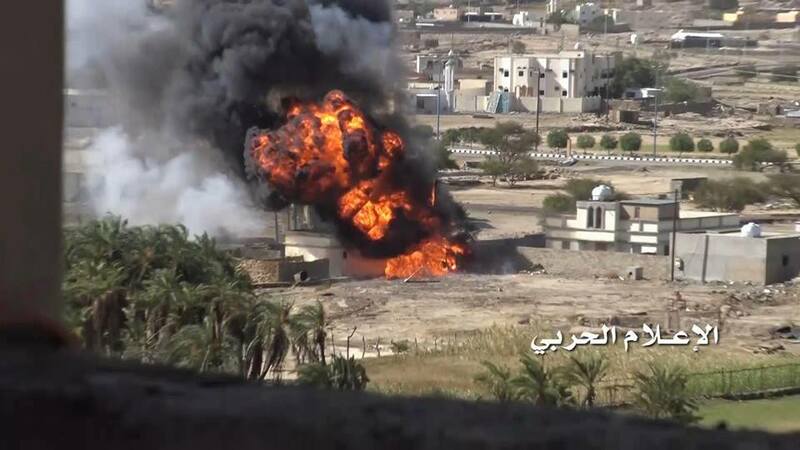 New scenes for tens of killed Saudi soldiers in Jizan. 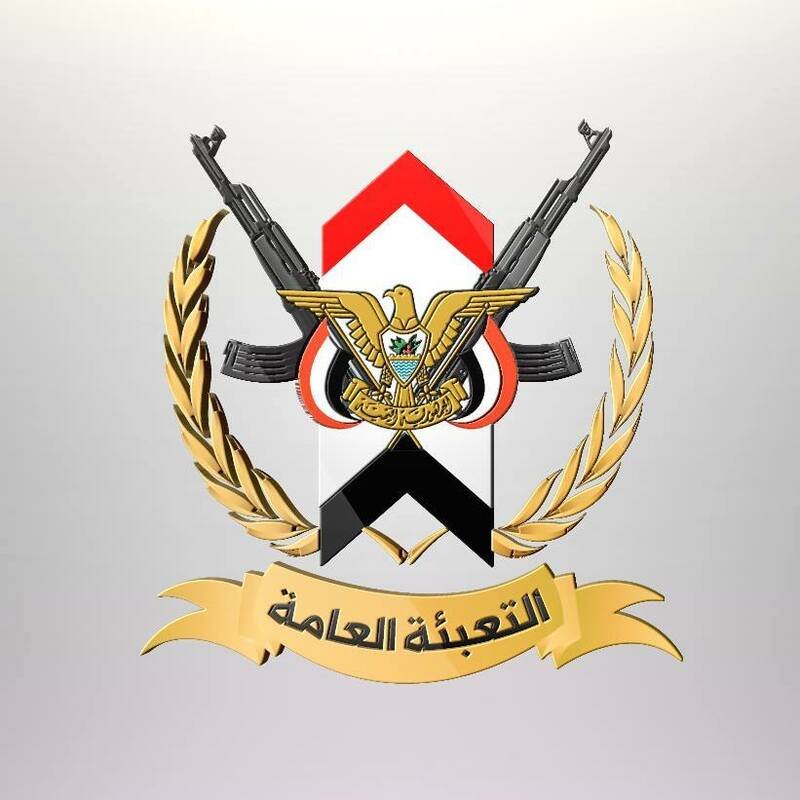 2 days ago, al-Masirah TV said: The Yemeni army killed tens of Saudi soldiers while they were trying to restore their villages and bases at Al-Khuba in Jizan. Now, al-Masirah TV is proving this with these scenes, which show just some of the killed Saudi soldiers. 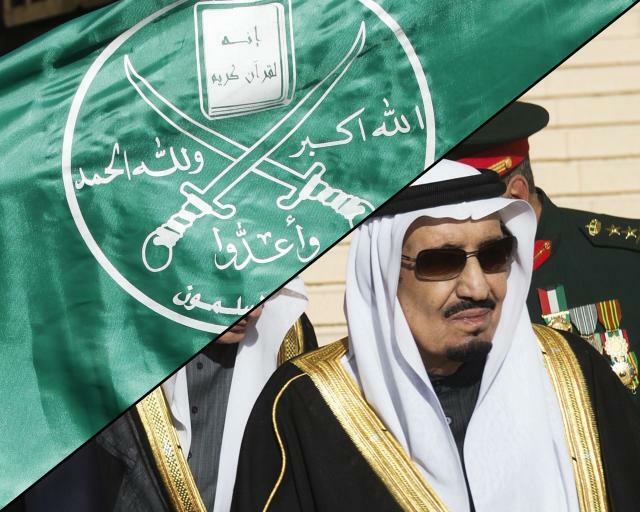 but this time they did to force Saudi Media to hand over and recognize and say the truth to the world and to tell the families of the killed soldiers the truth. – The scenes show also many captured Saudi (American made) weapons. 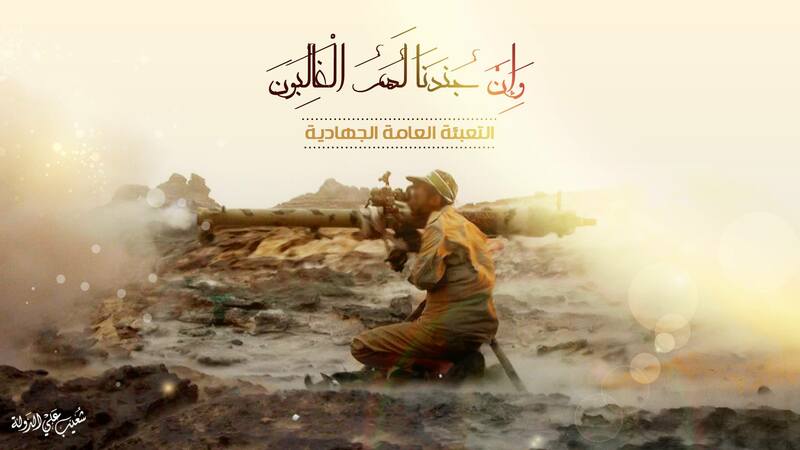 1- Corporal: Jabir Asa’ad Hassan Ka’abi – military number (445937) – 1st Battalion – Brigade 19. He is talking about how Yemenis treated him good and very well, He said Allah knows that I’m telling the truth that they are treating (dealing) with us very well and very good .. Even in the day of the battle they took us and treated us, now we are fine Alhamdulellah. A message to his family that he is very fine. 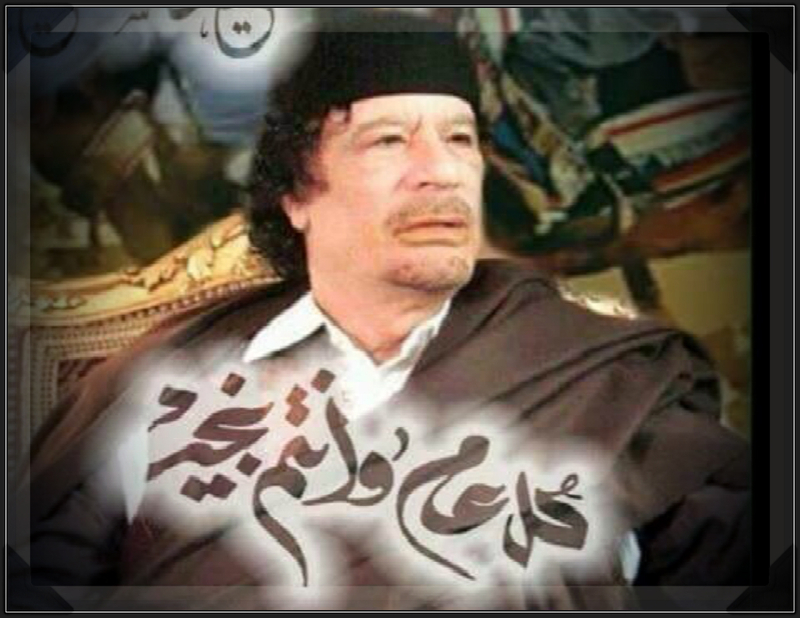 A message to the leaders to stop the war, he said we are brothers with Yemenis. 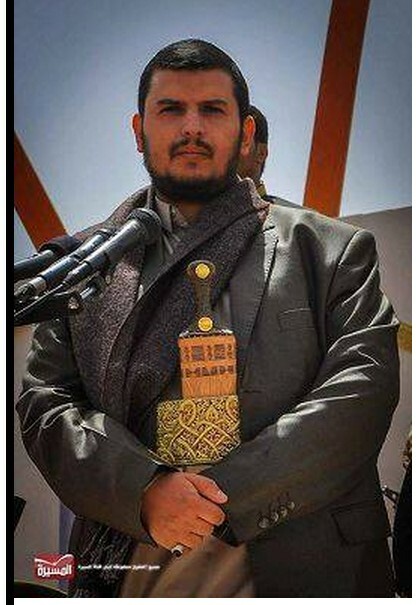 We don’t like this war to happen..
2- Rafe’a Abdallah Muhammed Al-Qahtani – military number (458661182) – Warrant sergeant of Qwat Najran Engineers. 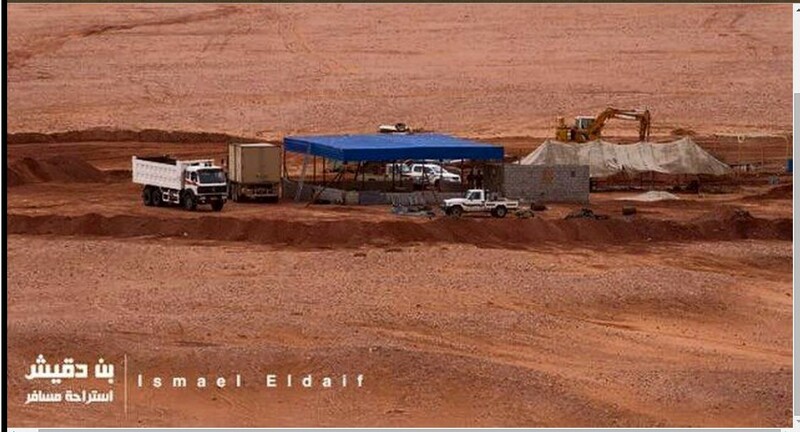 He was at Al-Raboa’ah while he was working with vehicles. Alhamdulellah, brothers here treated us good as we are guests not captives, and Allah knows ! To my father and mother and family: I’m fine and very good and I hope we met soon InshaAllah. We don’t like this war, I hope it finished soon .. 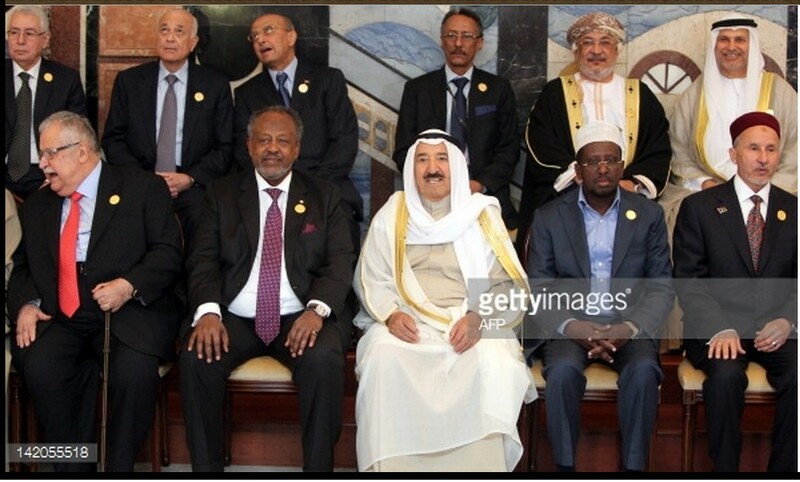 It is not good, we are brothers with Yemenis, we are neighbors, same religious and same blood and same people. Thanks again for you (Yemenis), wallahy (I swear) we felt like we are with our brothers .. They also talked about the war planes which they have seen with their own eyes ..